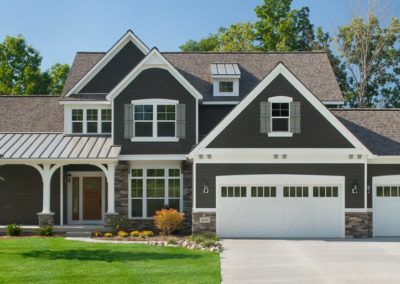 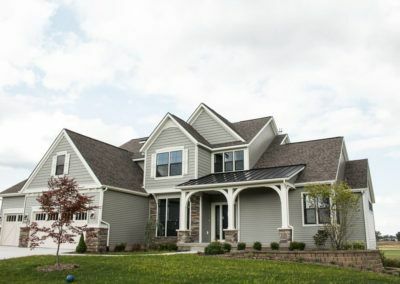 A truly impressive and stately home, the Birkshire home plan offers an attractive balance of elegance and warmth. 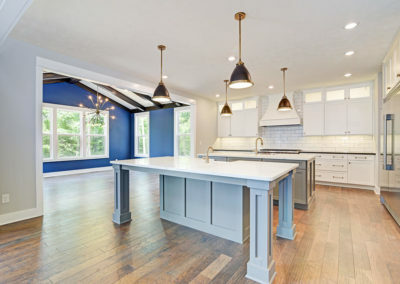 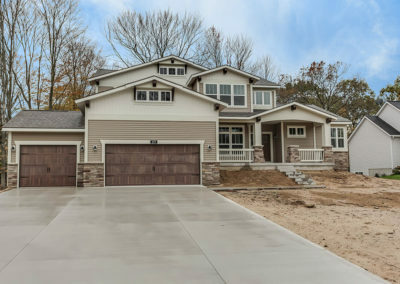 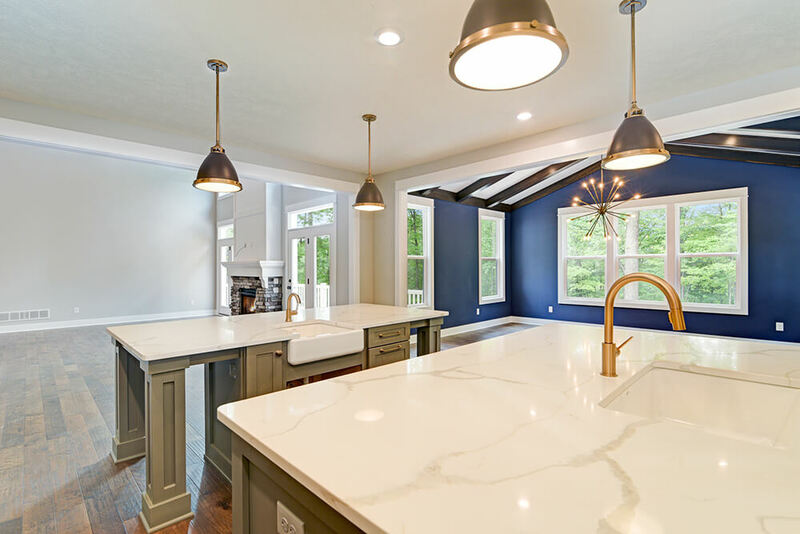 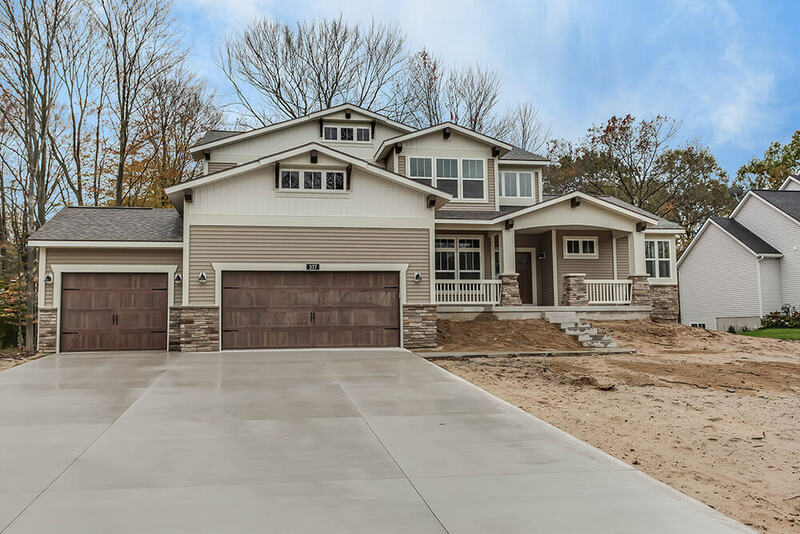 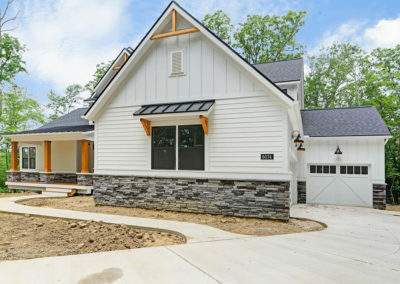 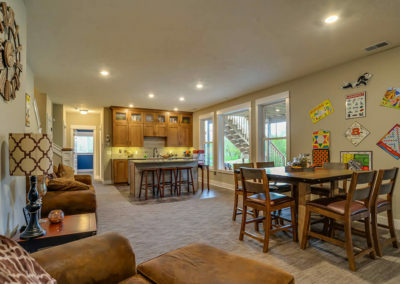 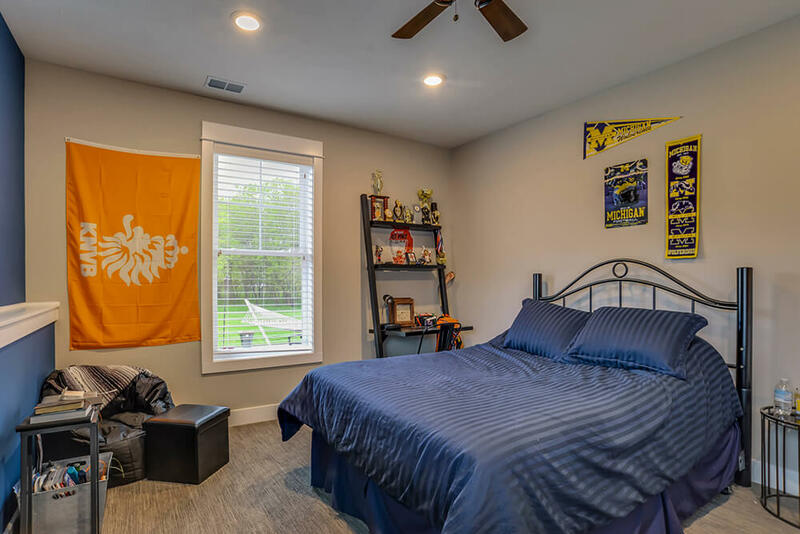 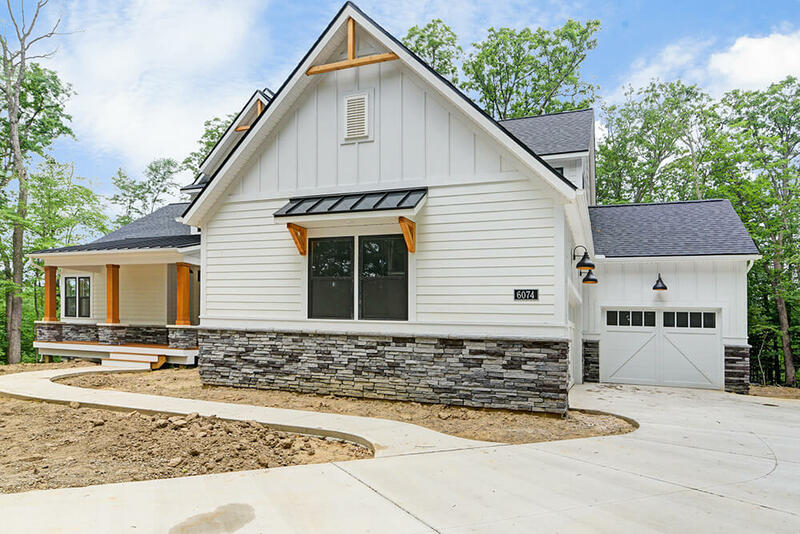 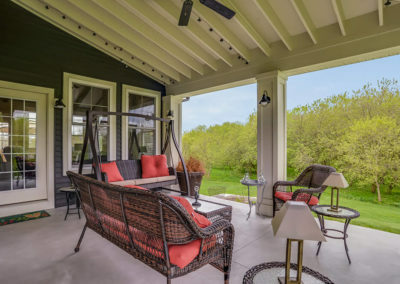 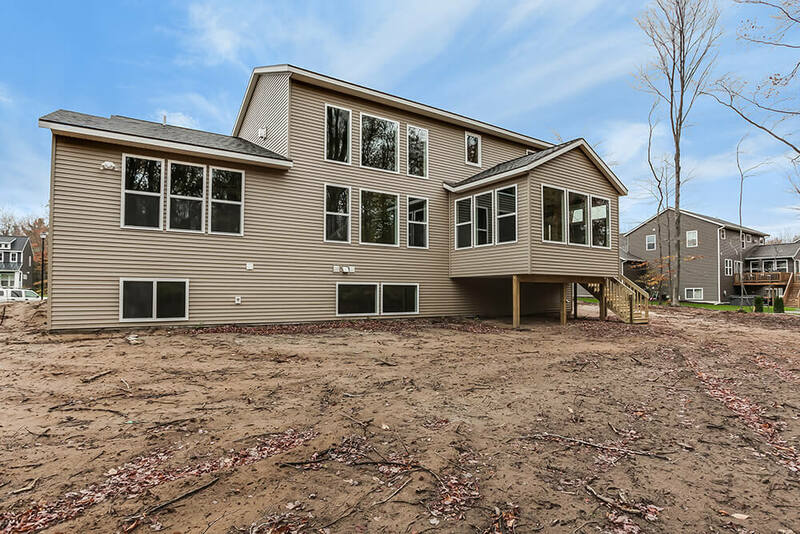 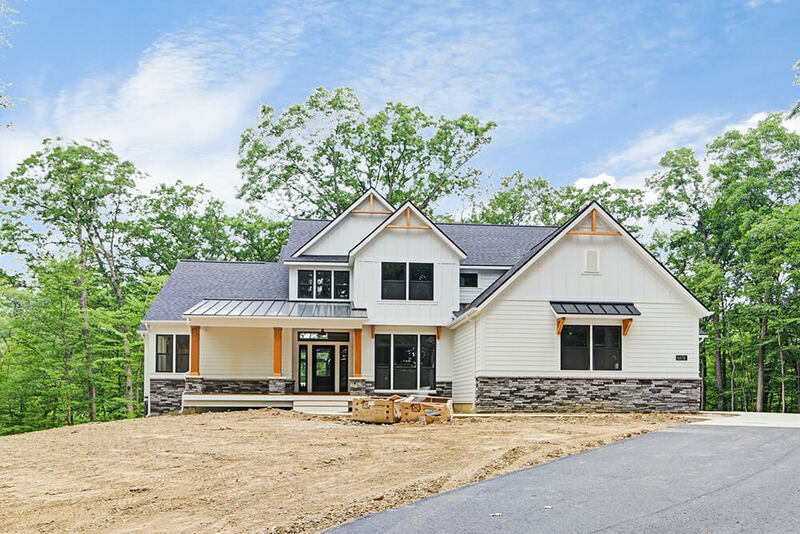 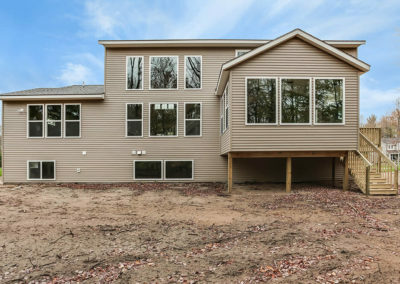 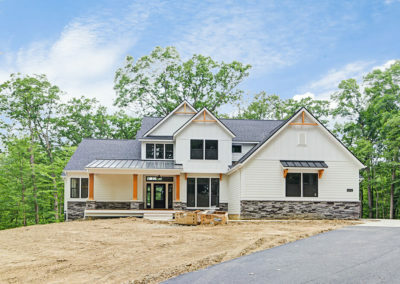 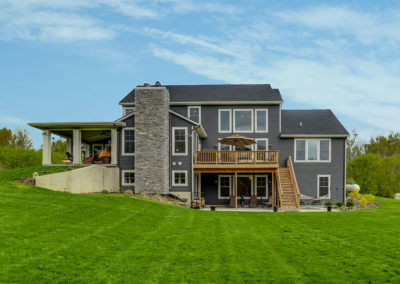 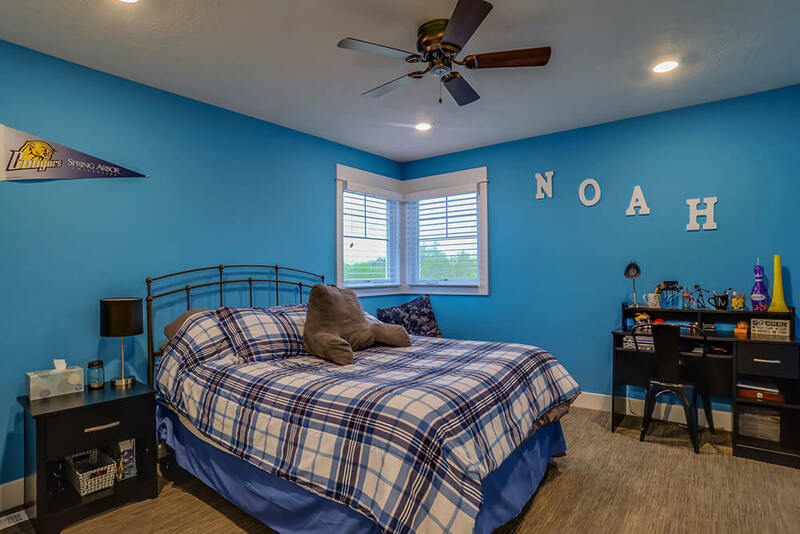 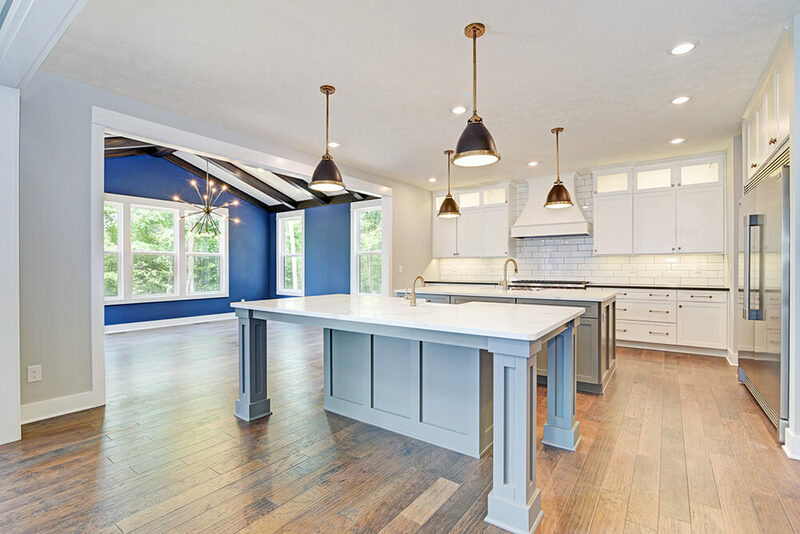 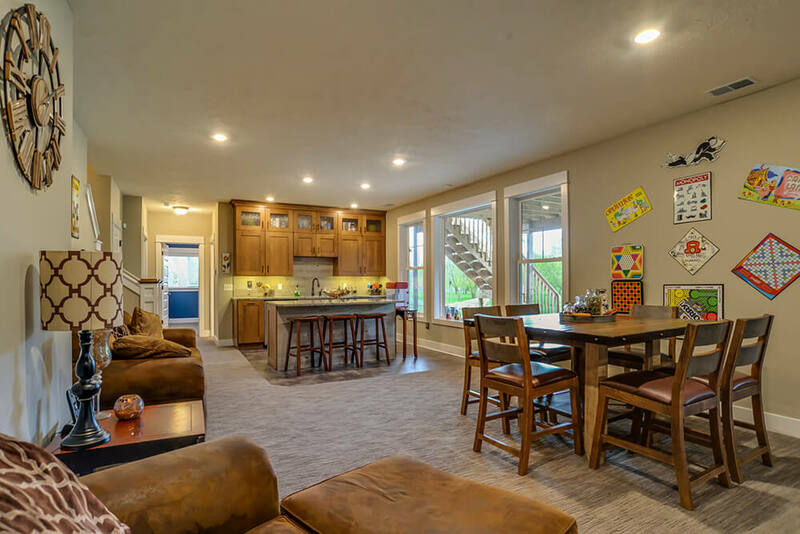 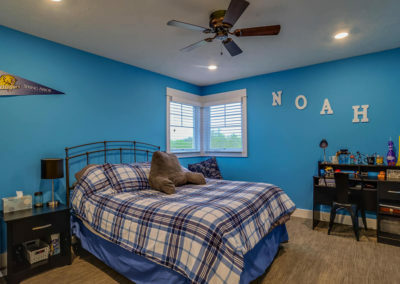 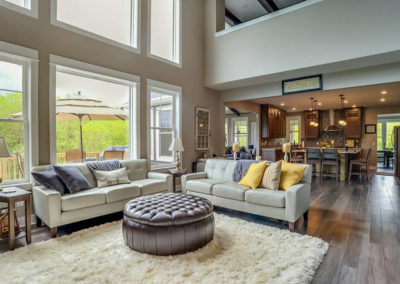 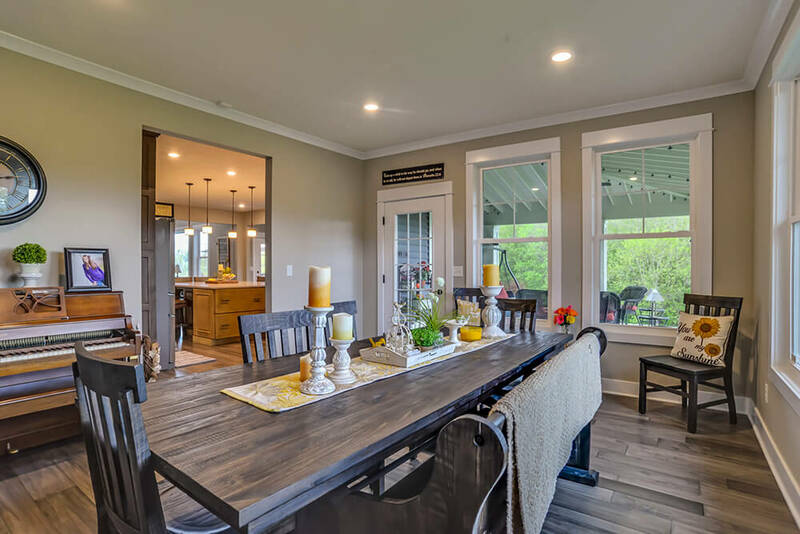 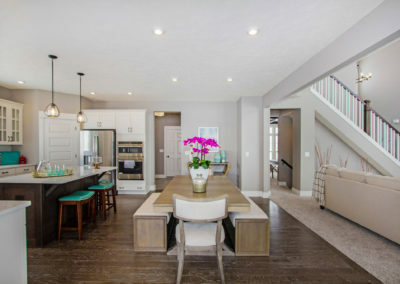 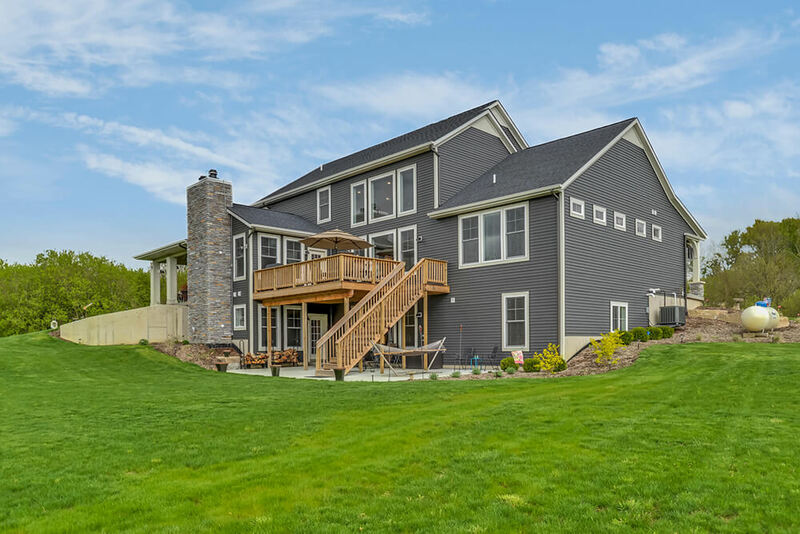 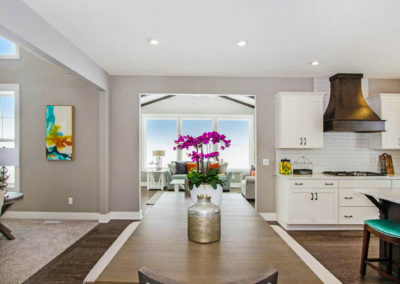 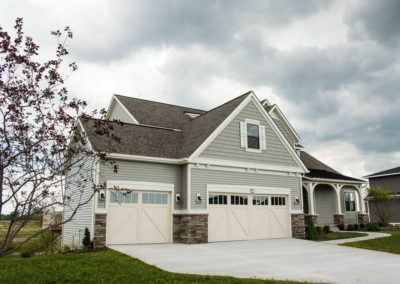 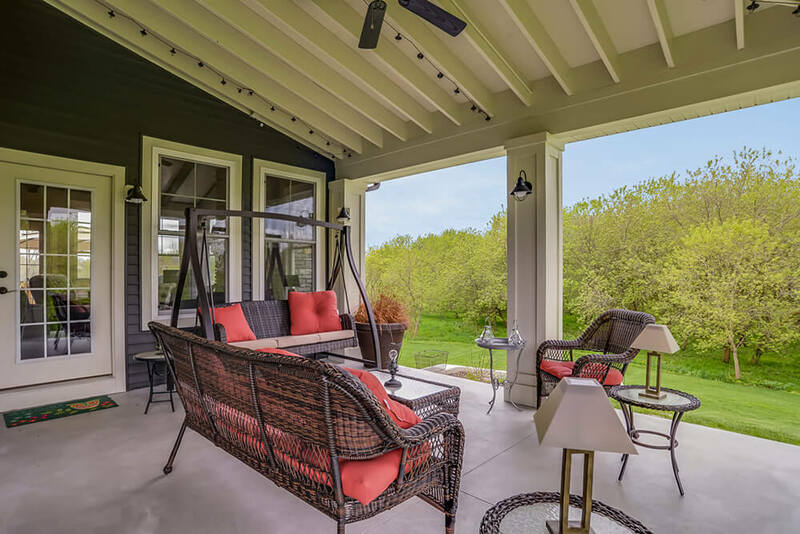 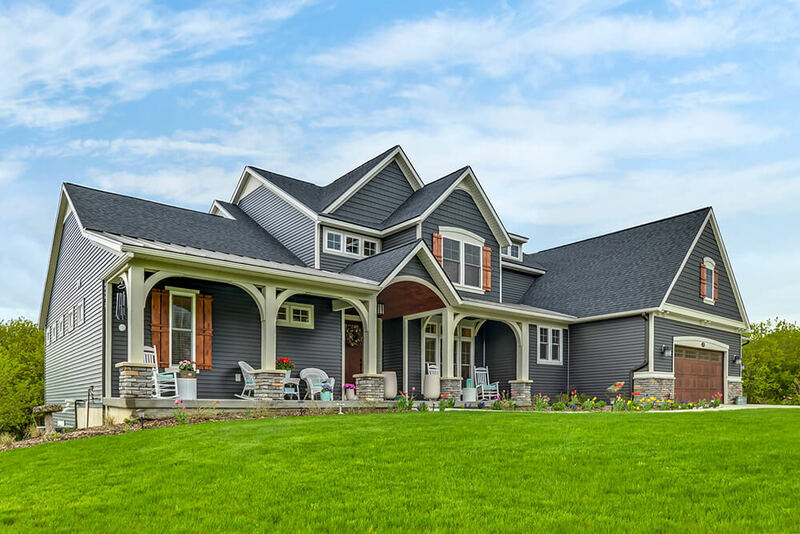 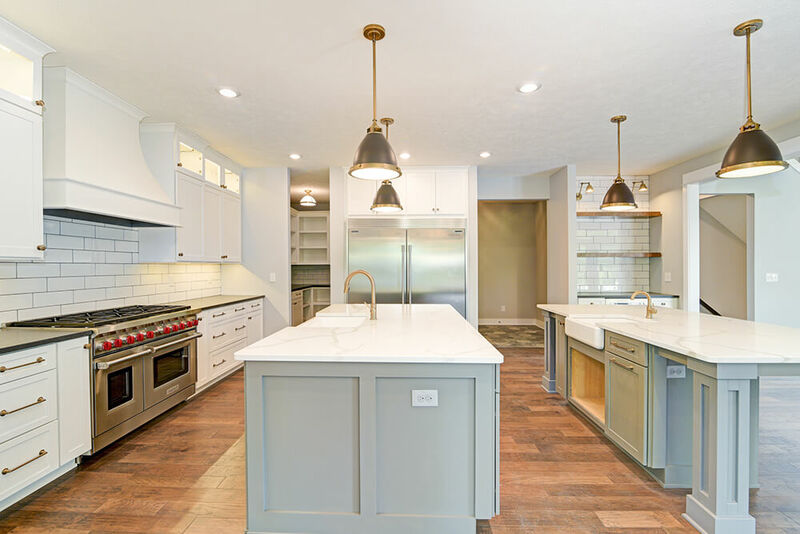 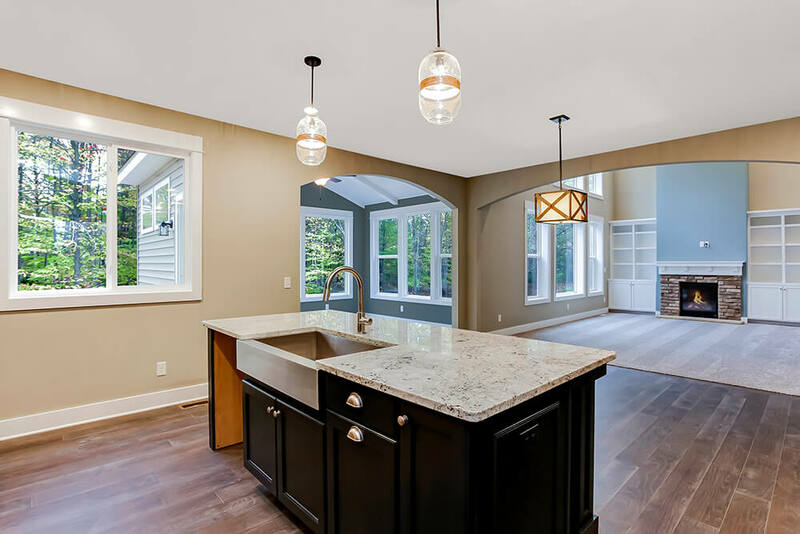 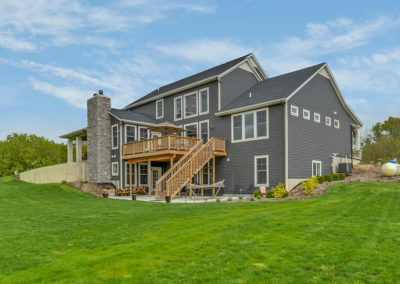 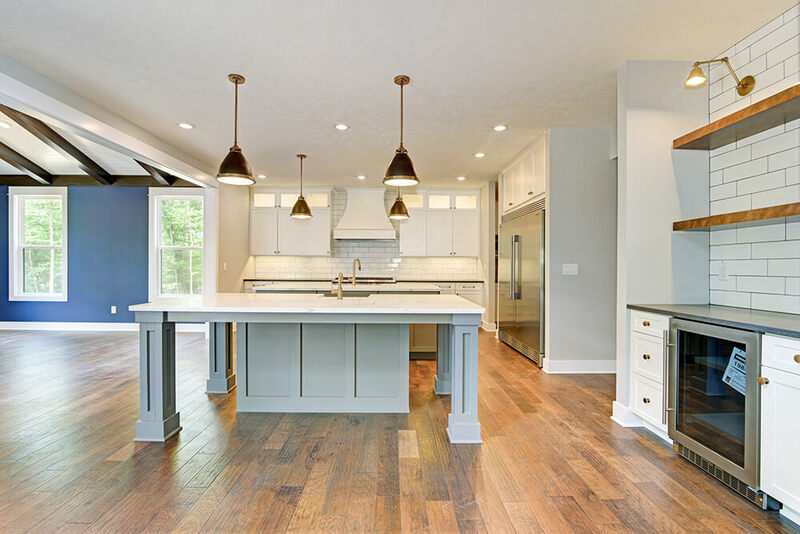 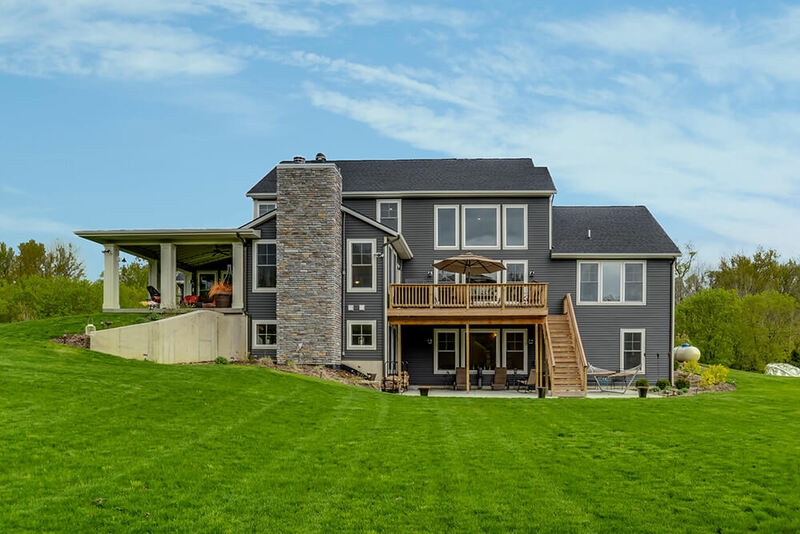 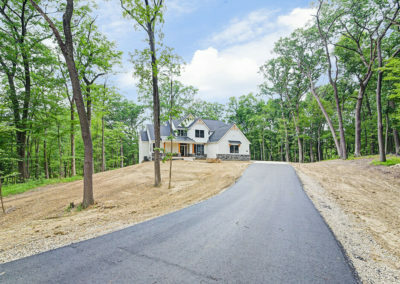 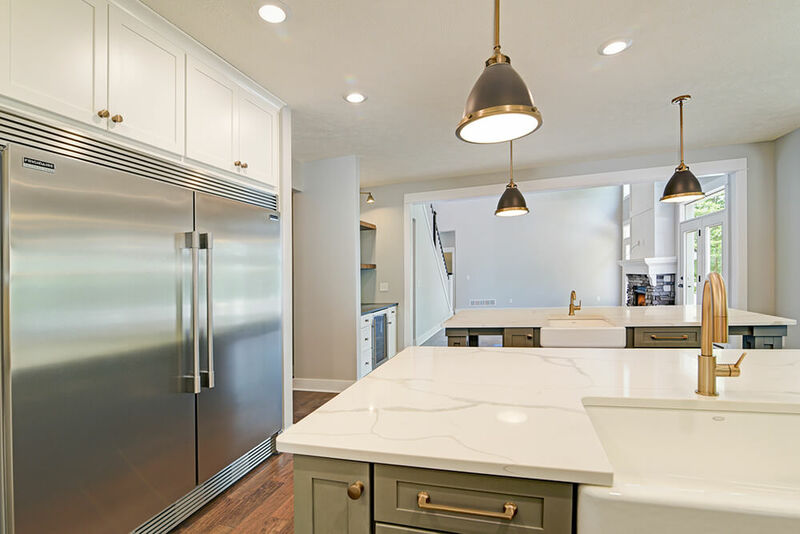 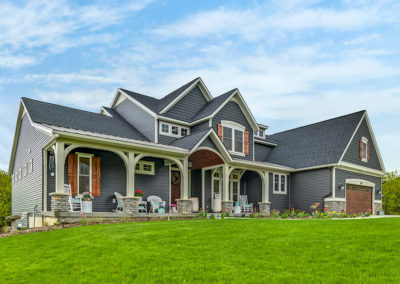 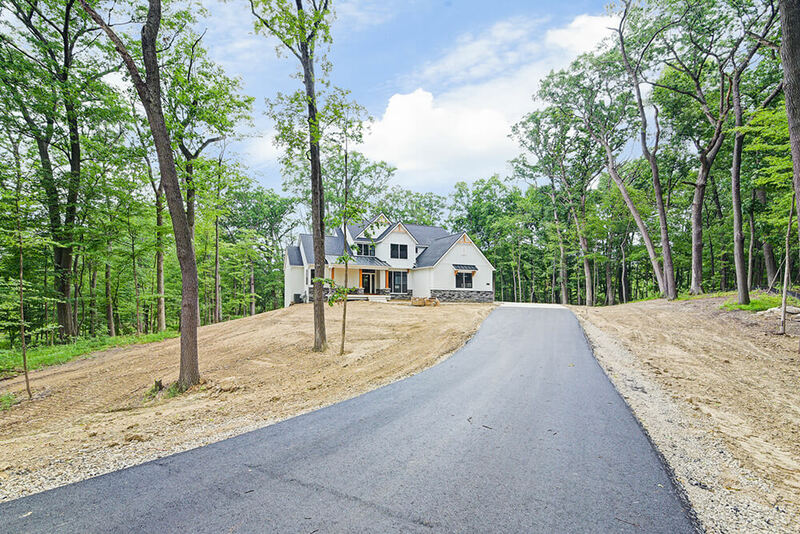 The design includes 2751 square feet of living space, four bedrooms, and 2 and a half or three and a half baths, along with an array of included features and personalized options. 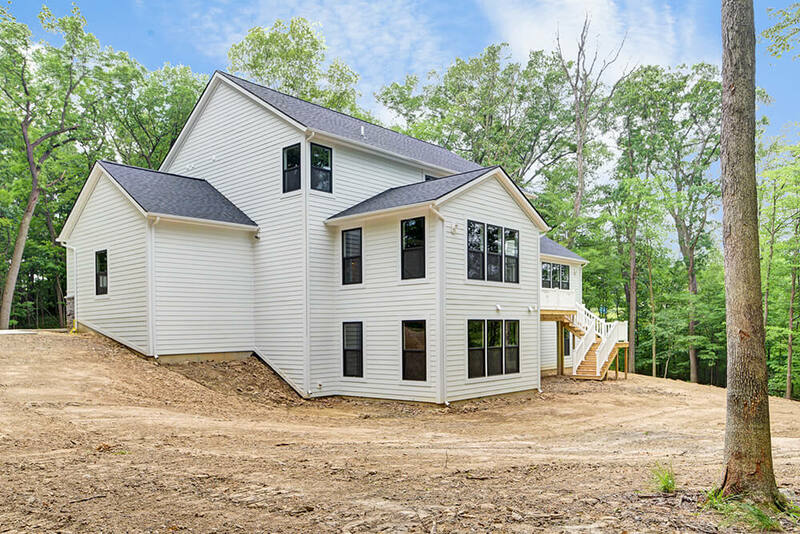 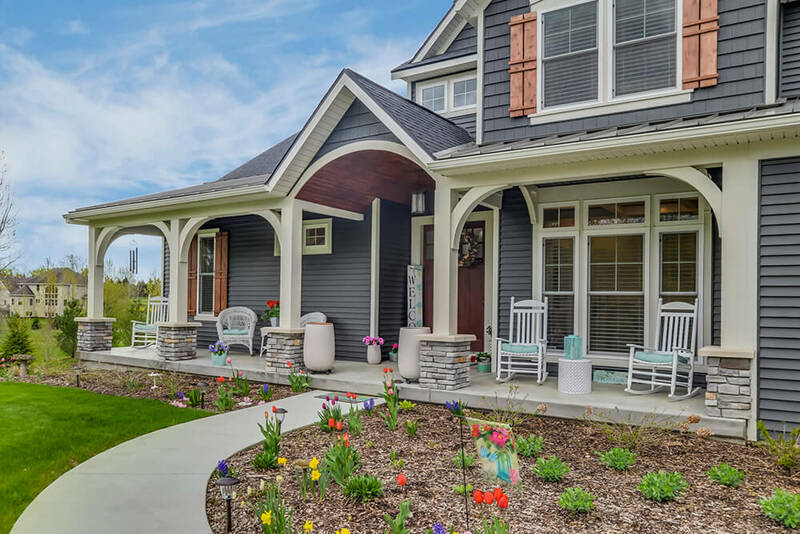 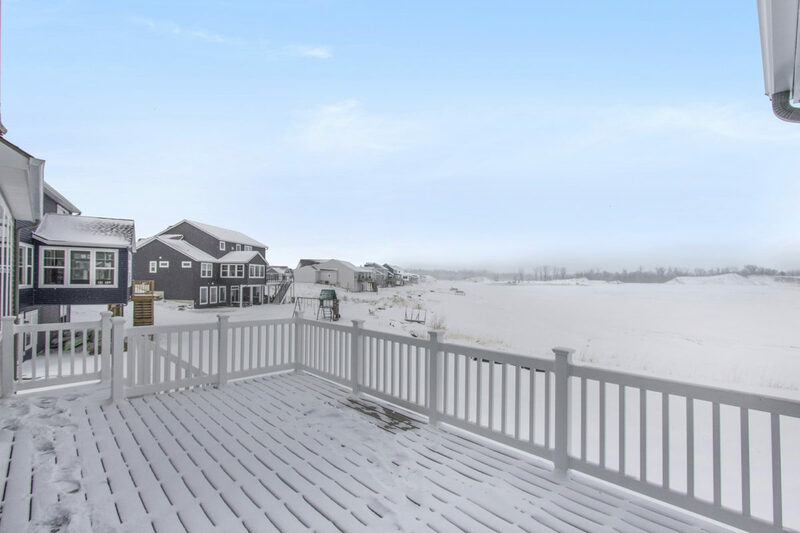 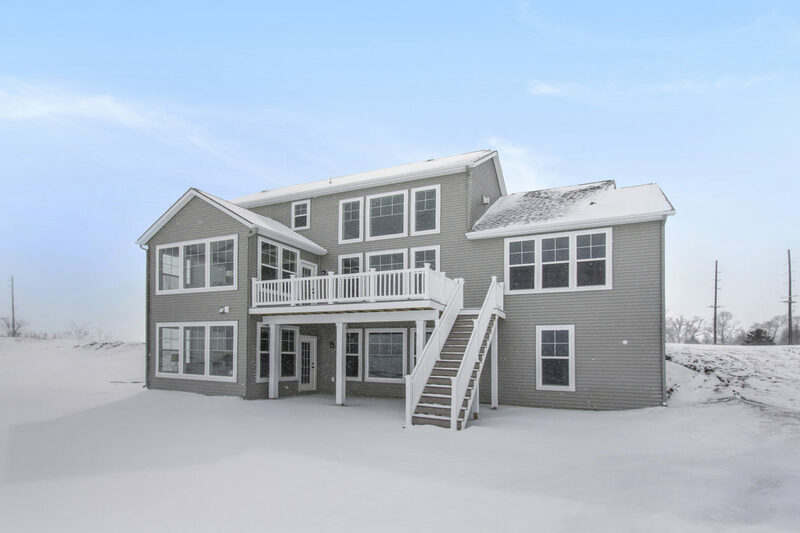 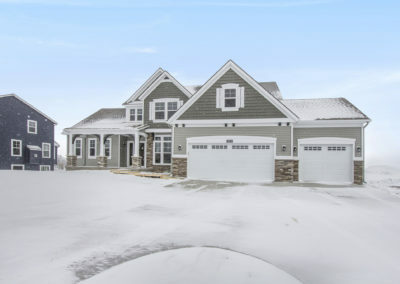 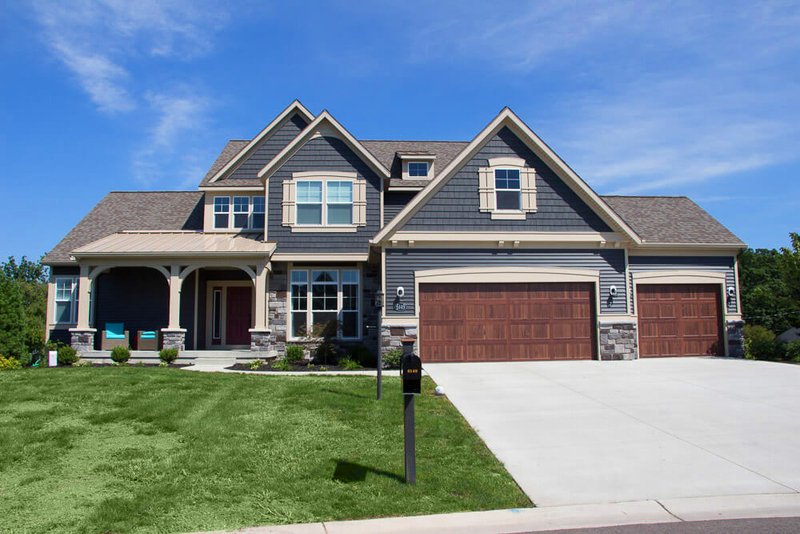 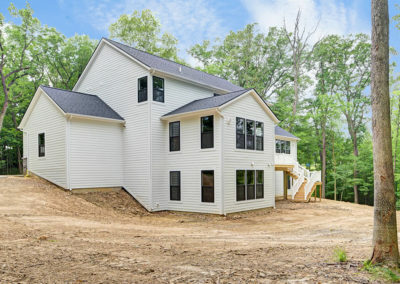 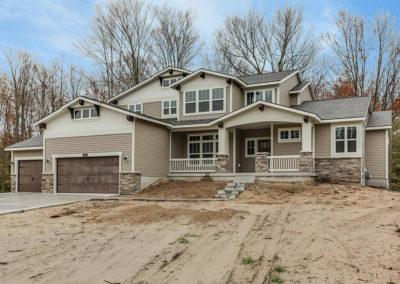 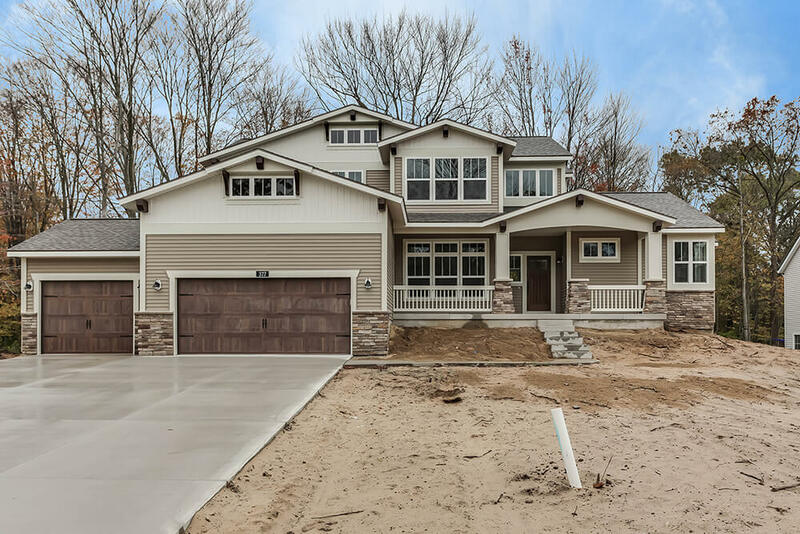 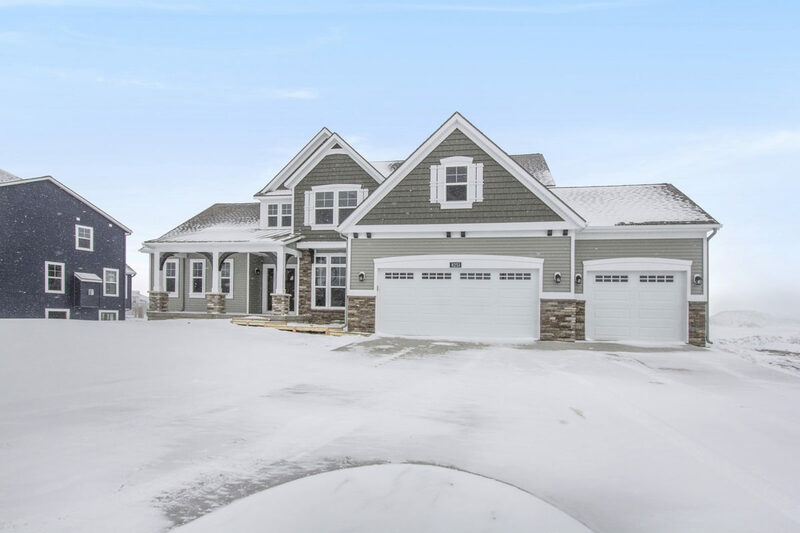 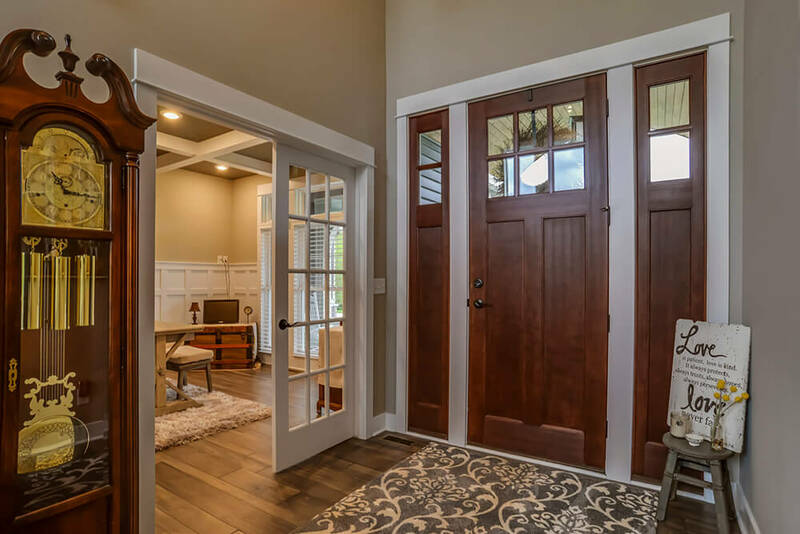 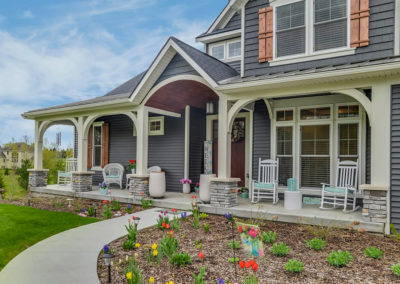 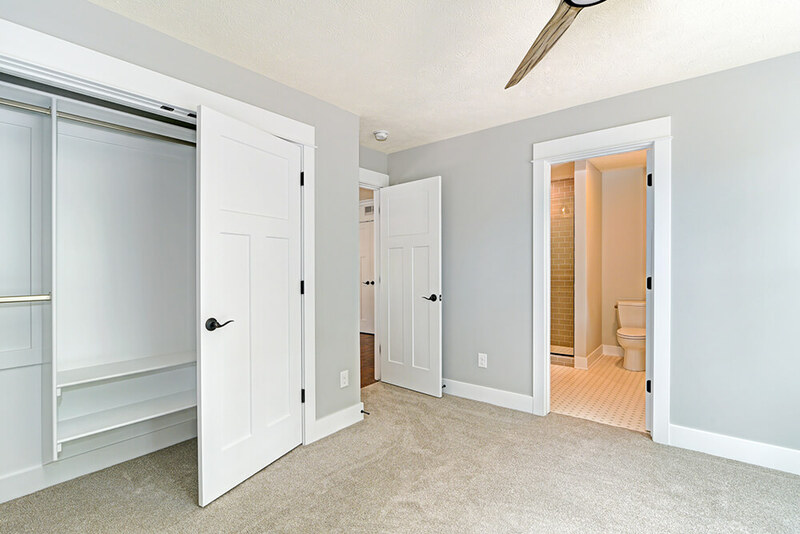 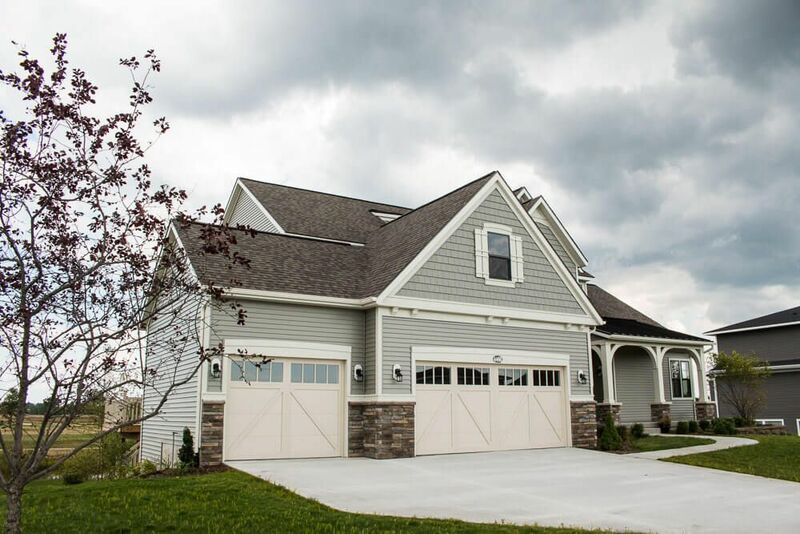 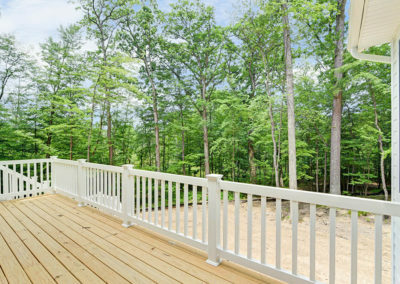 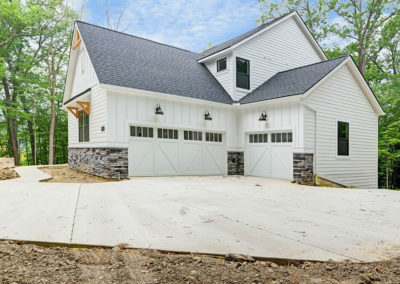 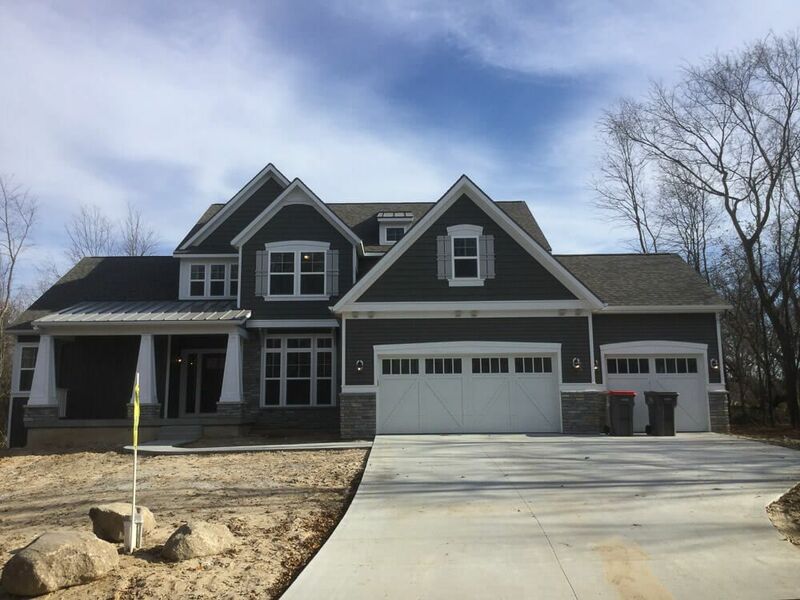 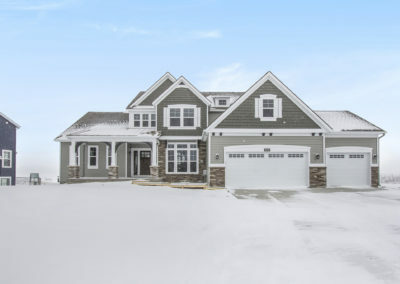 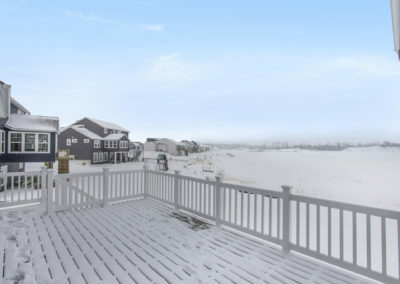 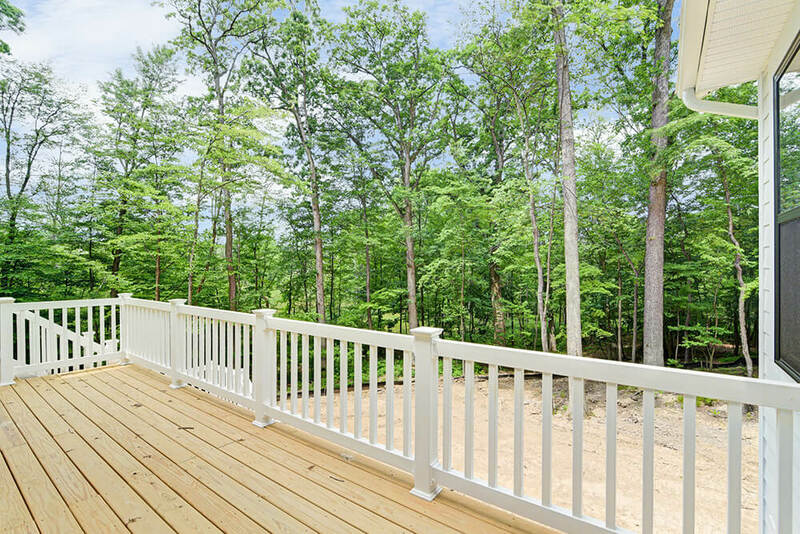 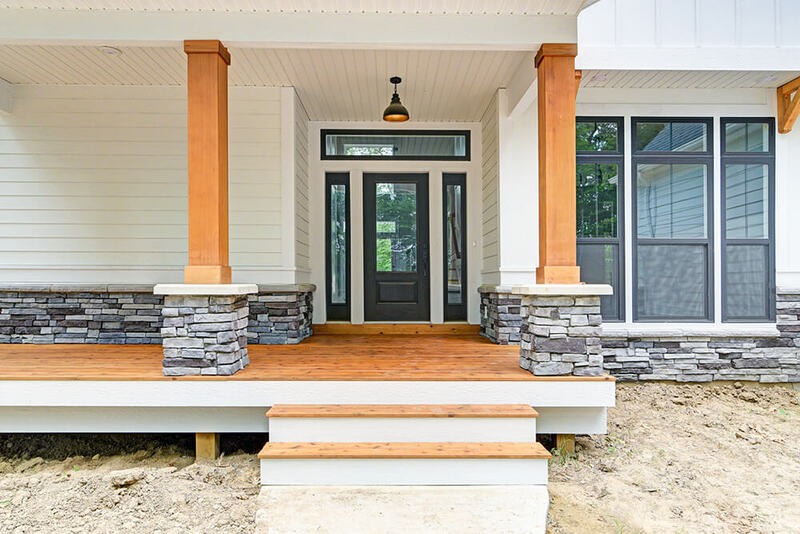 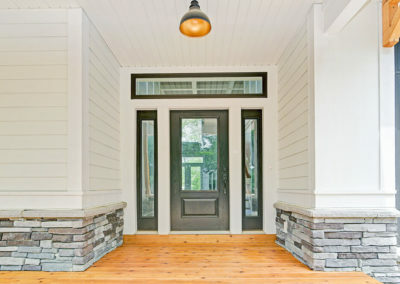 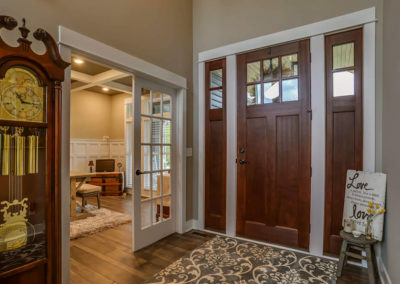 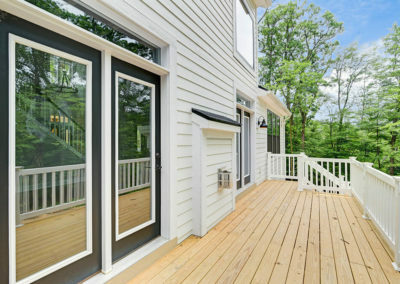 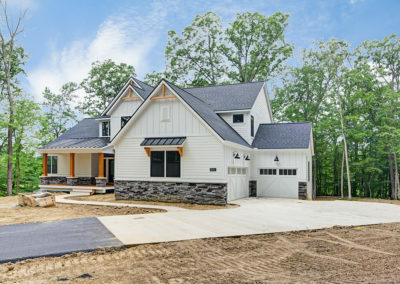 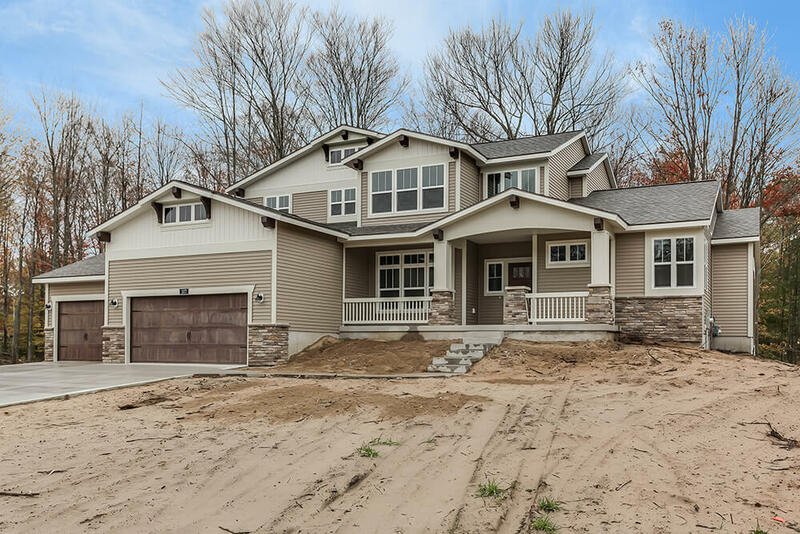 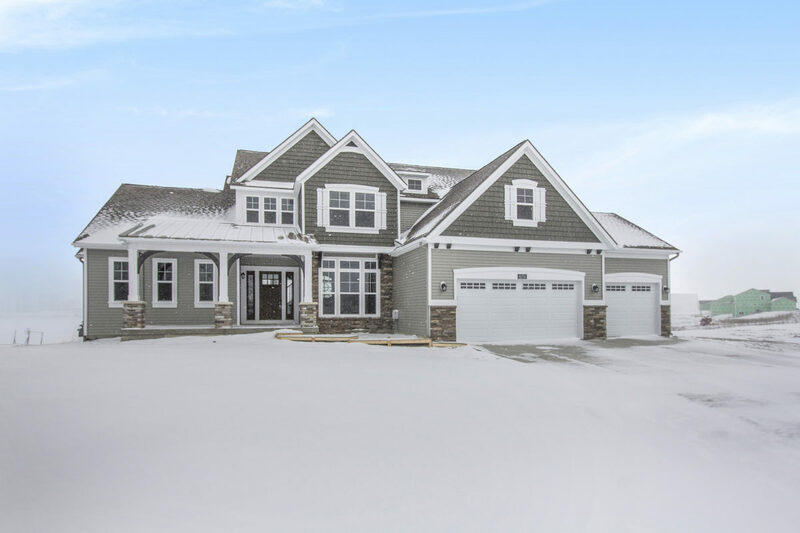 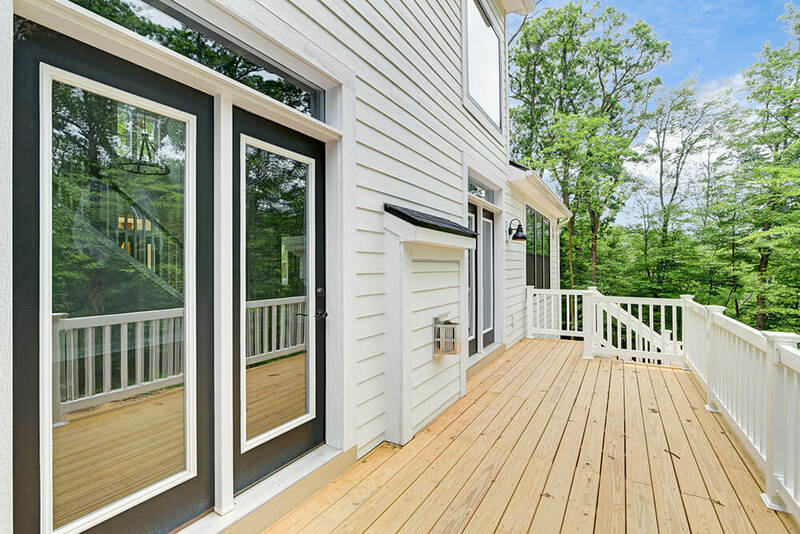 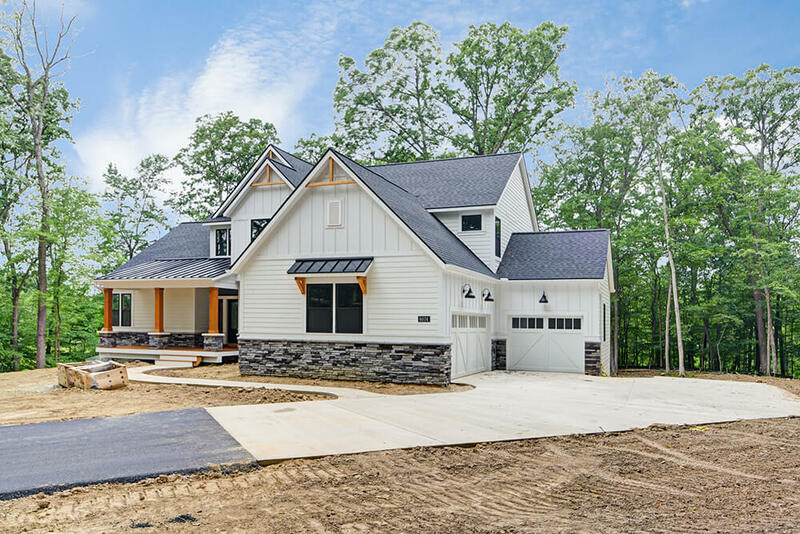 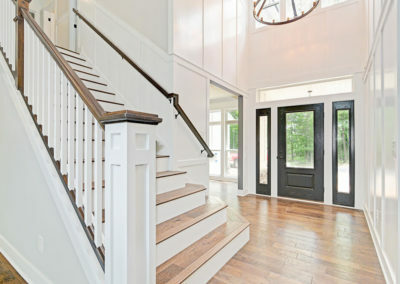 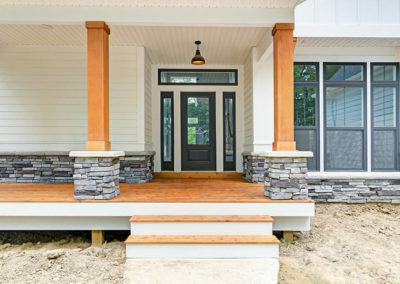 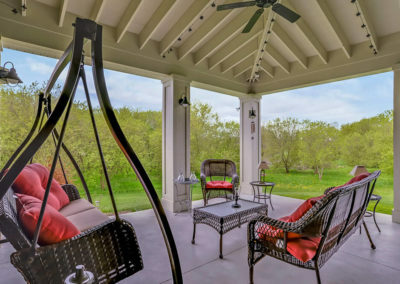 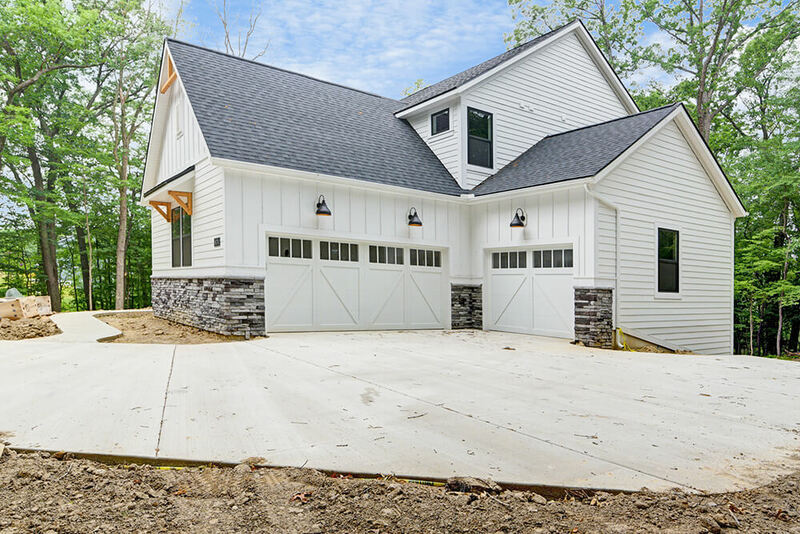 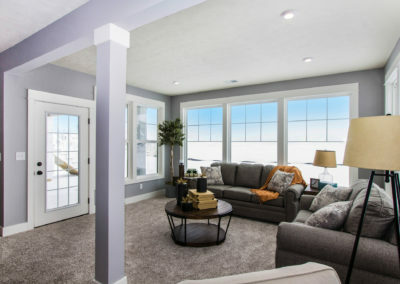 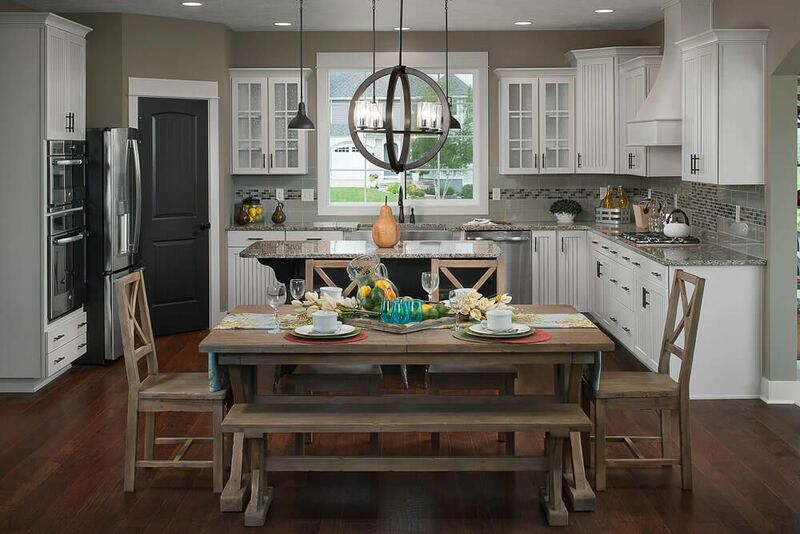 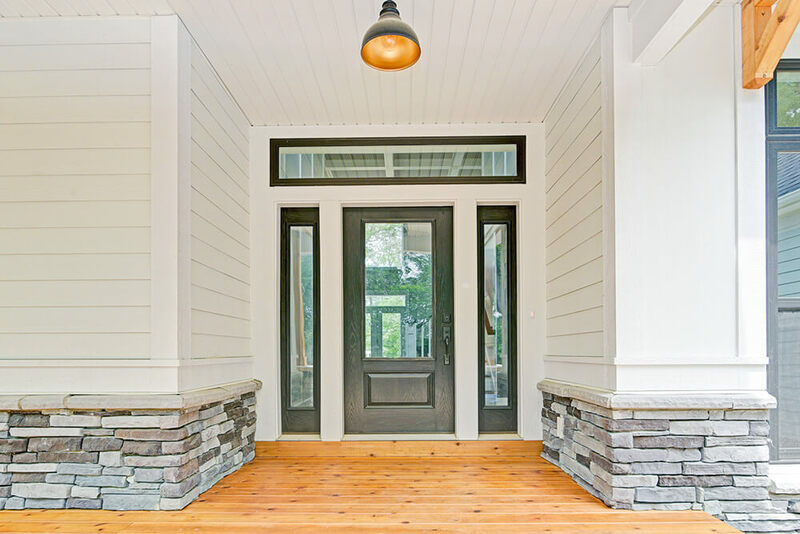 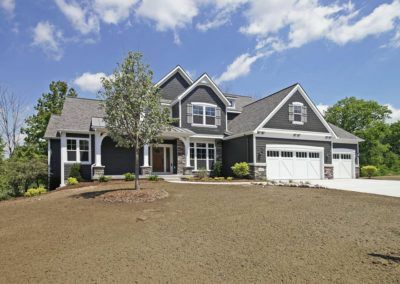 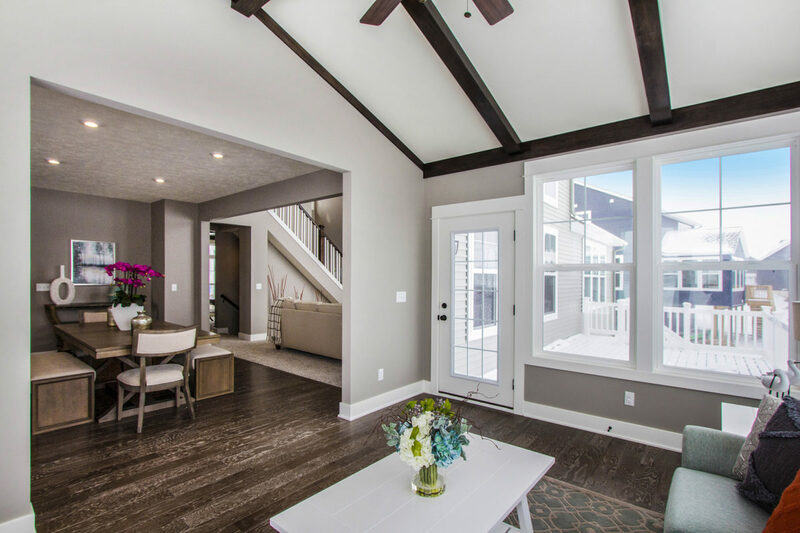 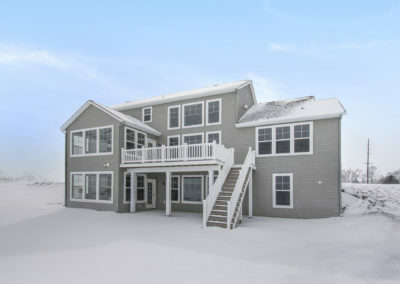 The front door of your new Birkshire home opens from the porch into the two-story foyer. 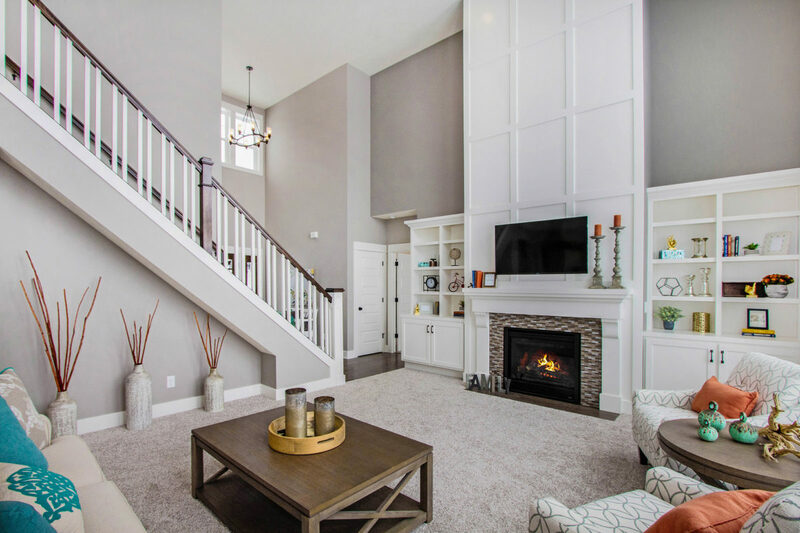 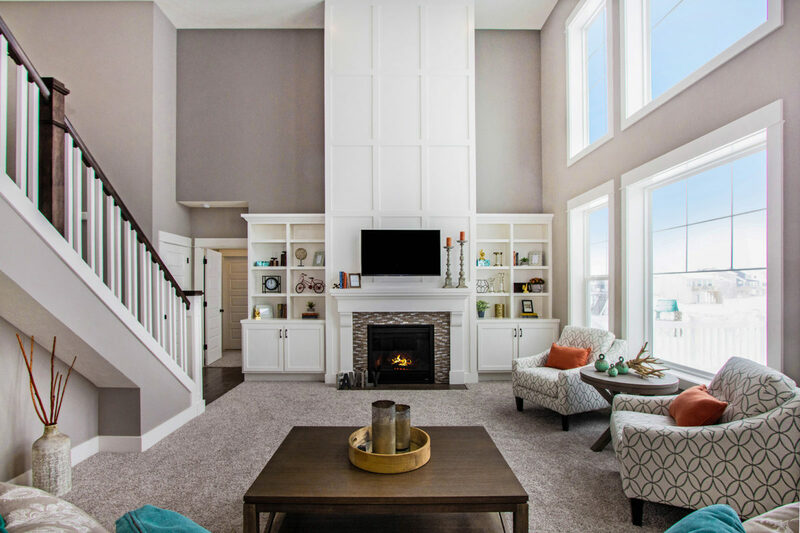 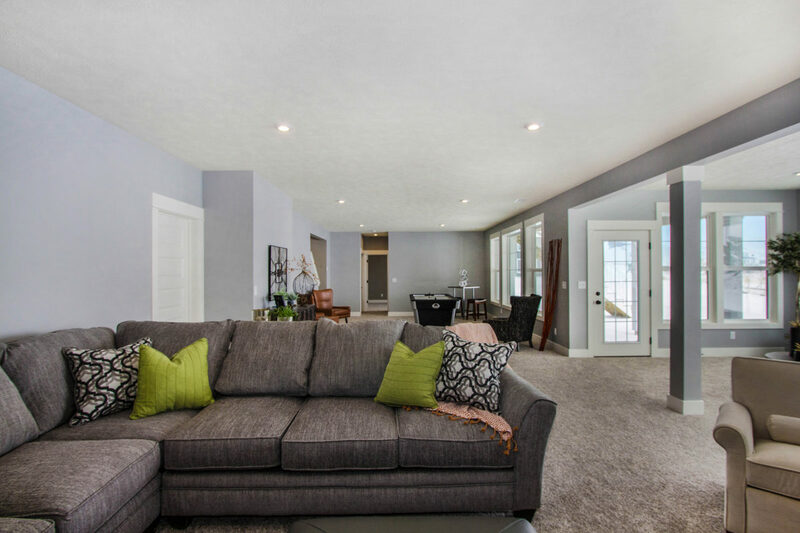 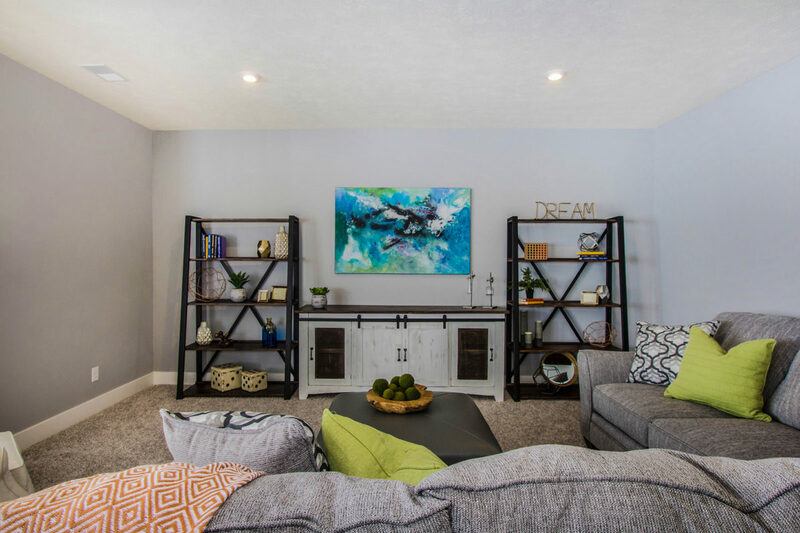 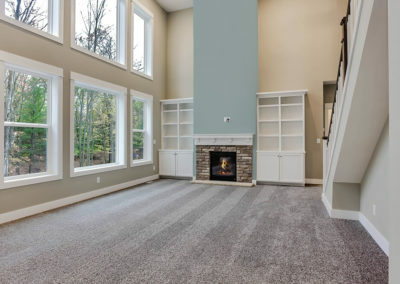 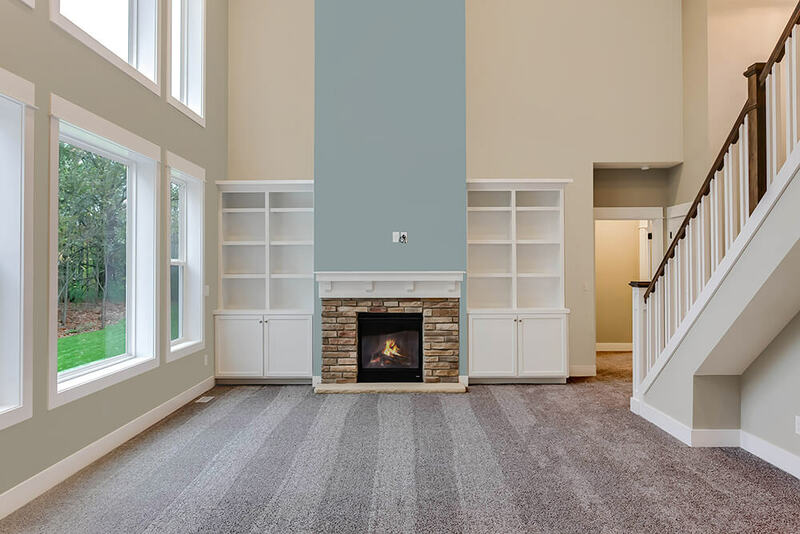 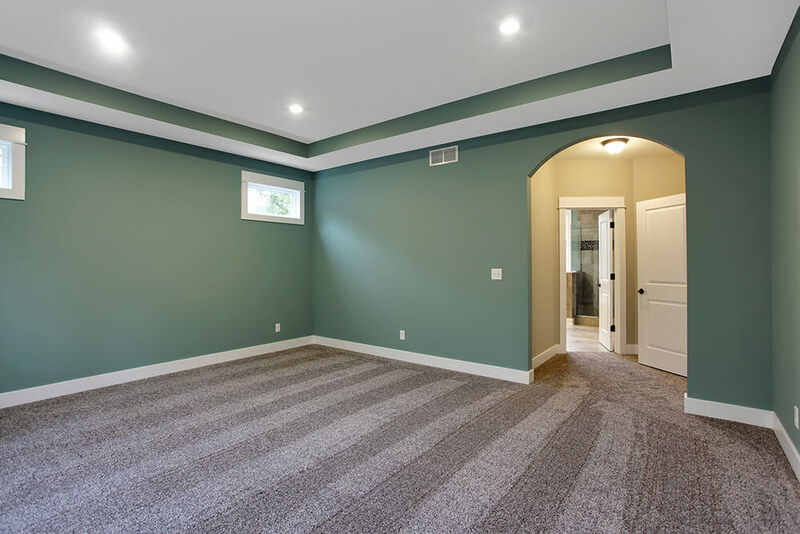 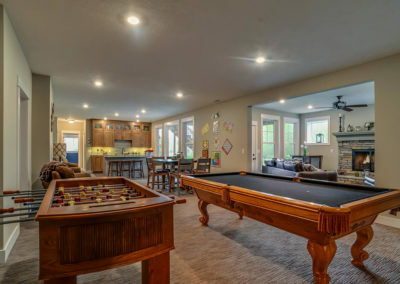 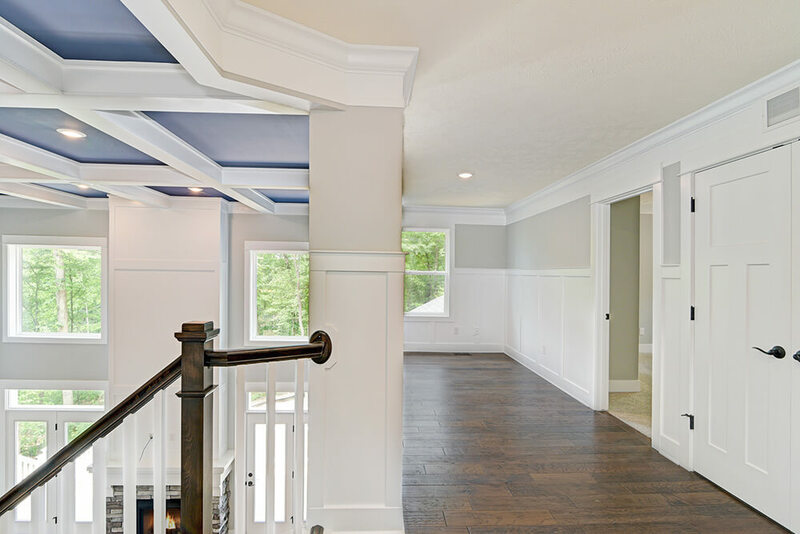 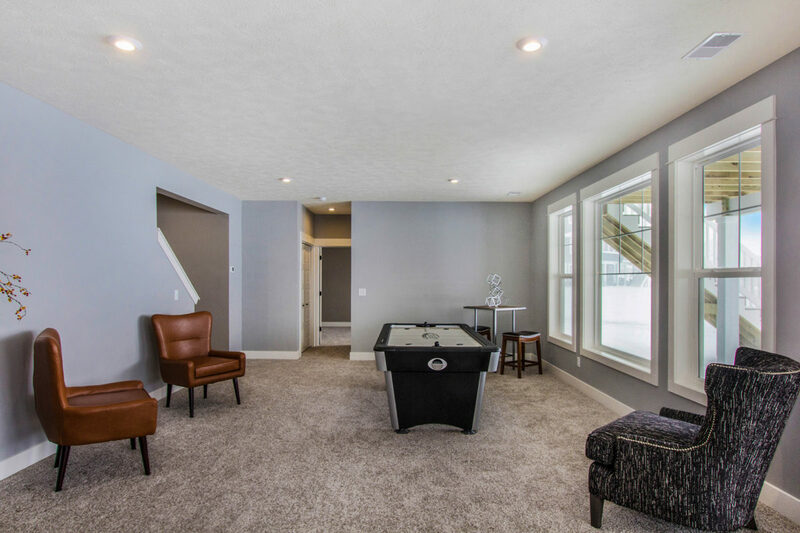 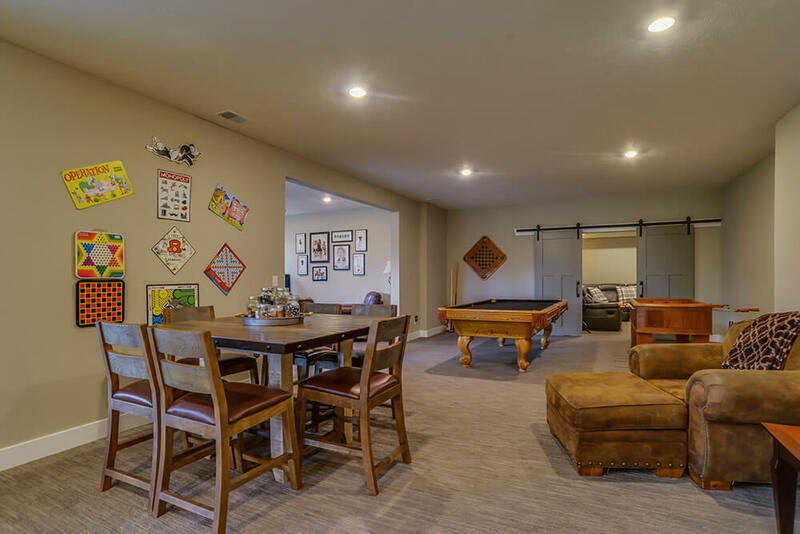 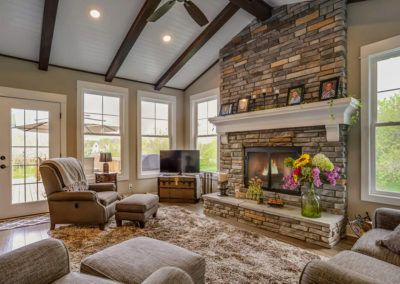 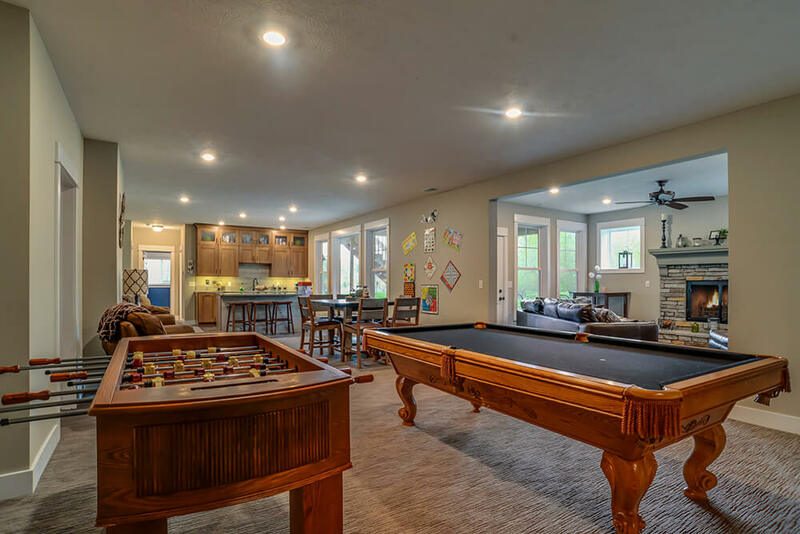 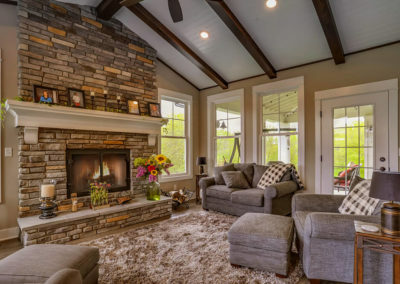 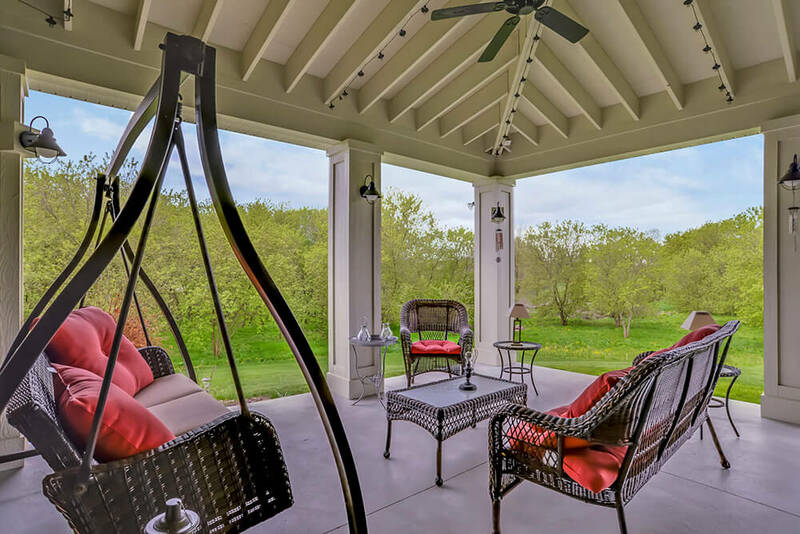 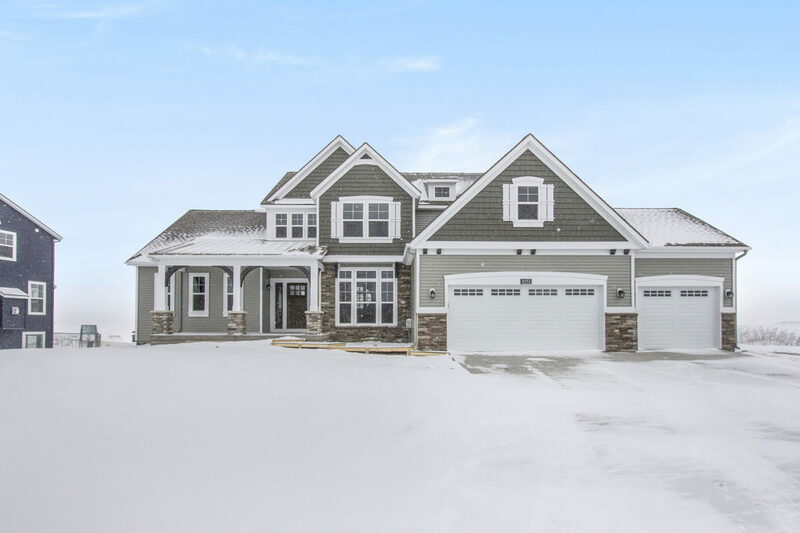 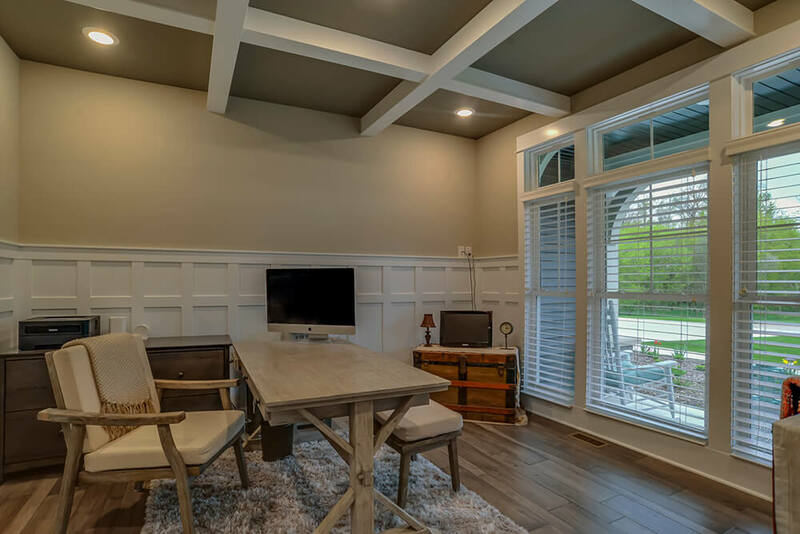 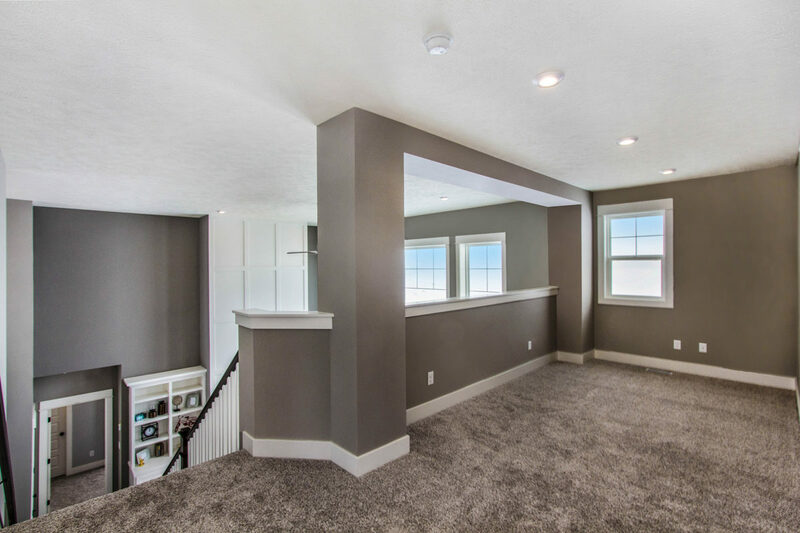 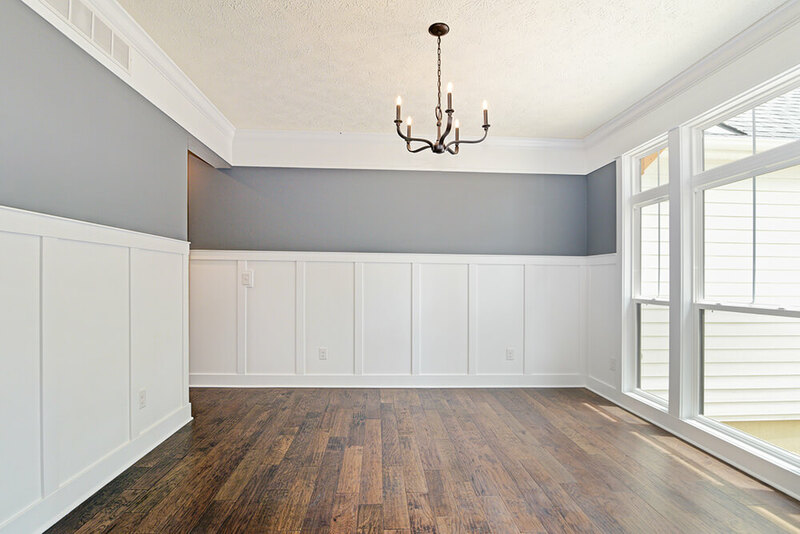 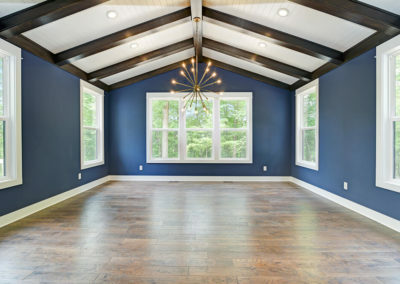 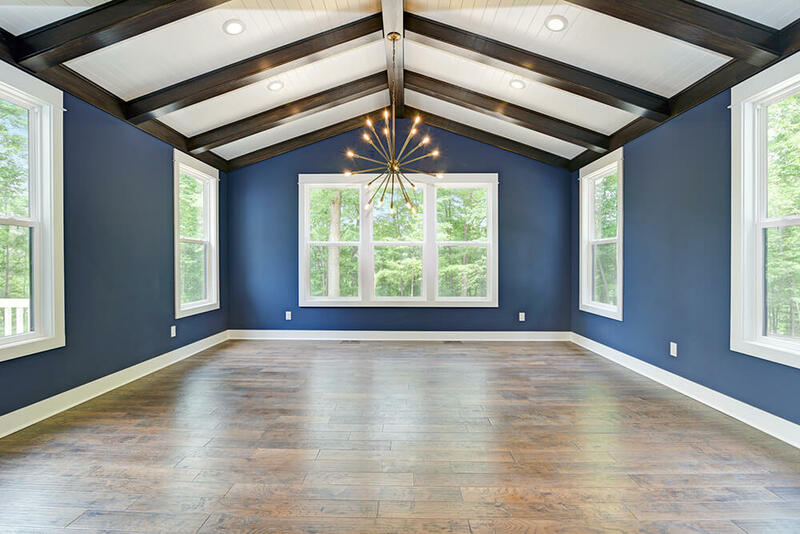 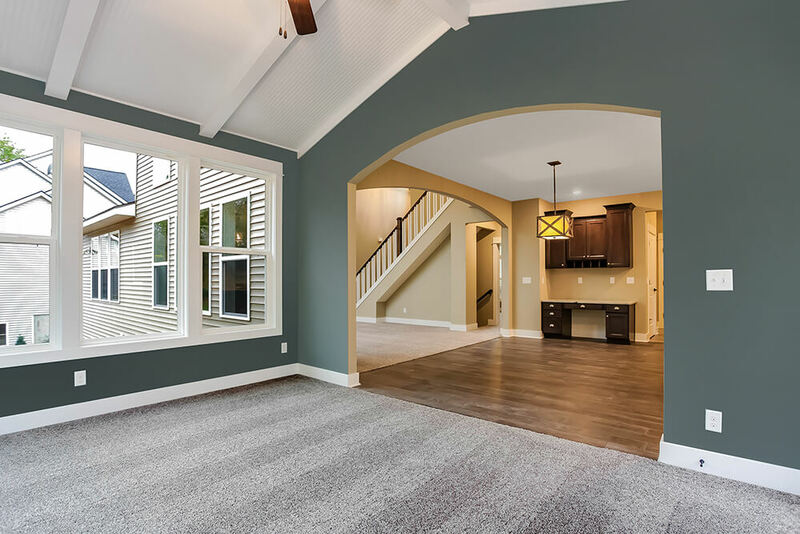 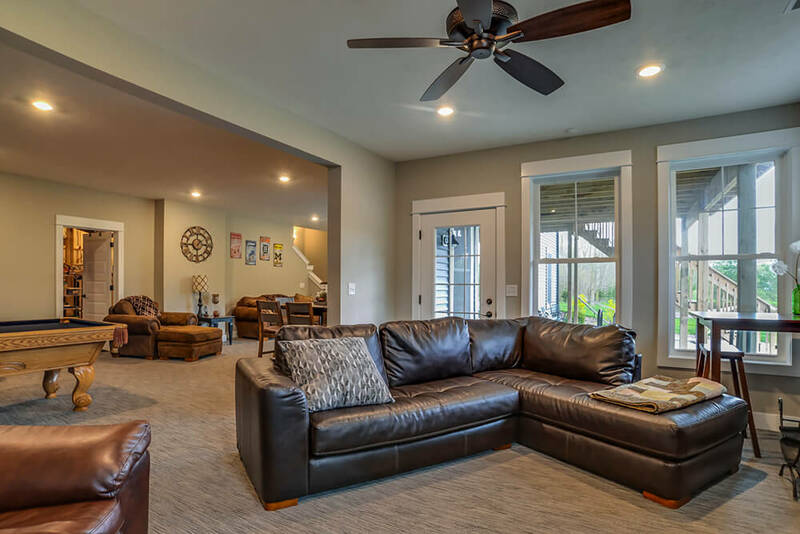 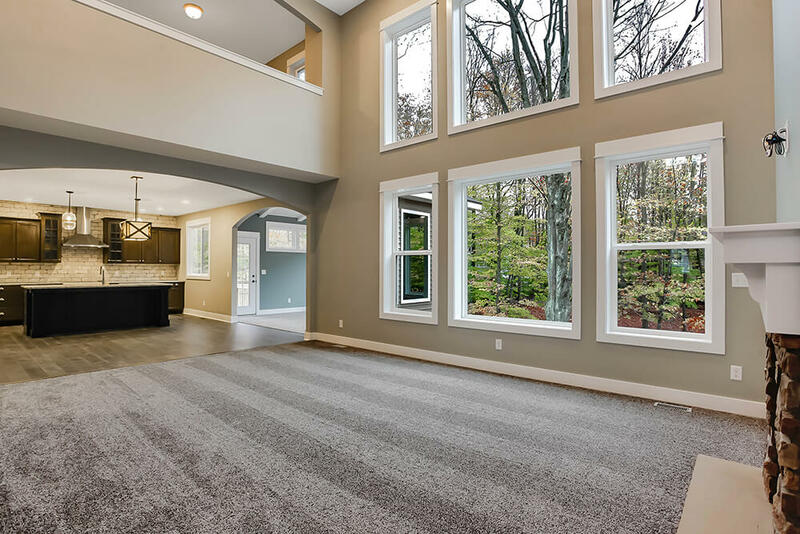 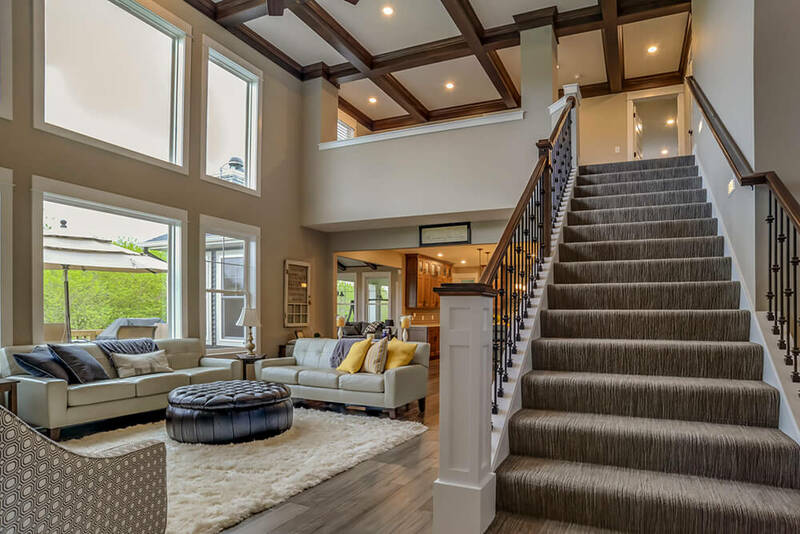 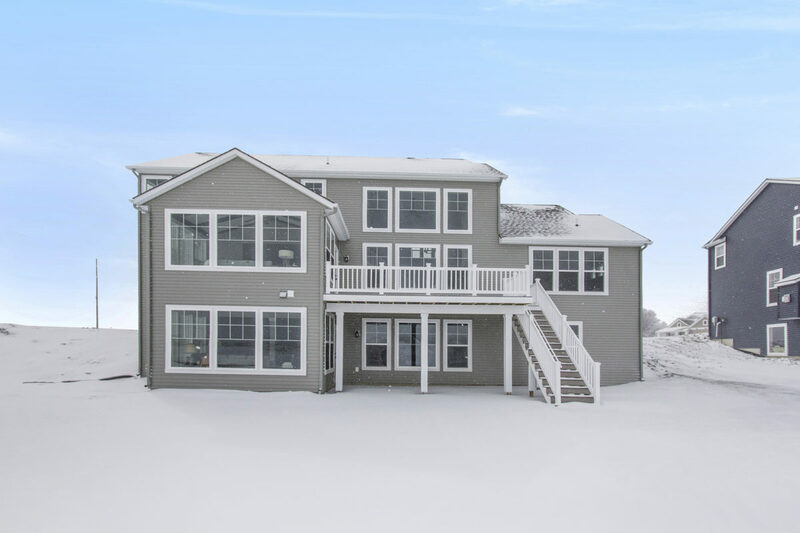 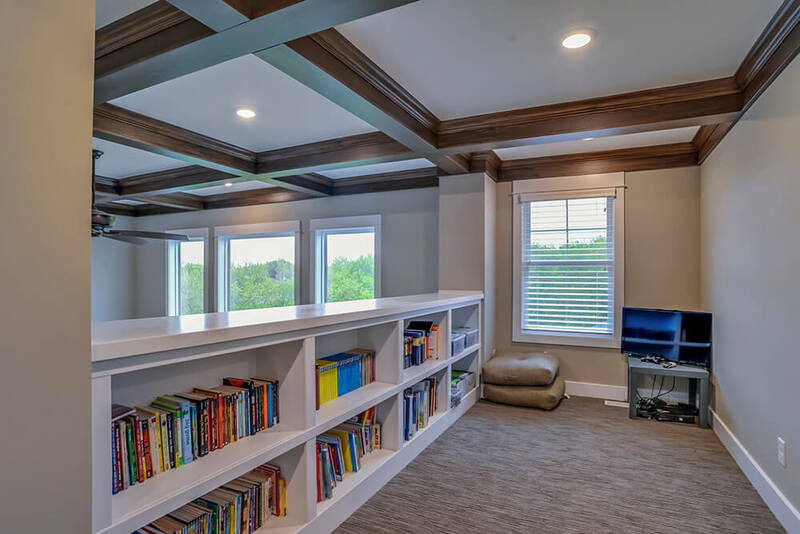 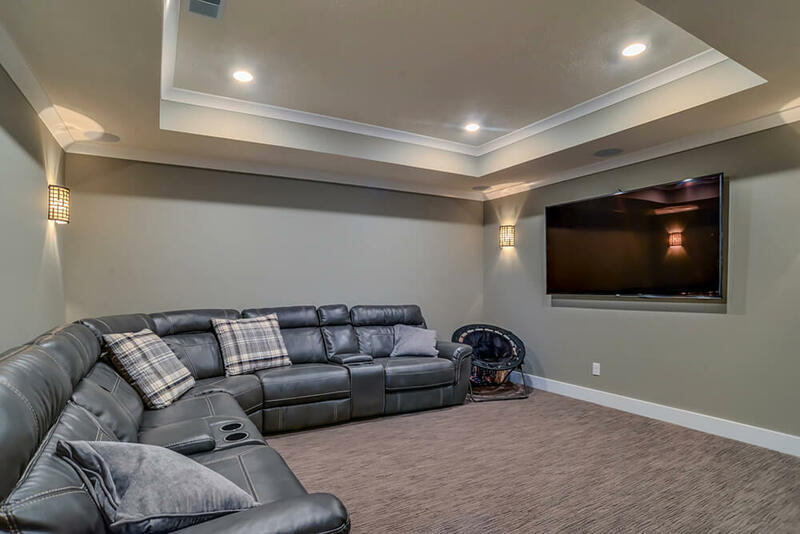 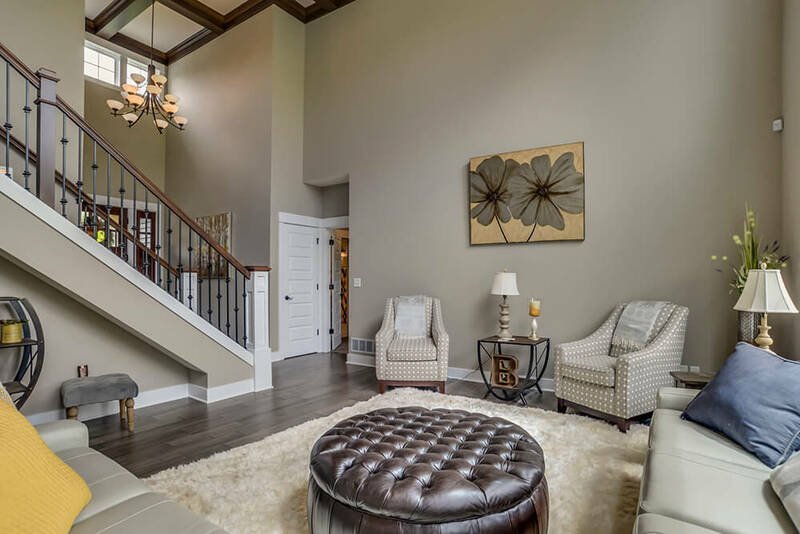 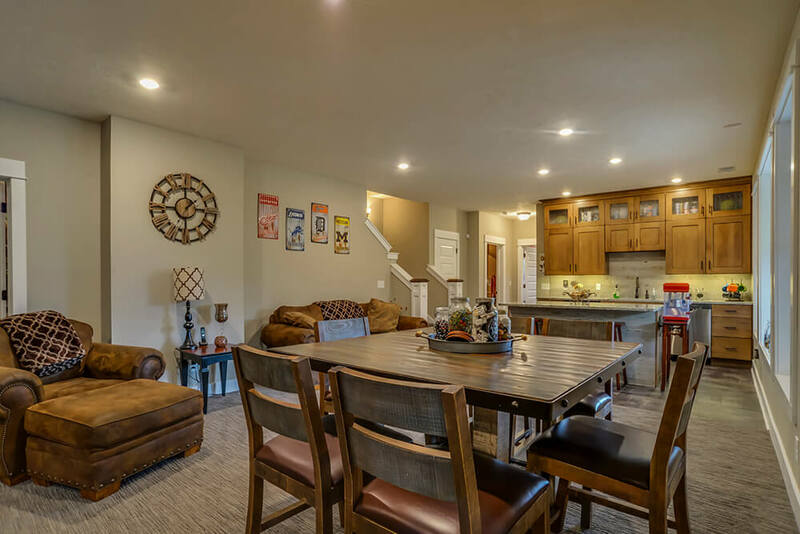 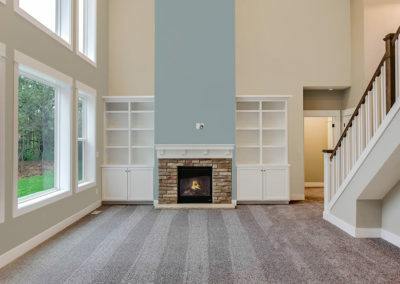 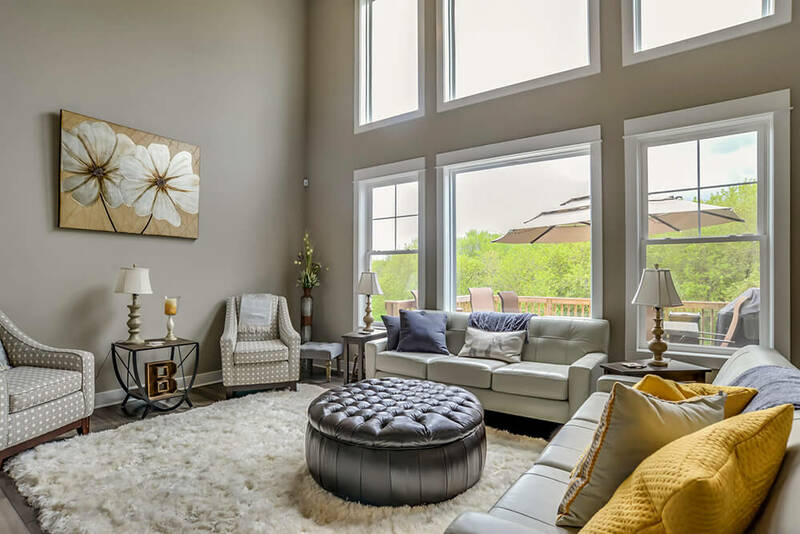 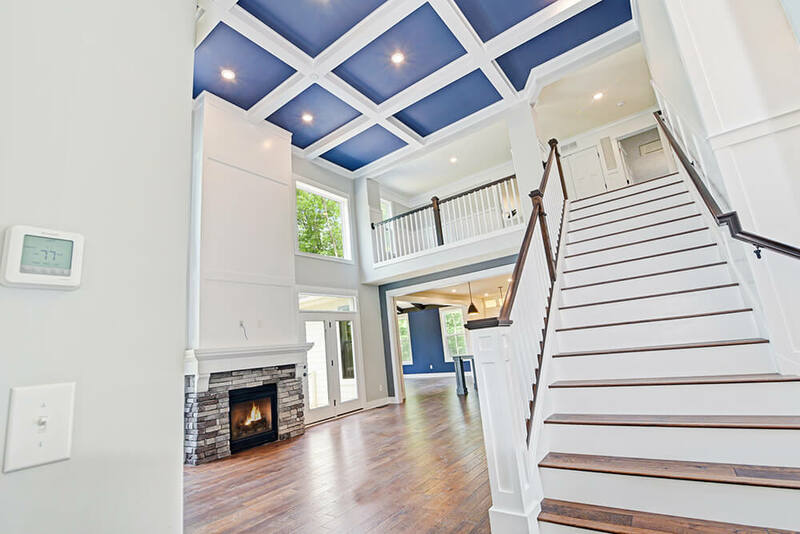 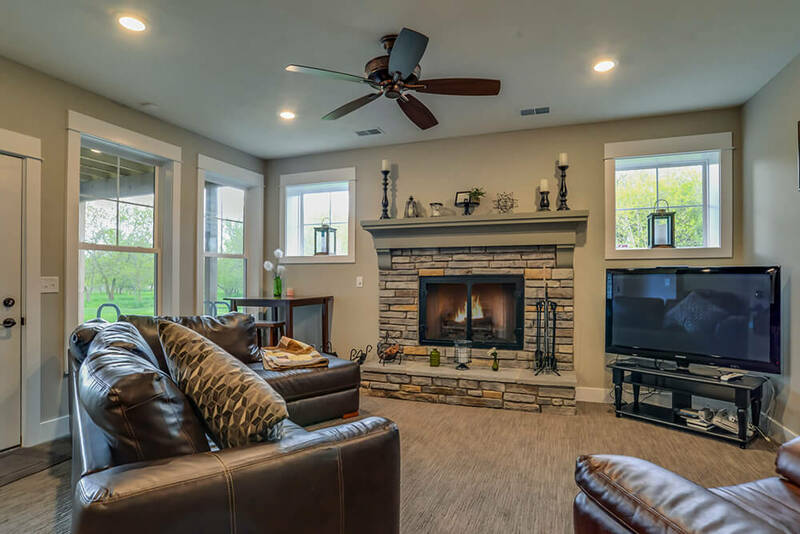 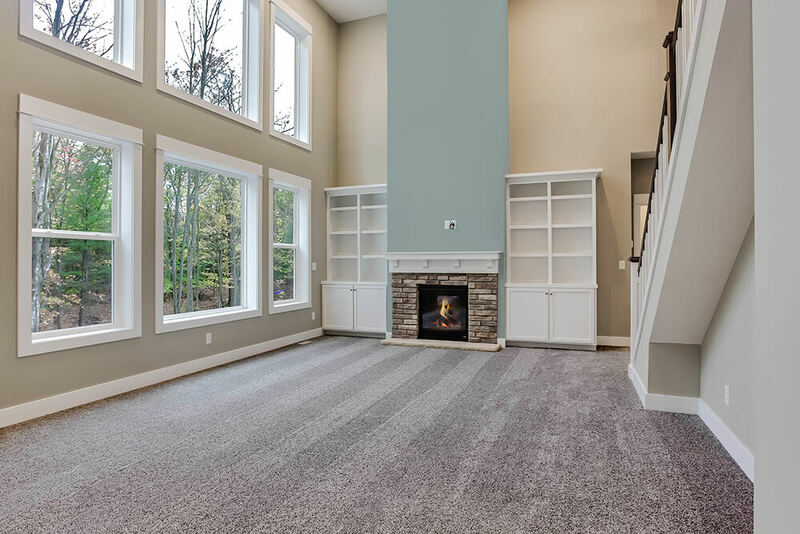 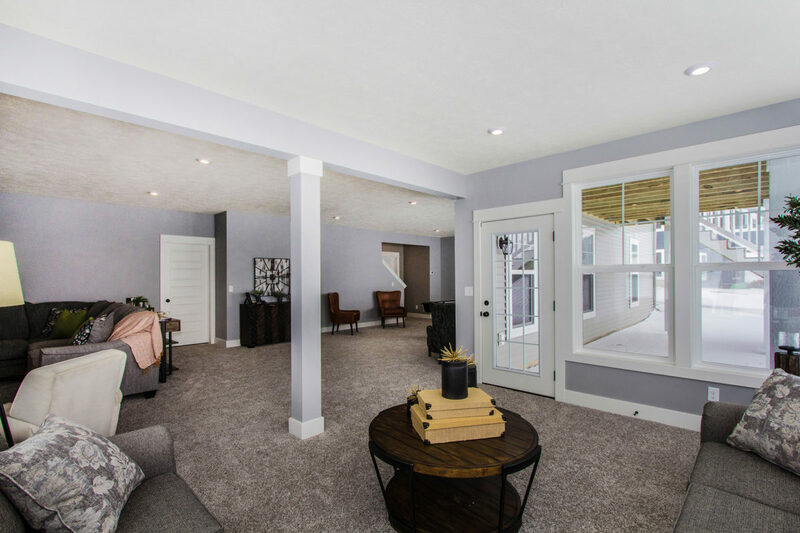 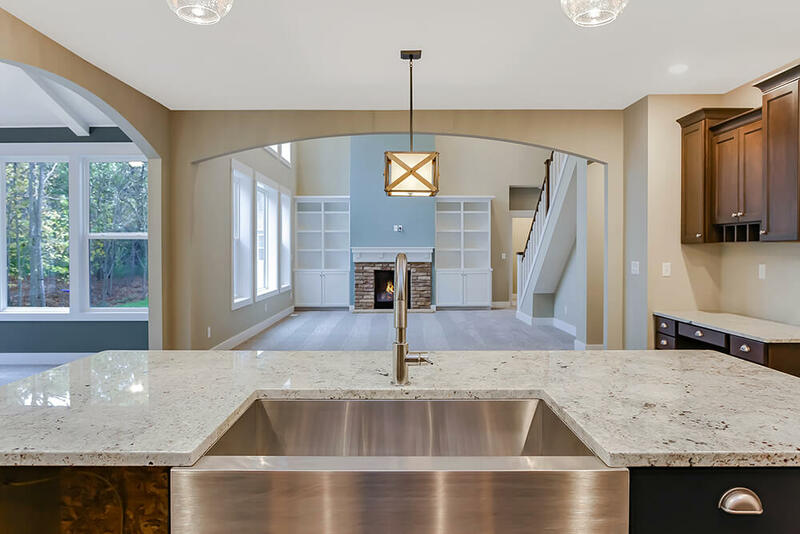 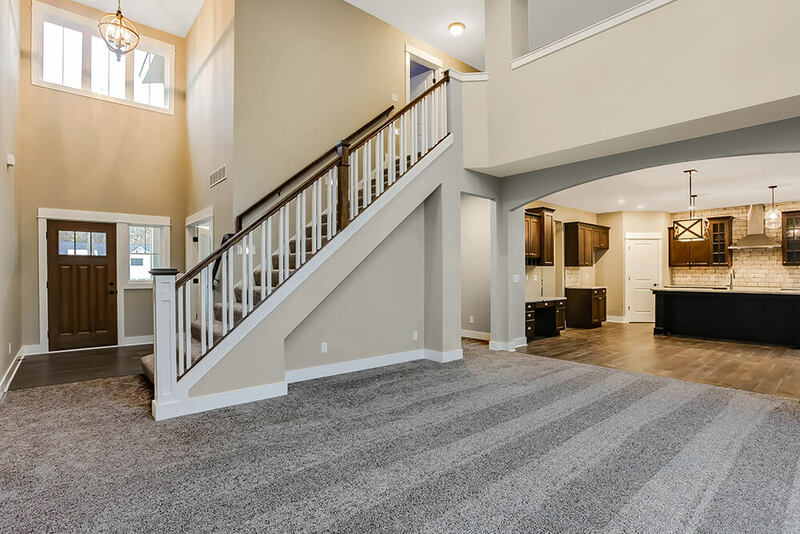 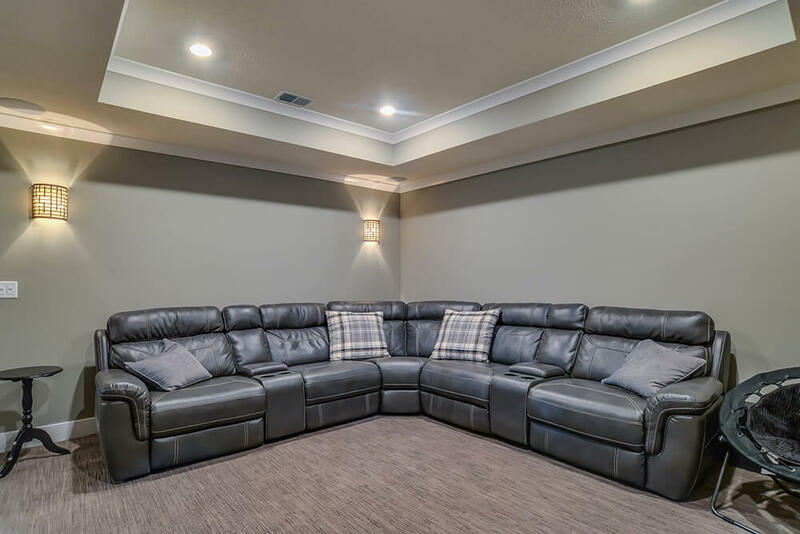 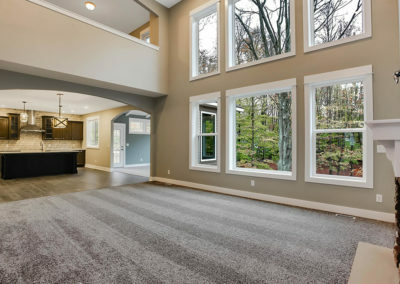 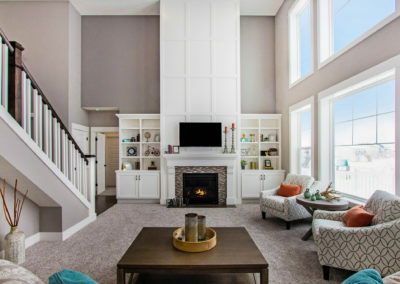 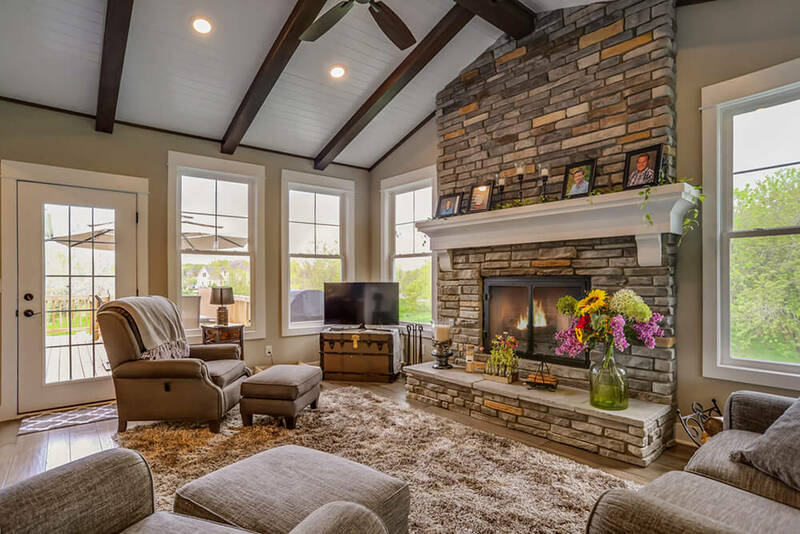 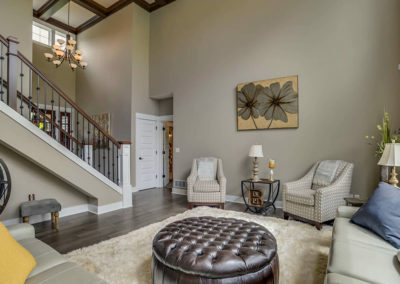 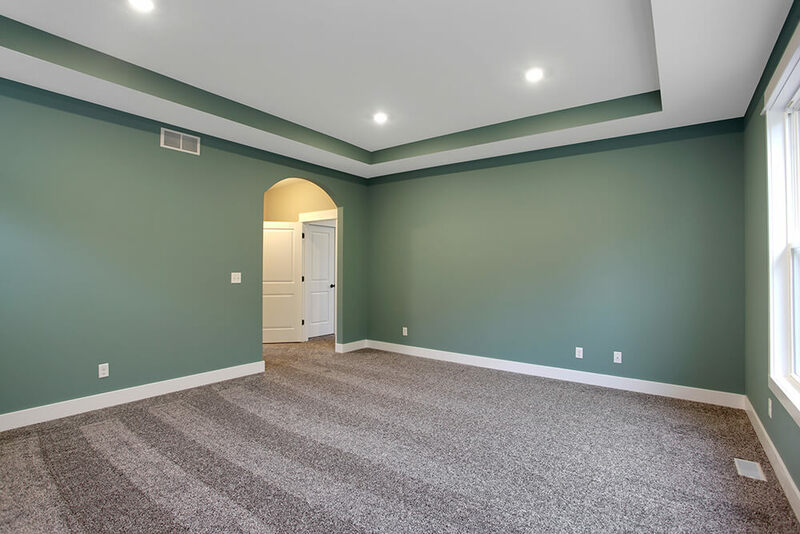 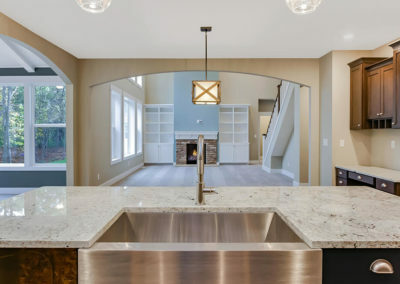 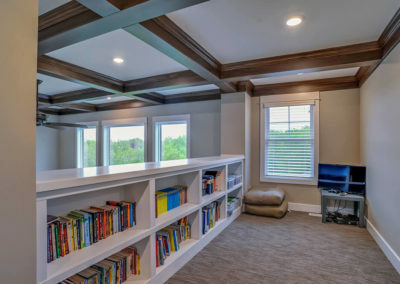 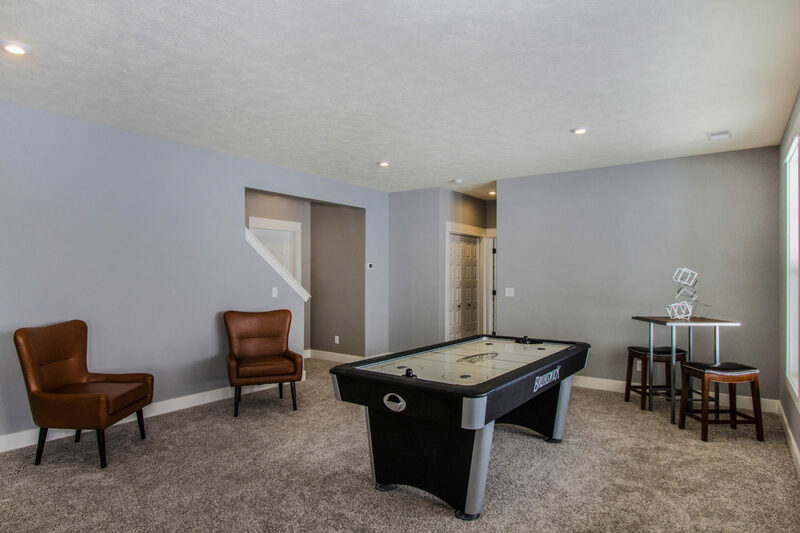 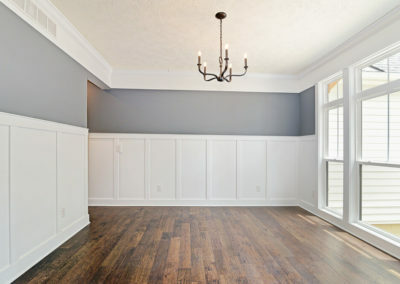 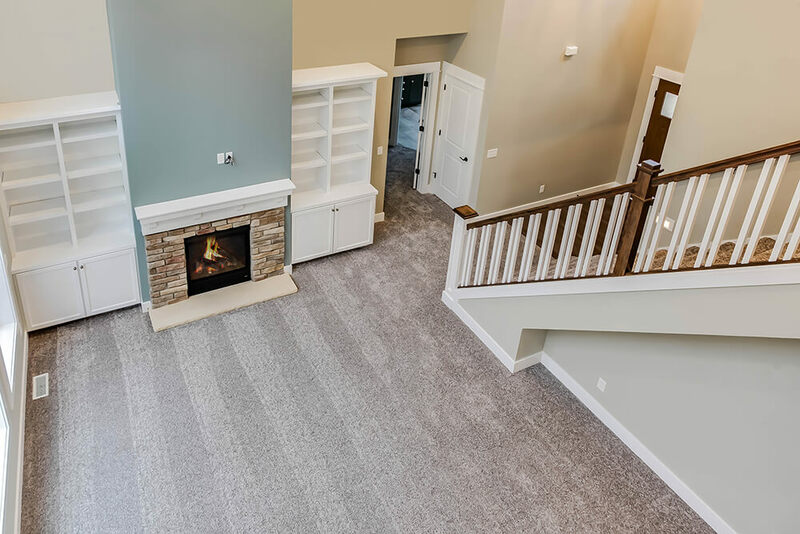 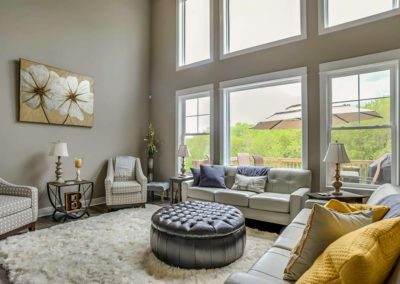 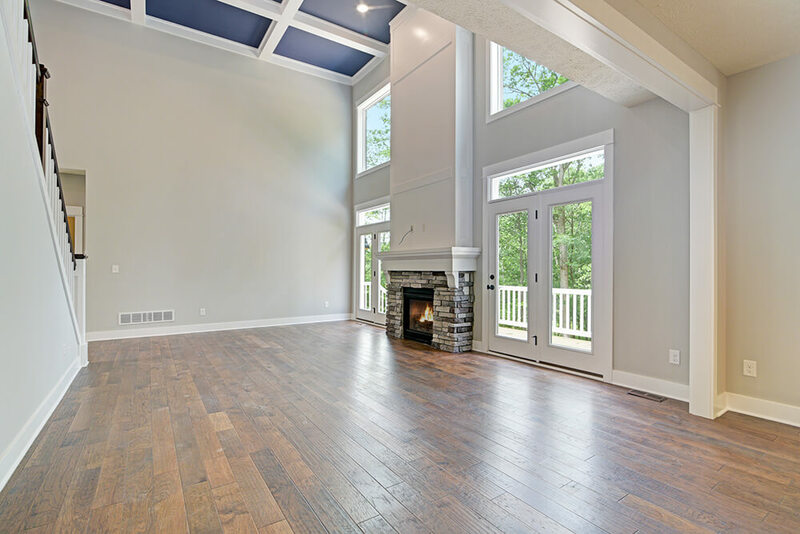 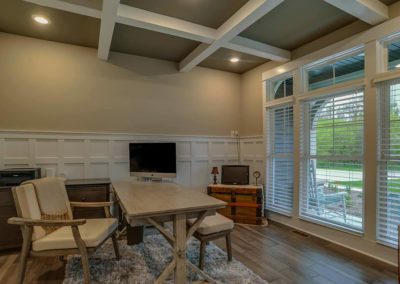 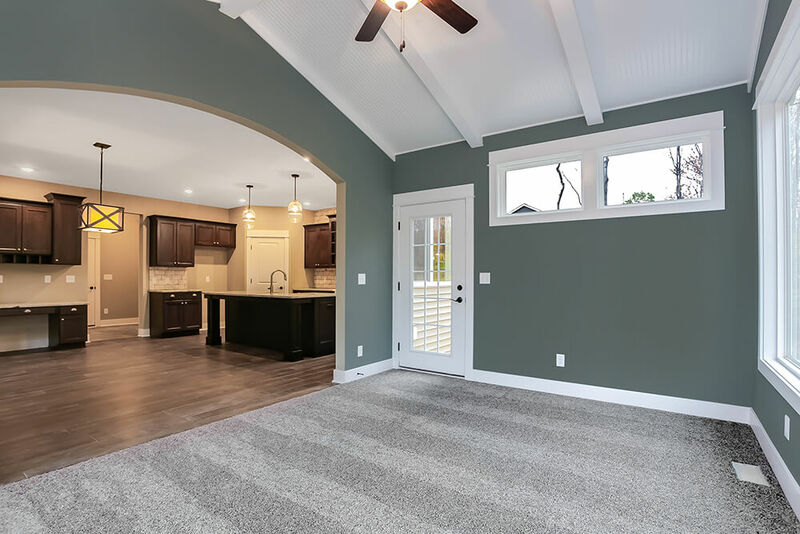 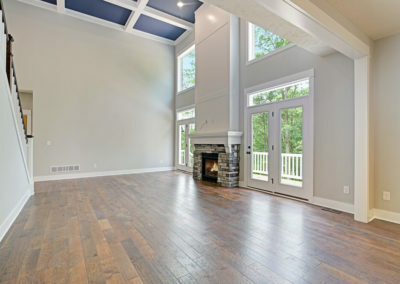 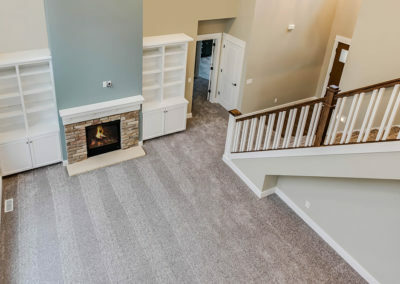 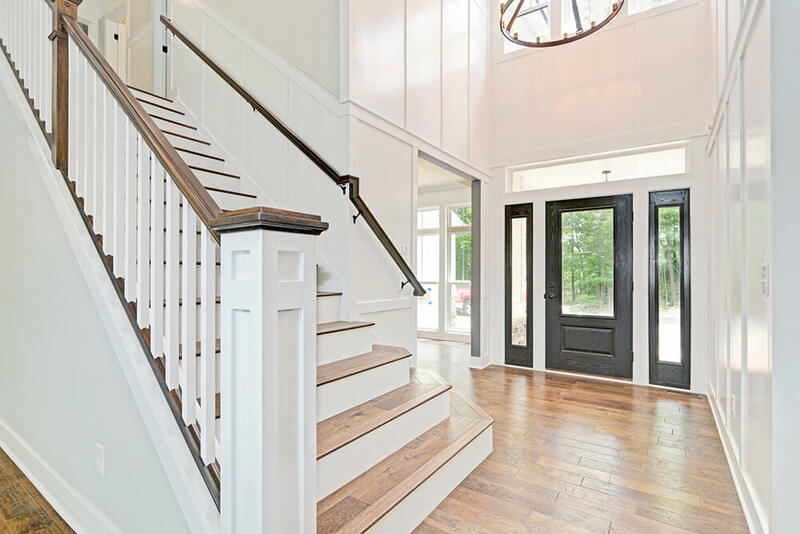 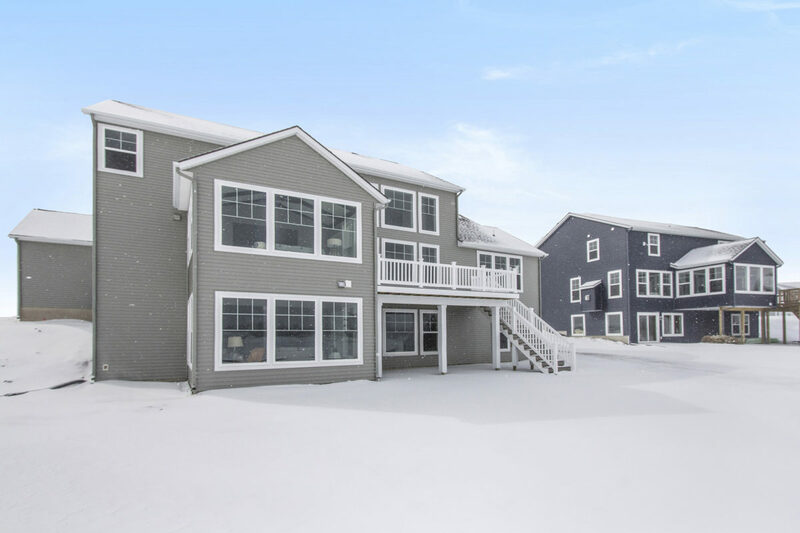 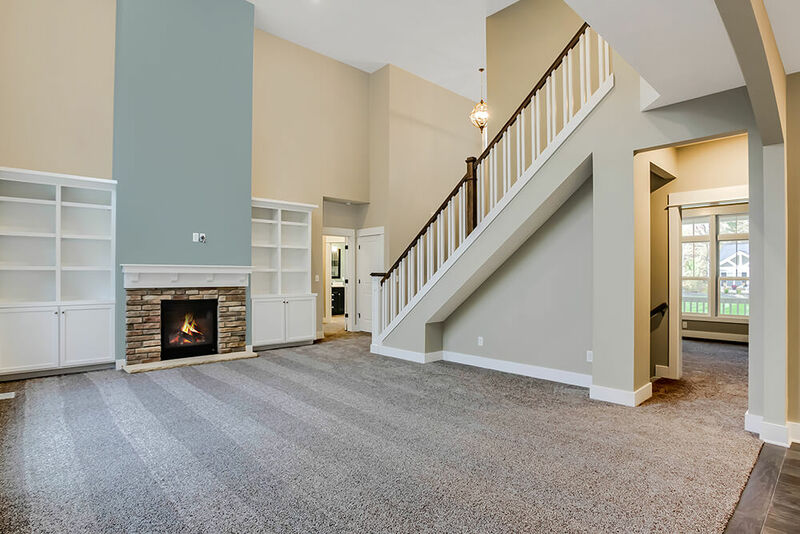 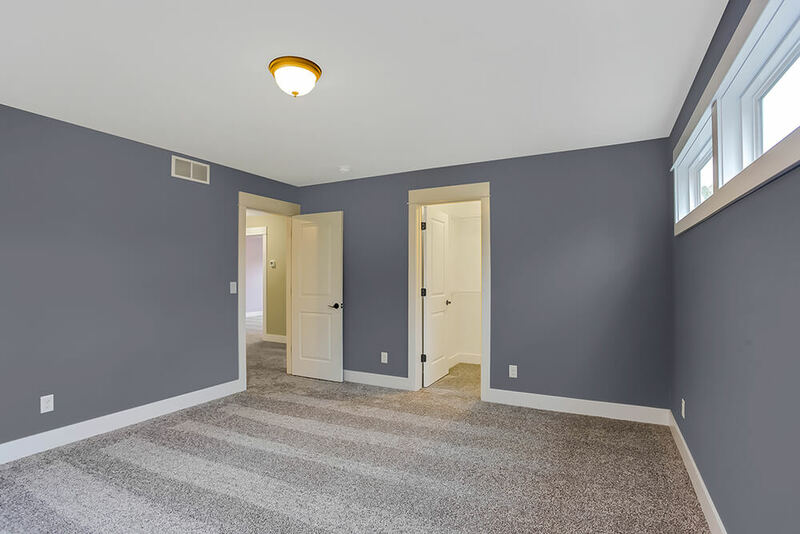 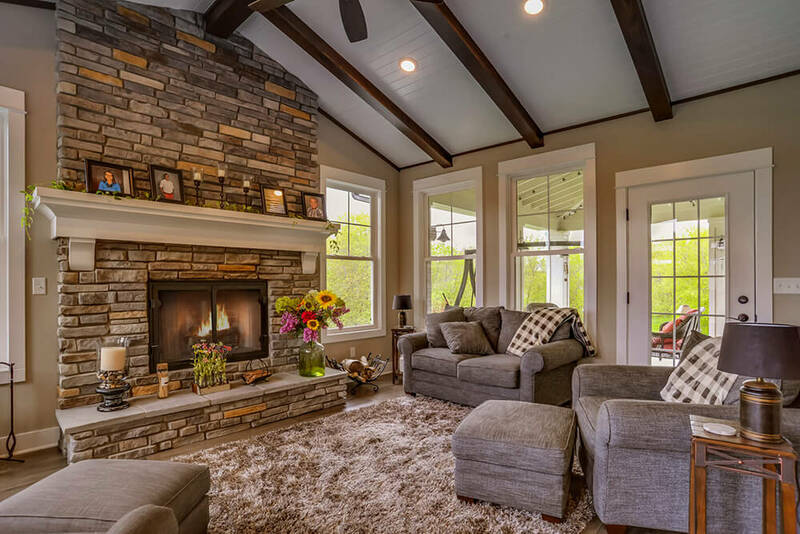 The foyer is open to the front flex room with the option to add a stylish tray ceiling, and leads on into the two-story great room with its included fireplace. 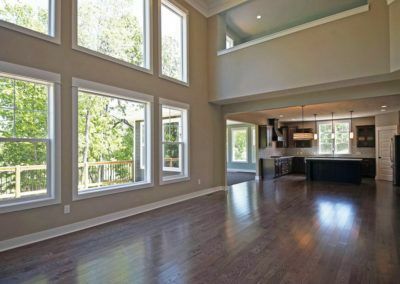 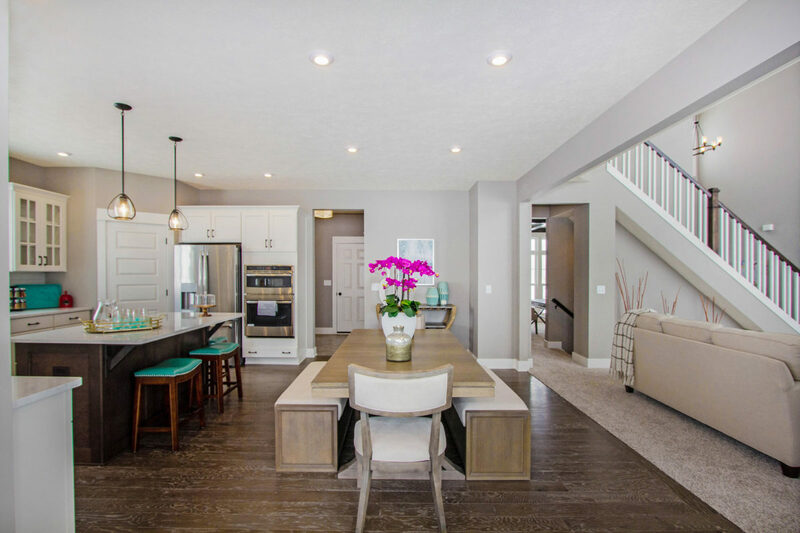 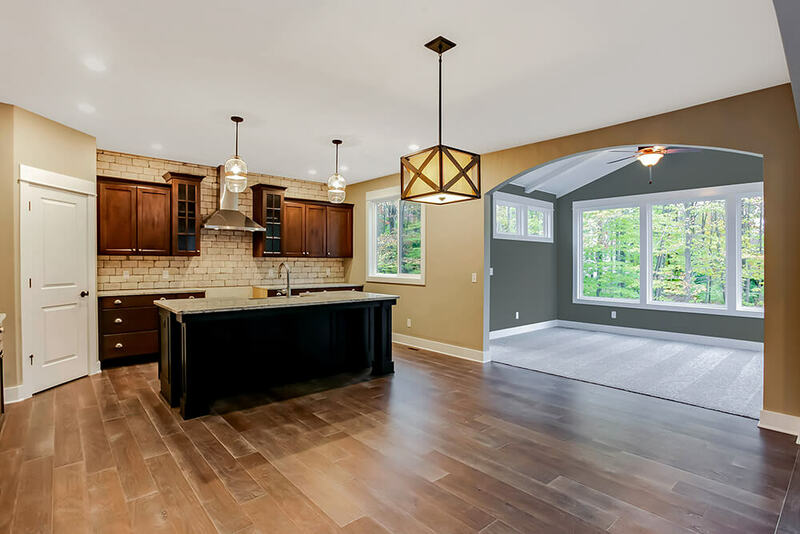 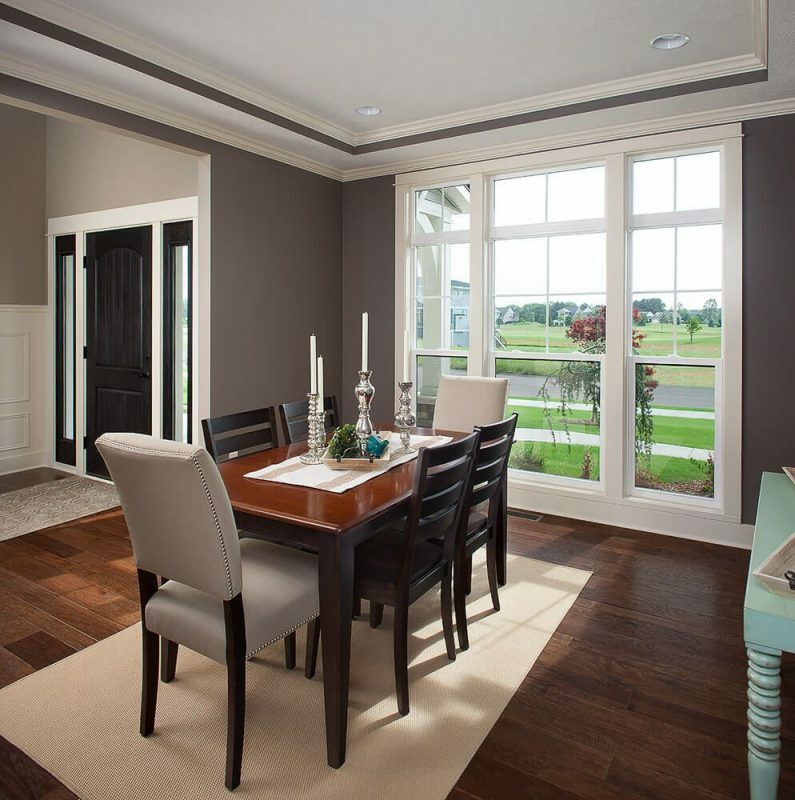 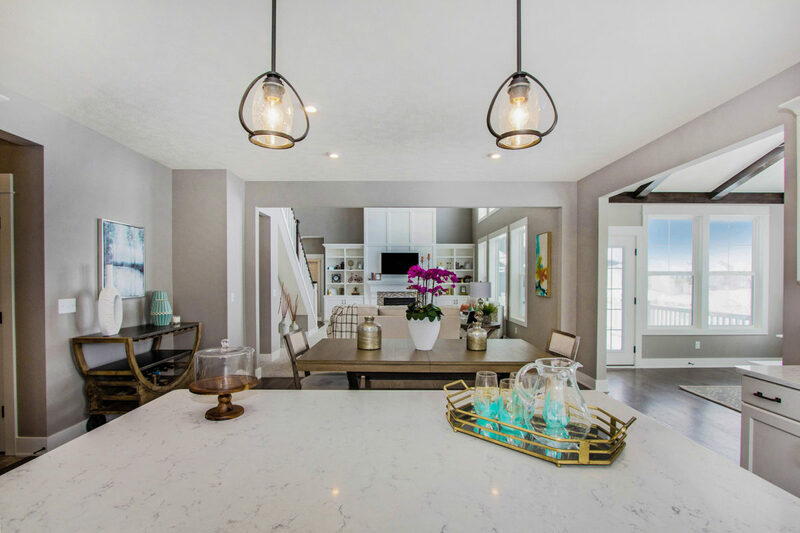 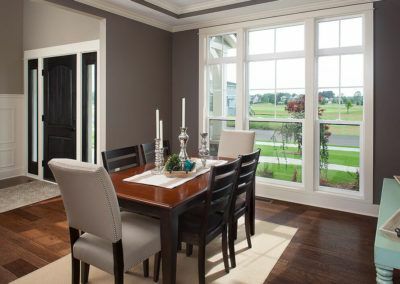 Off the great room, the dining room and kitchen form an open, sunny space, with the option to add a family room off the dining area. 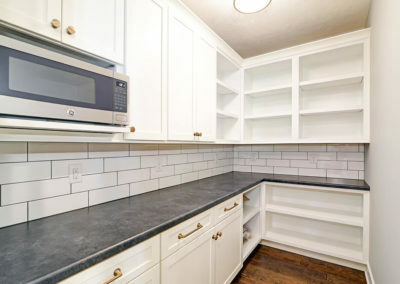 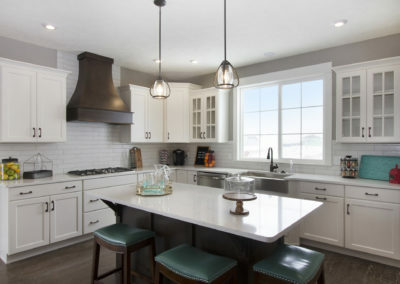 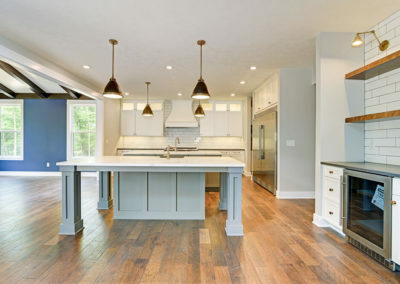 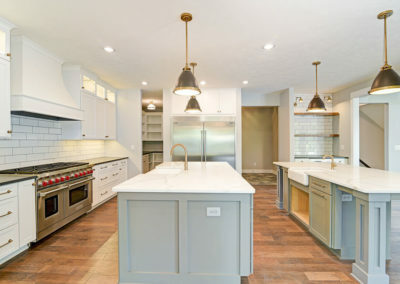 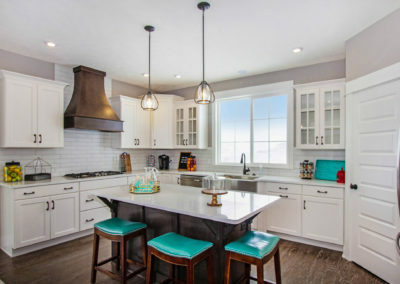 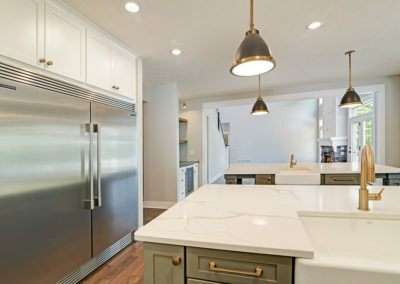 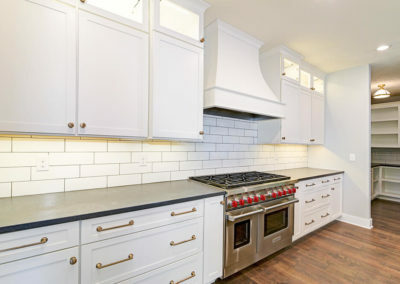 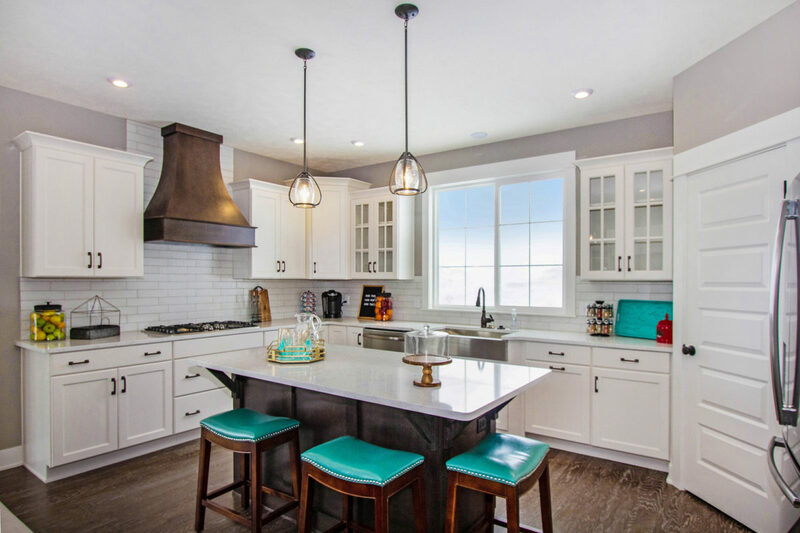 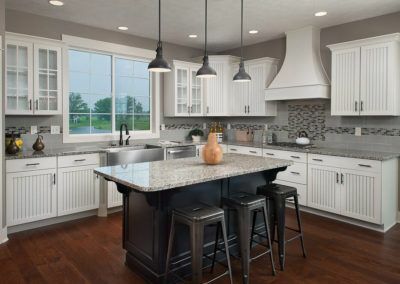 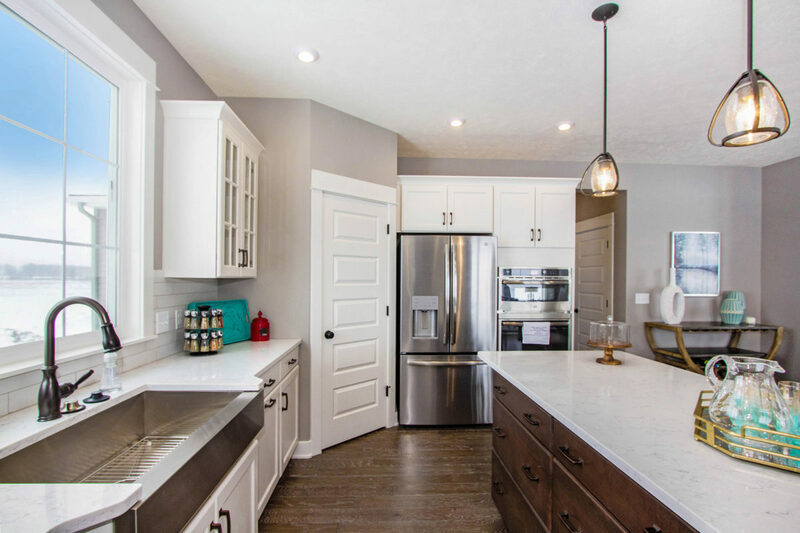 The kitchen has a large central island, plenty of counter and cupboard space, and a generous walk-in pantry. 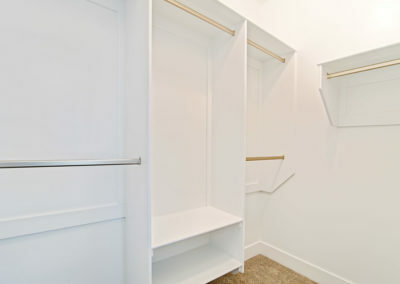 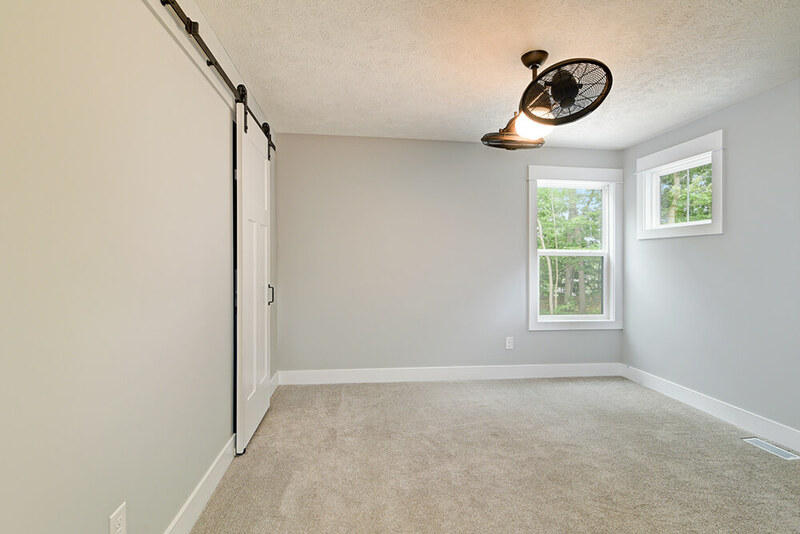 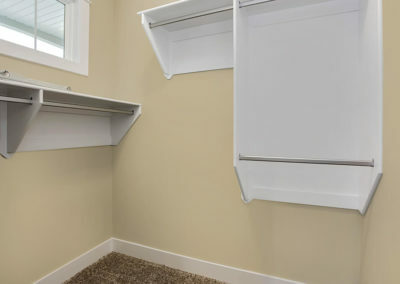 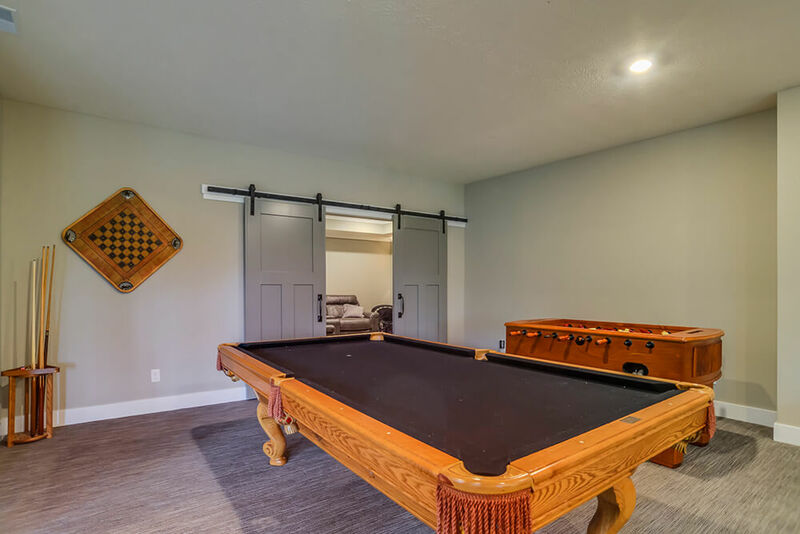 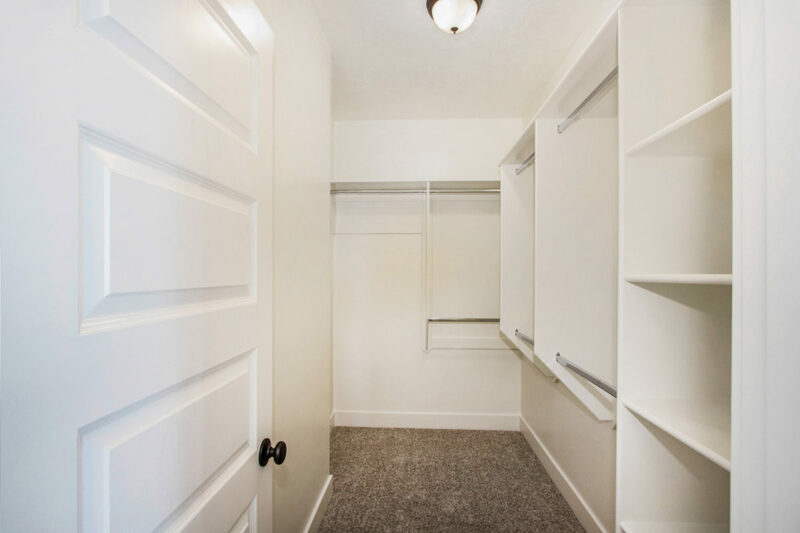 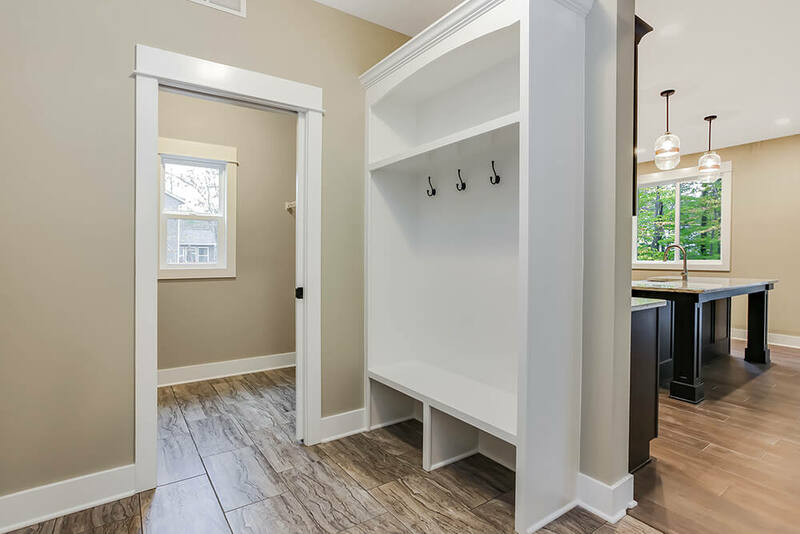 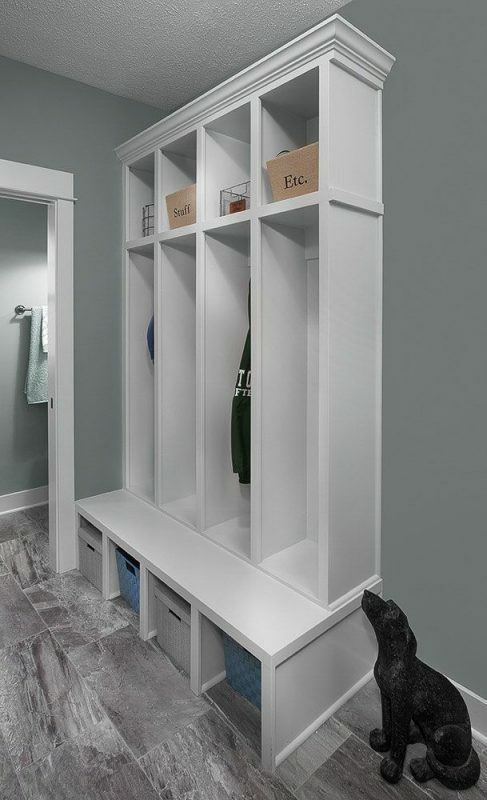 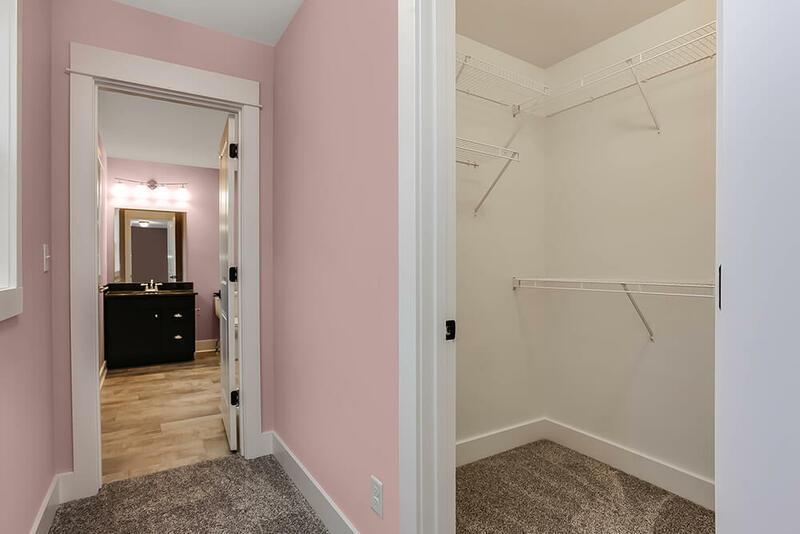 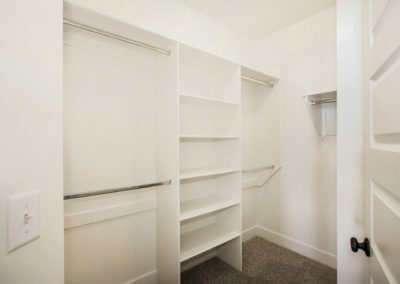 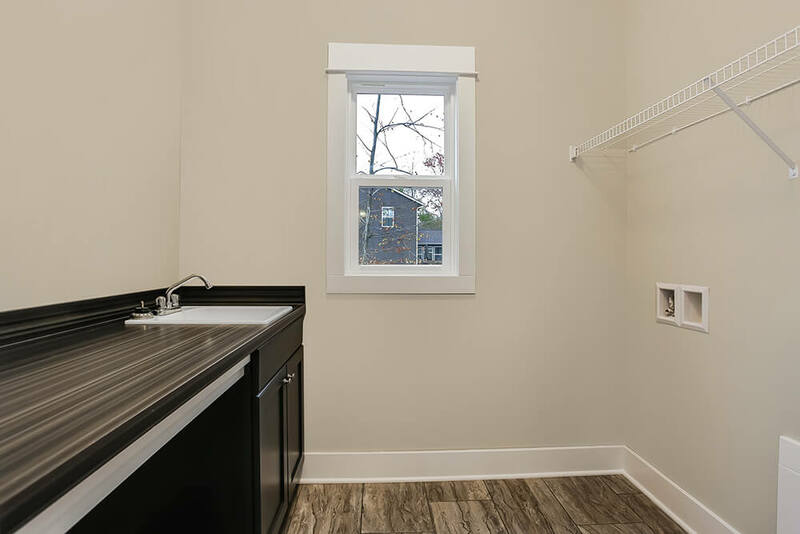 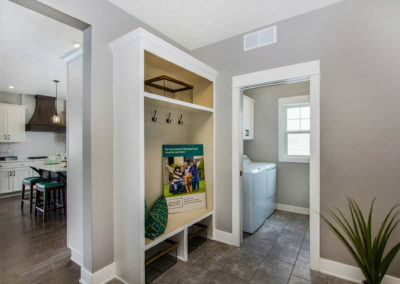 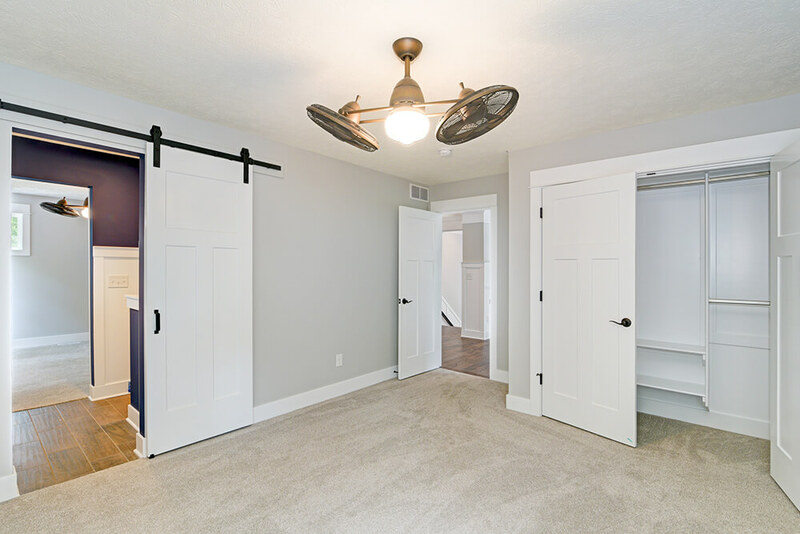 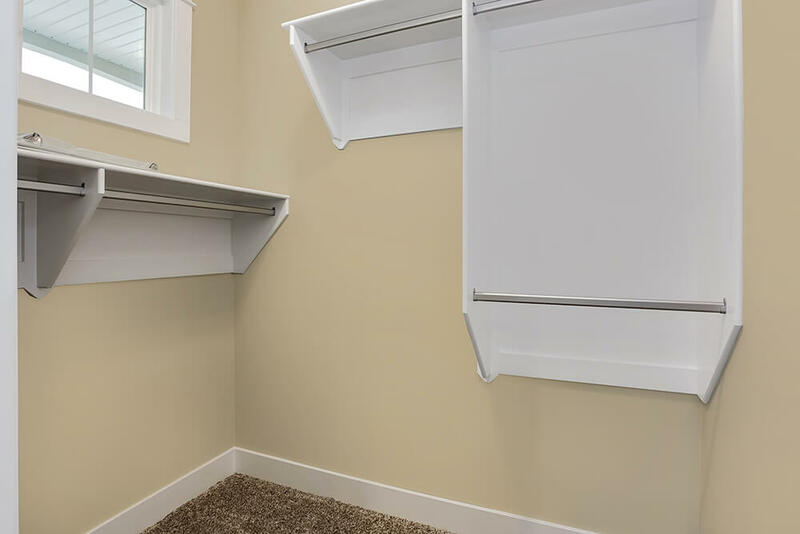 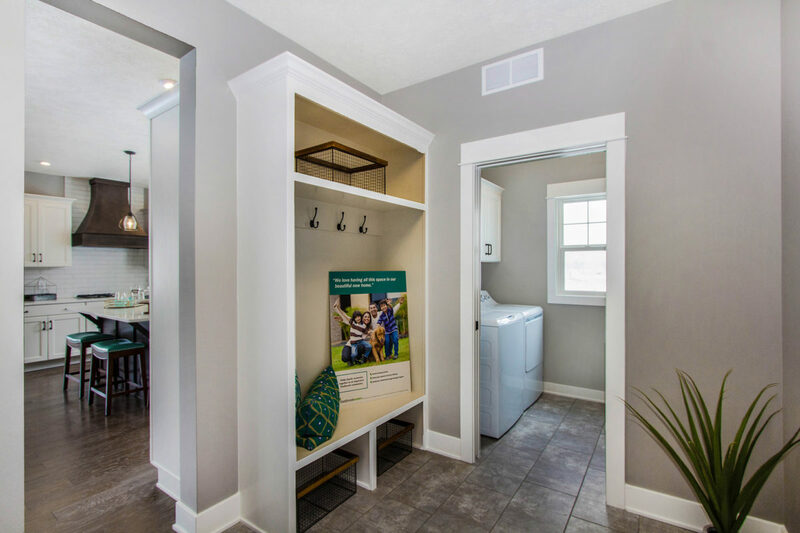 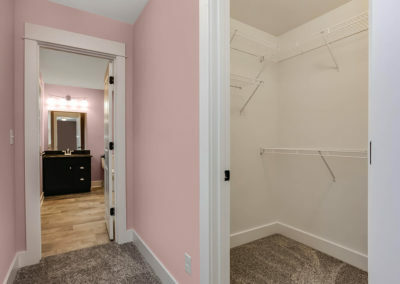 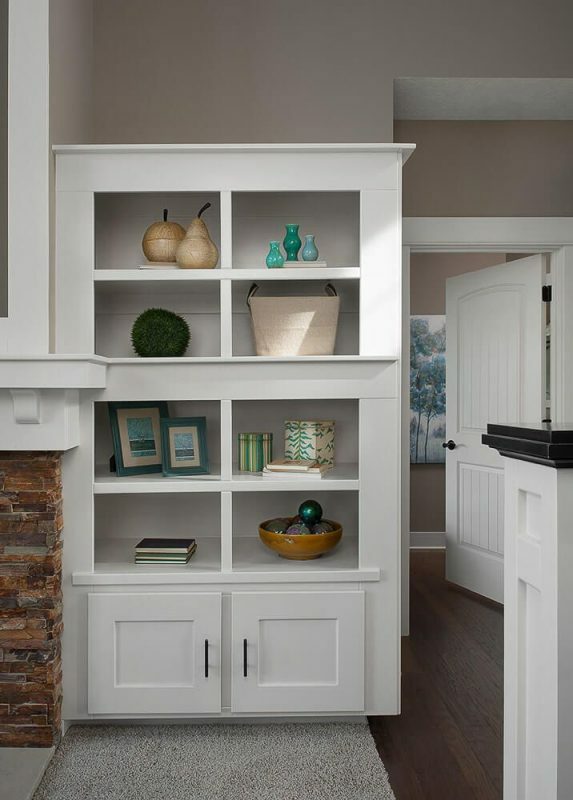 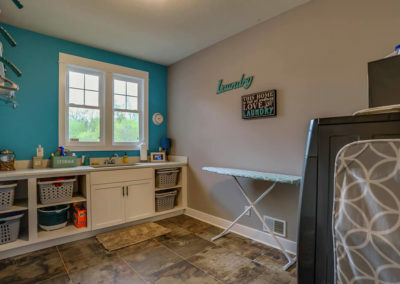 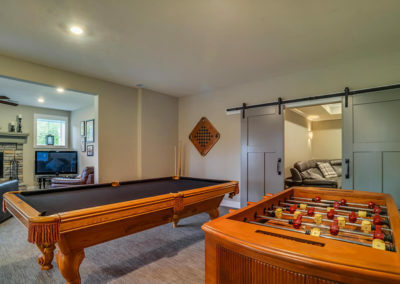 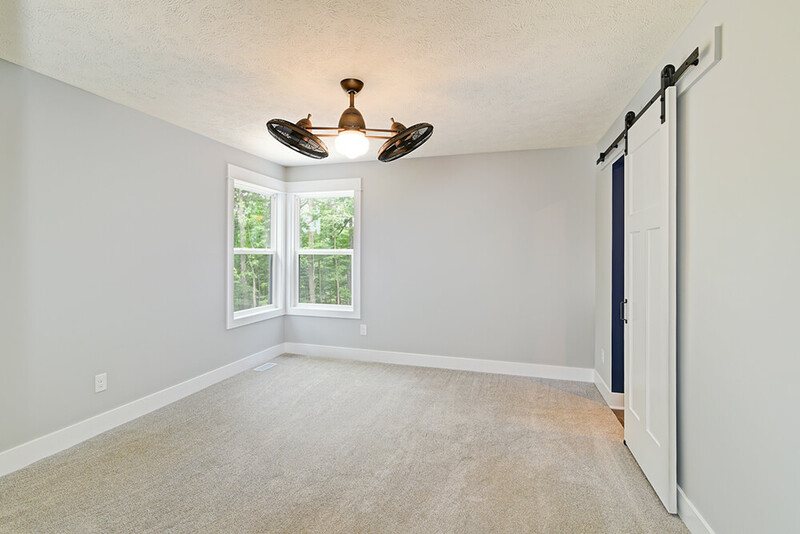 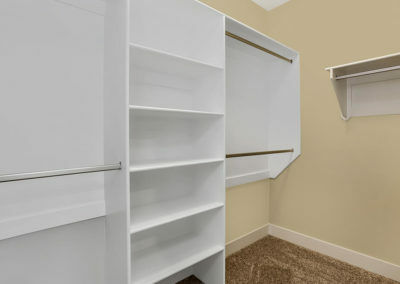 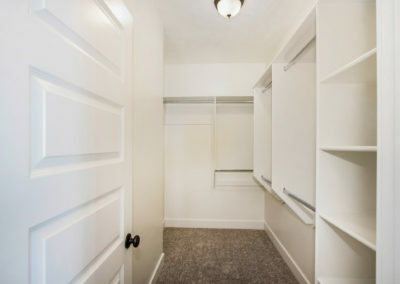 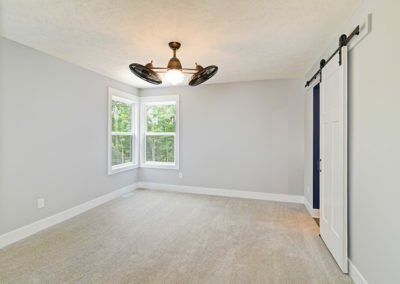 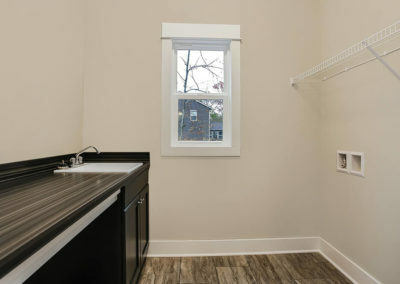 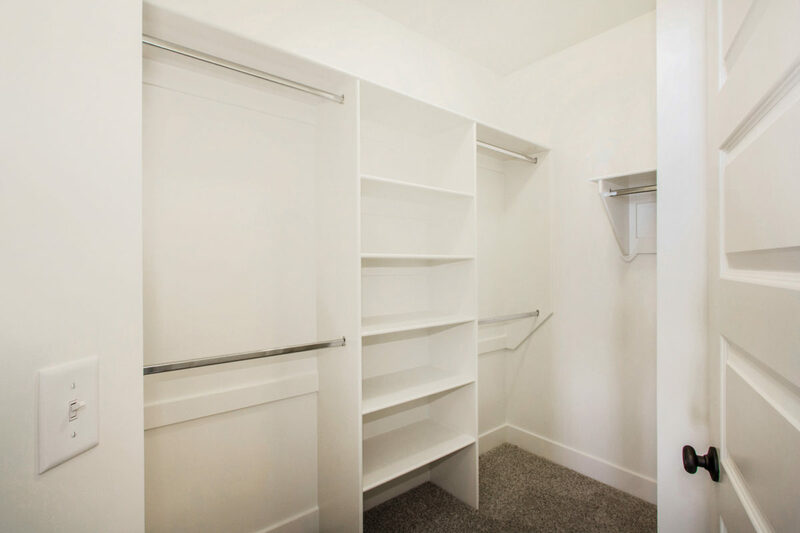 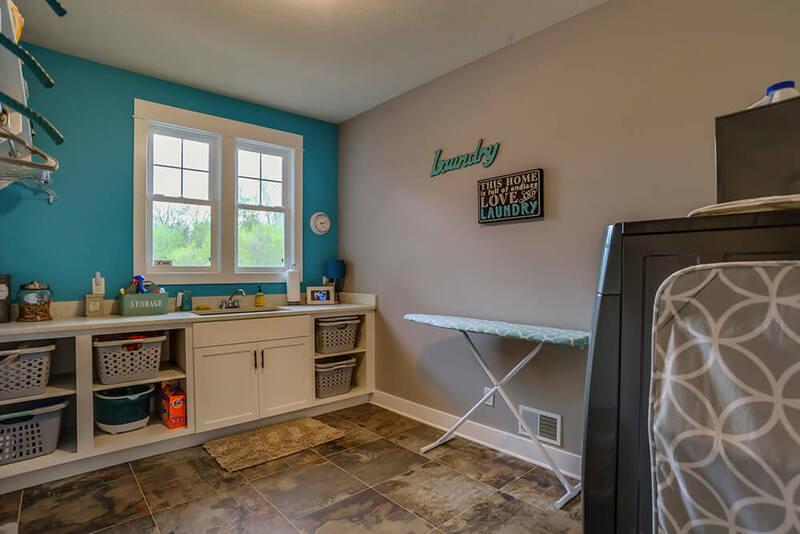 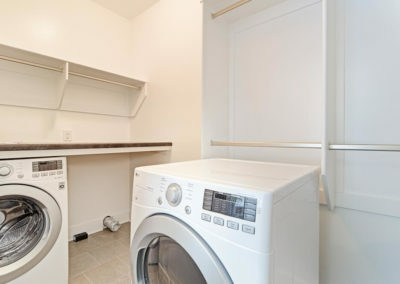 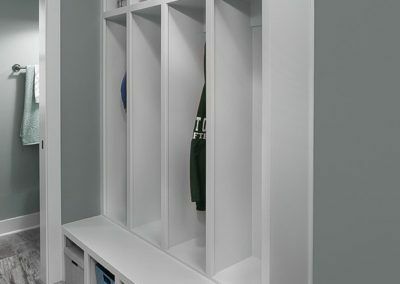 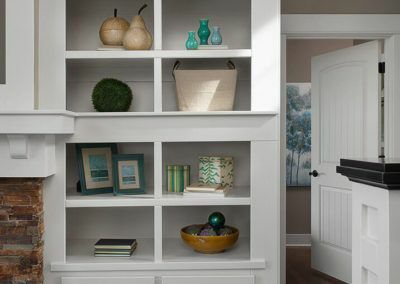 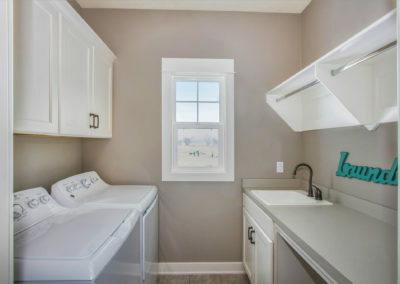 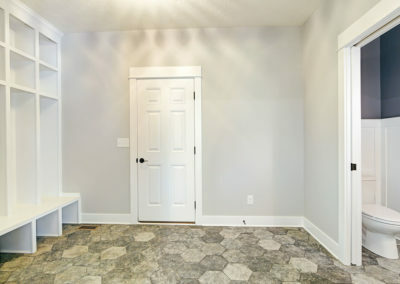 From the kitchen, the mudroom with optional lockers connects the main level laundry and half bath with the garage. 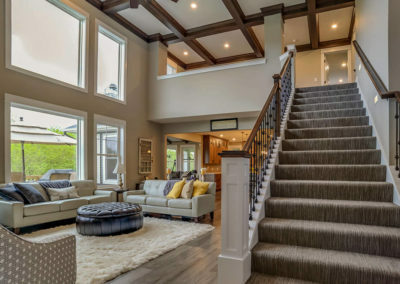 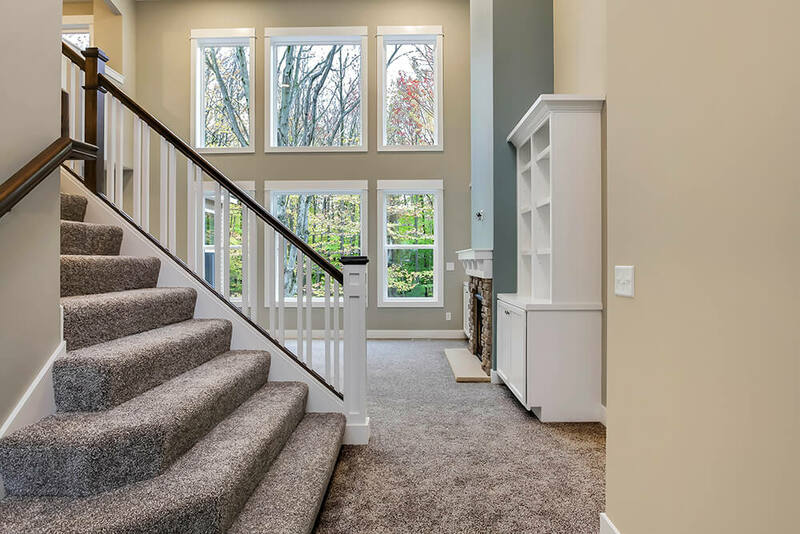 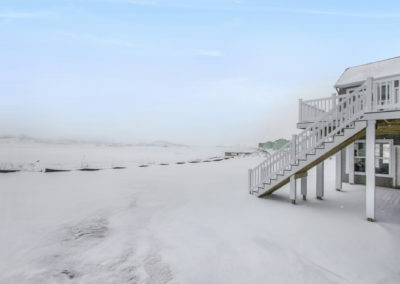 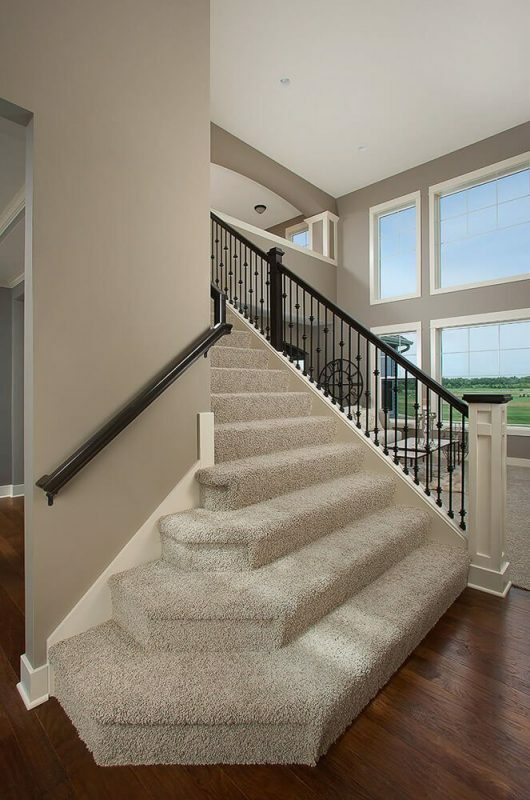 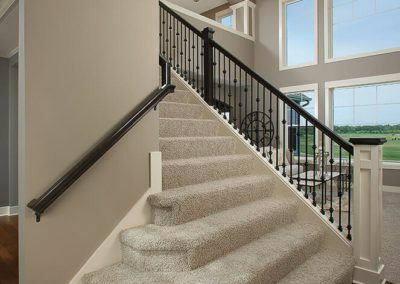 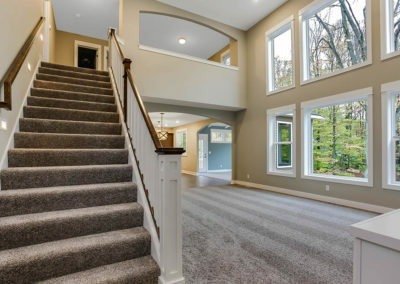 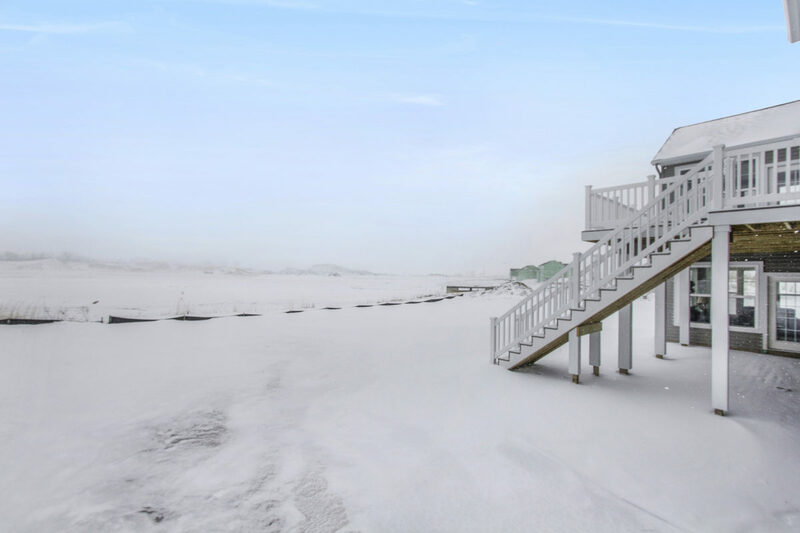 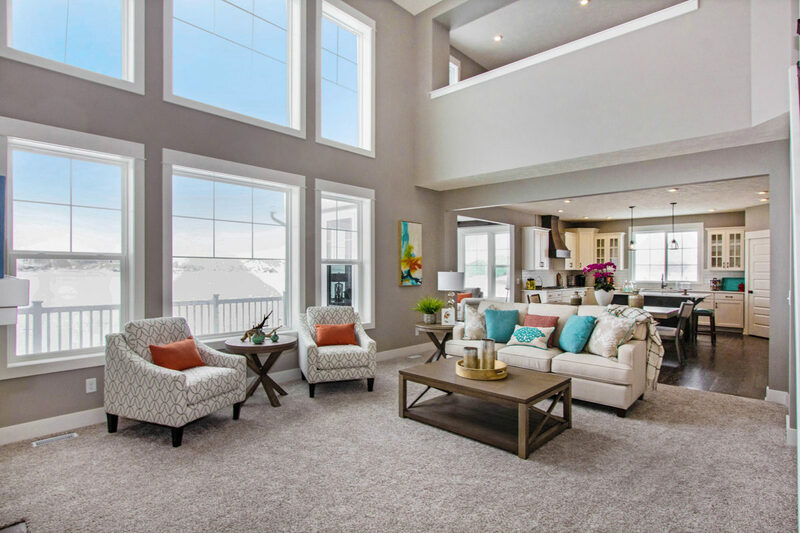 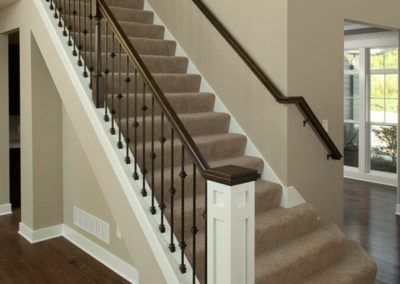 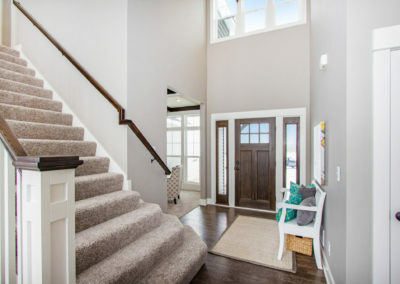 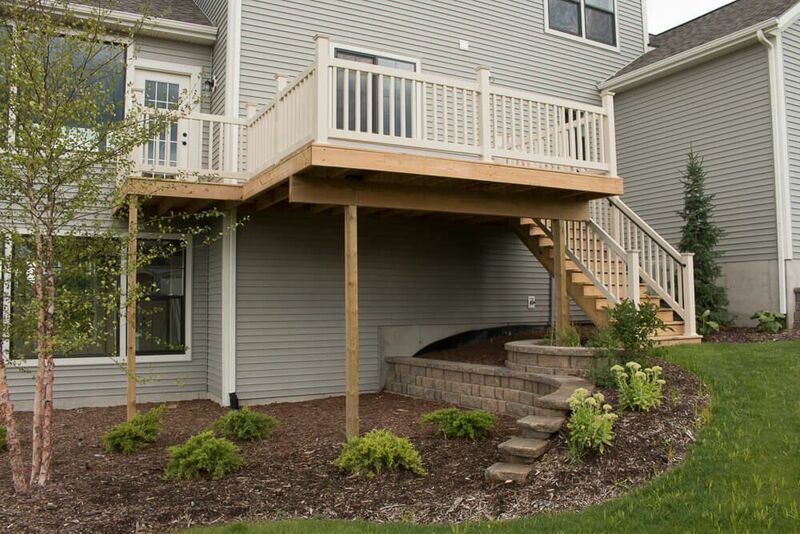 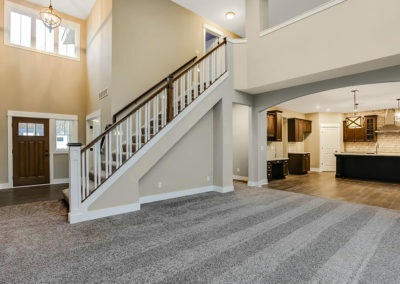 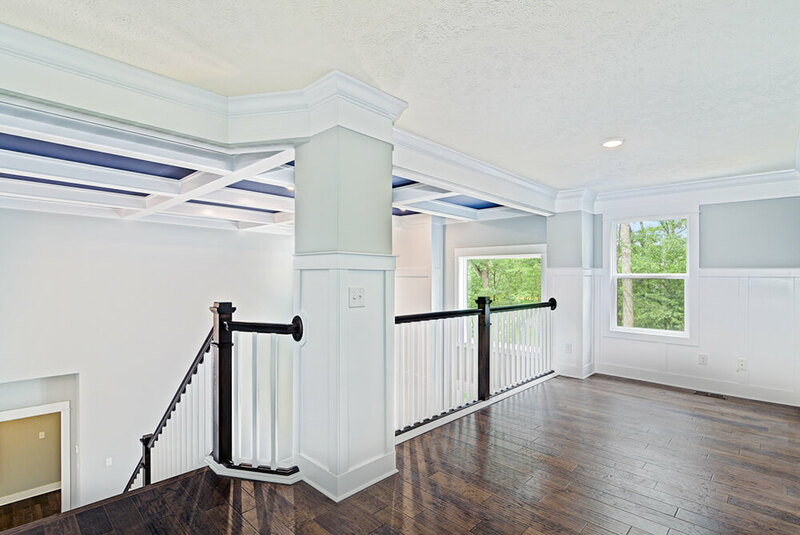 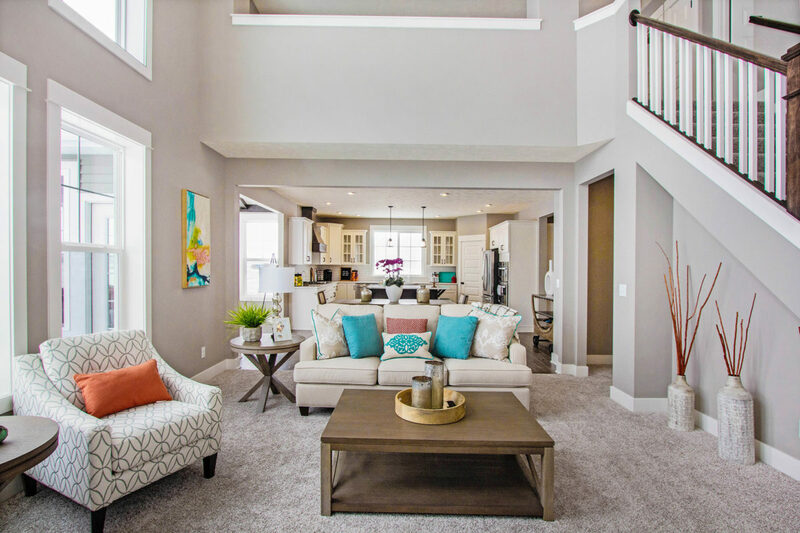 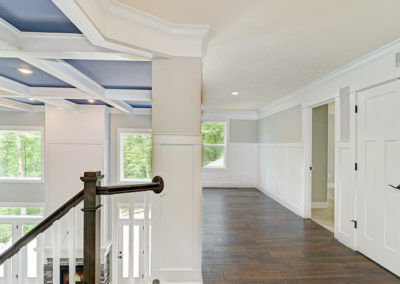 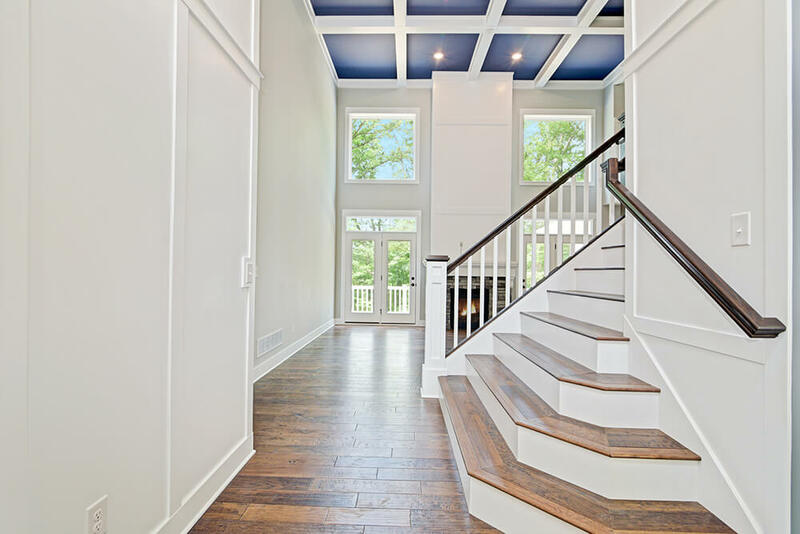 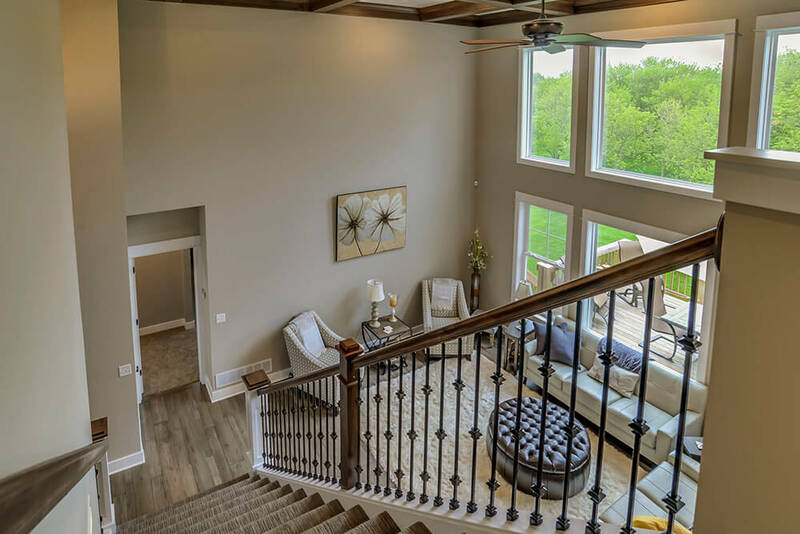 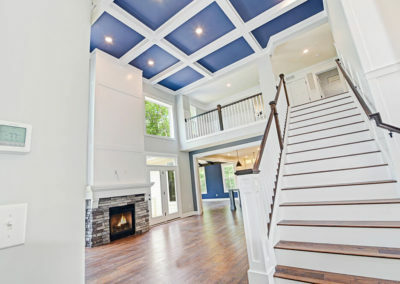 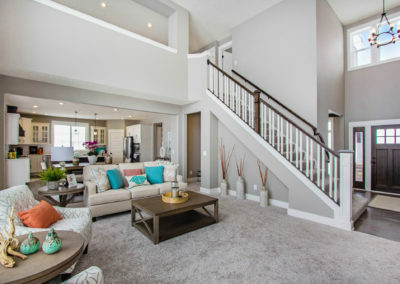 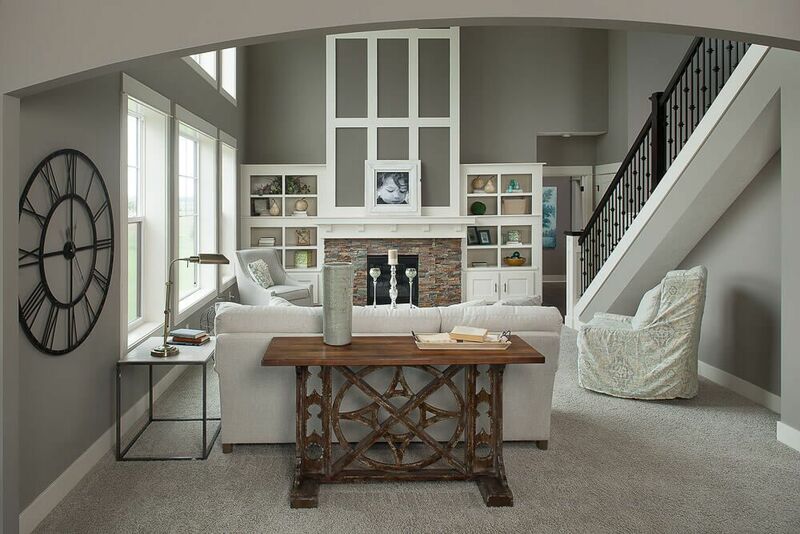 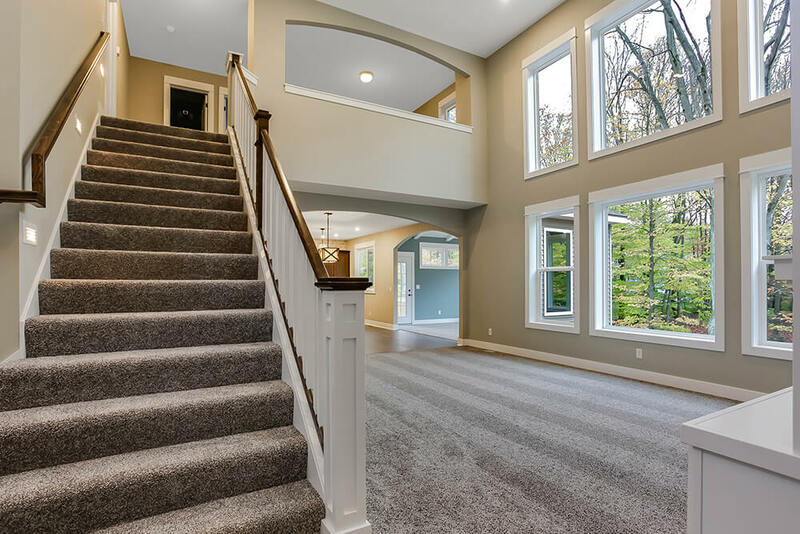 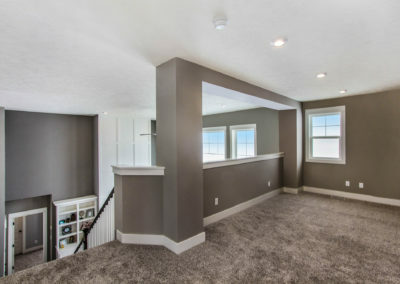 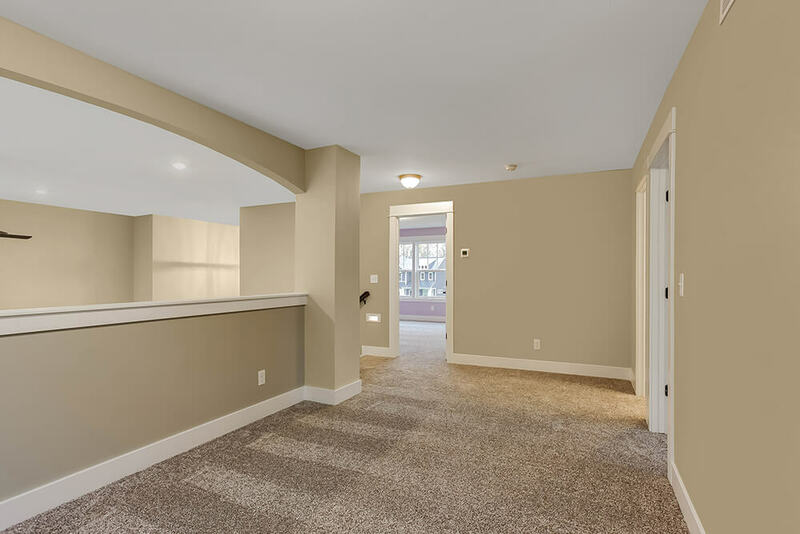 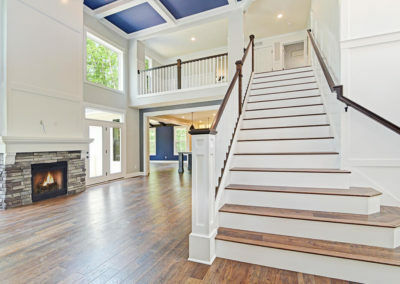 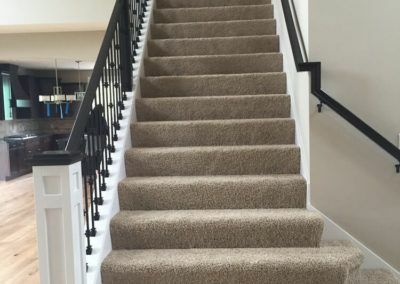 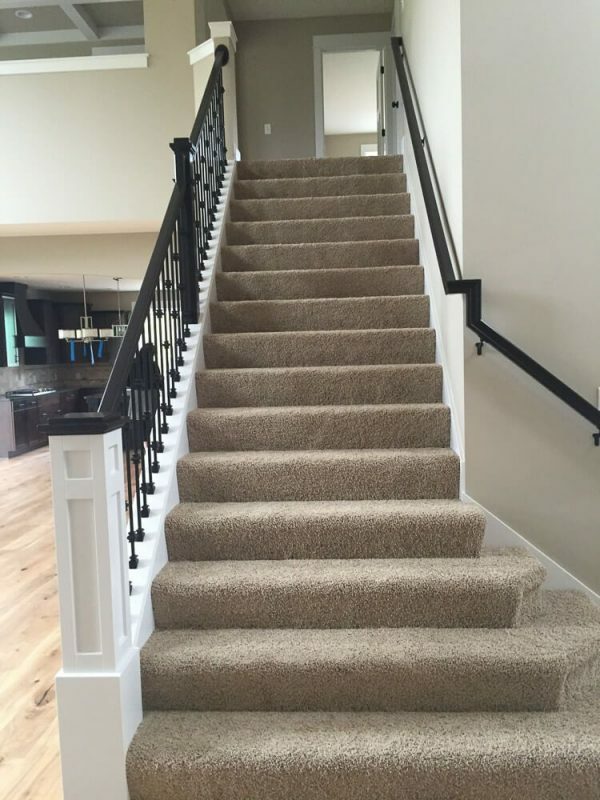 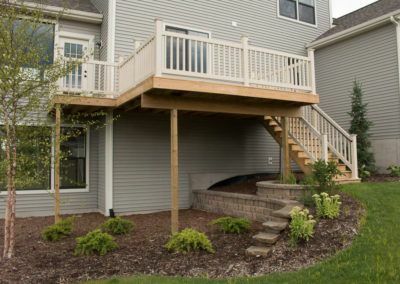 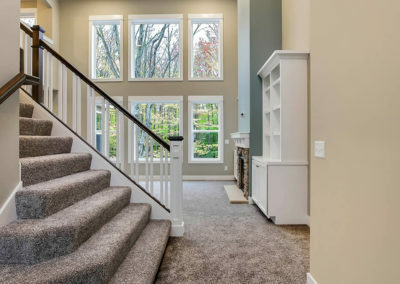 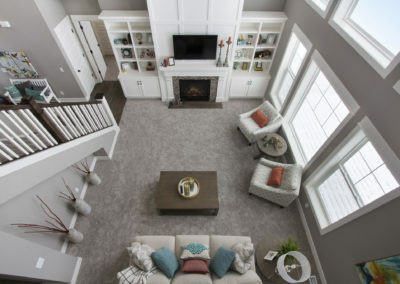 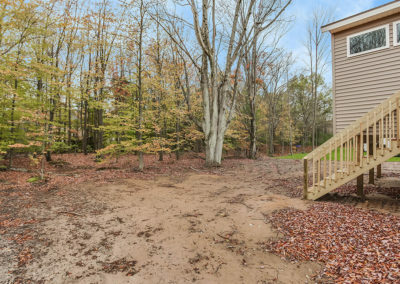 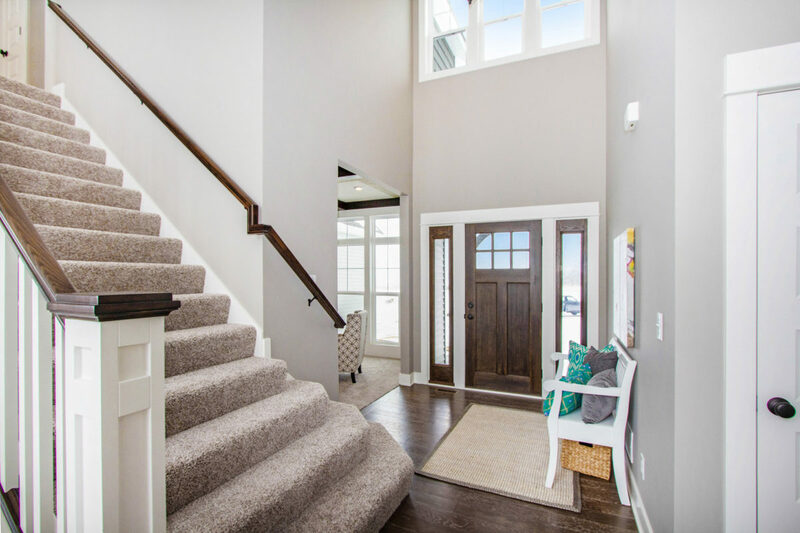 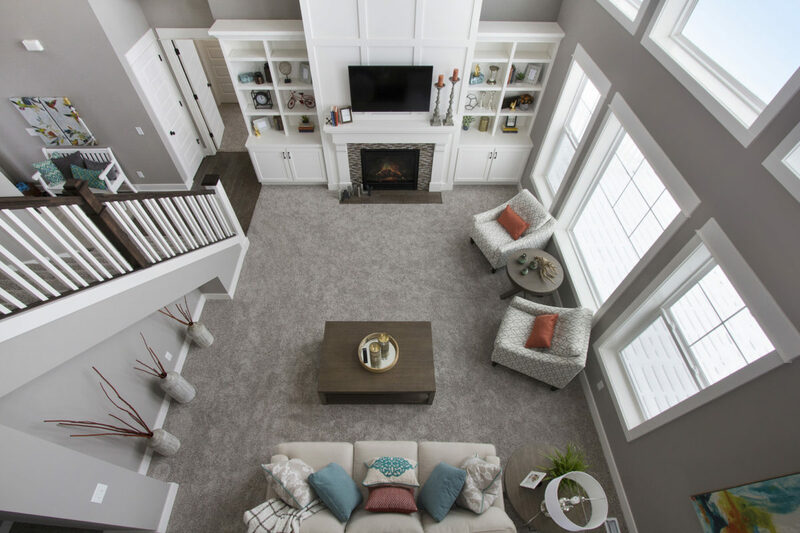 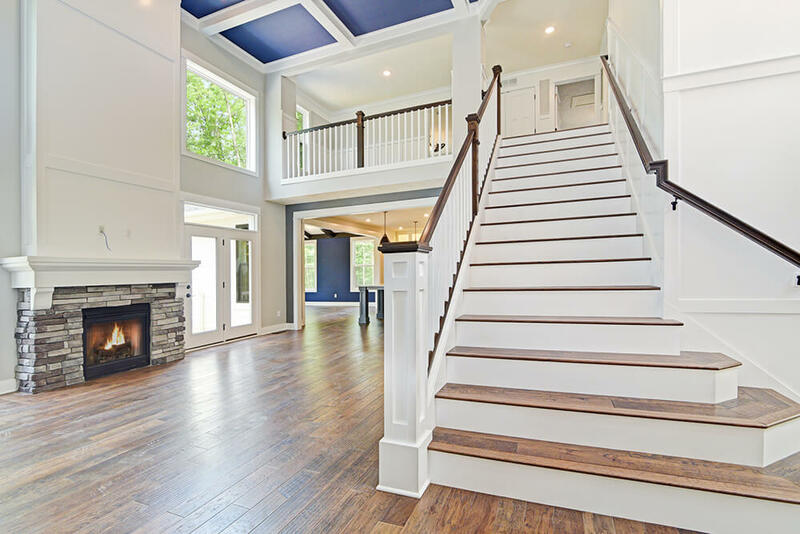 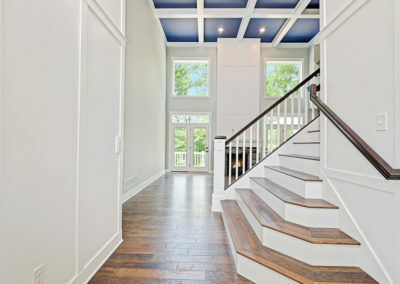 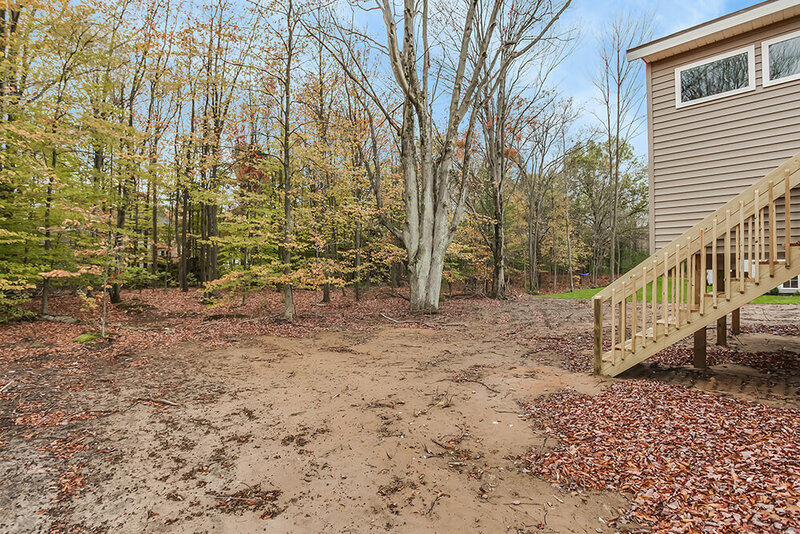 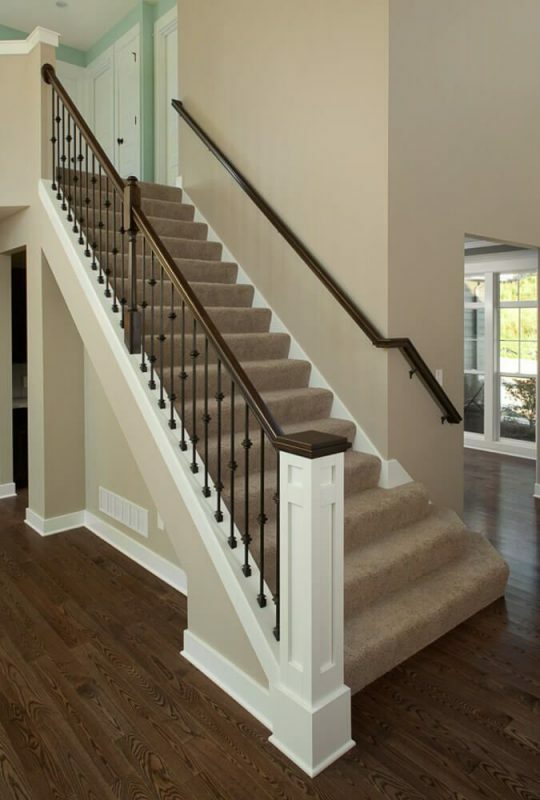 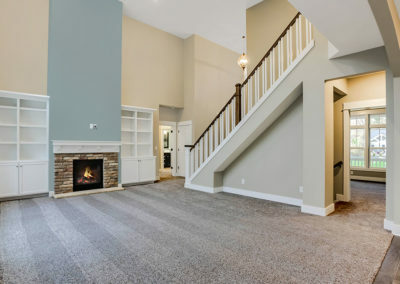 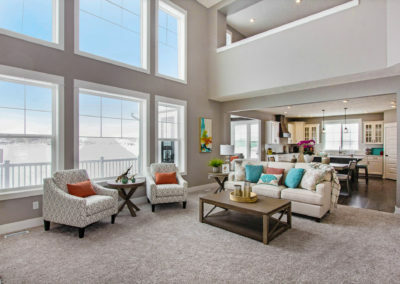 The upper level of your Birkshire home can be reach from the stairs in the front foyer. 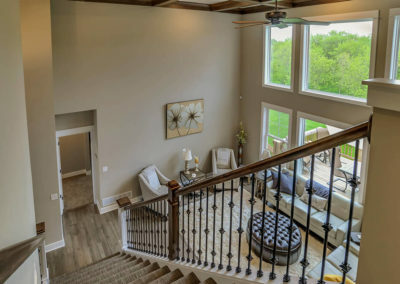 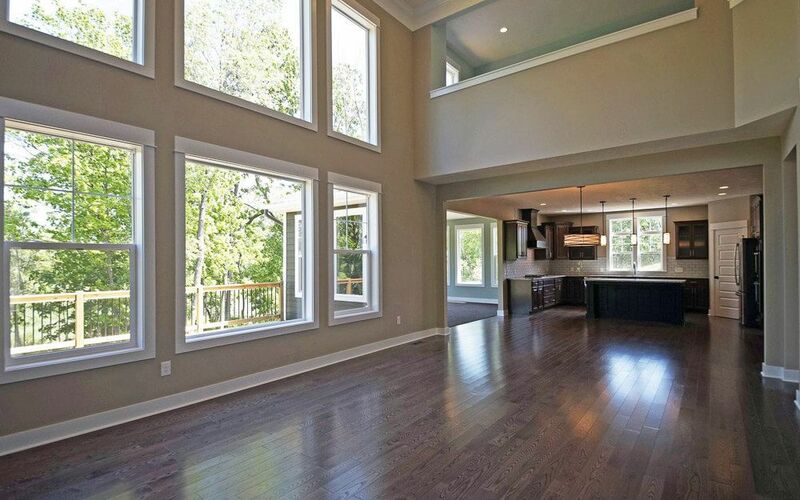 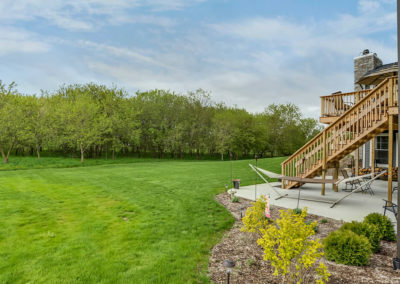 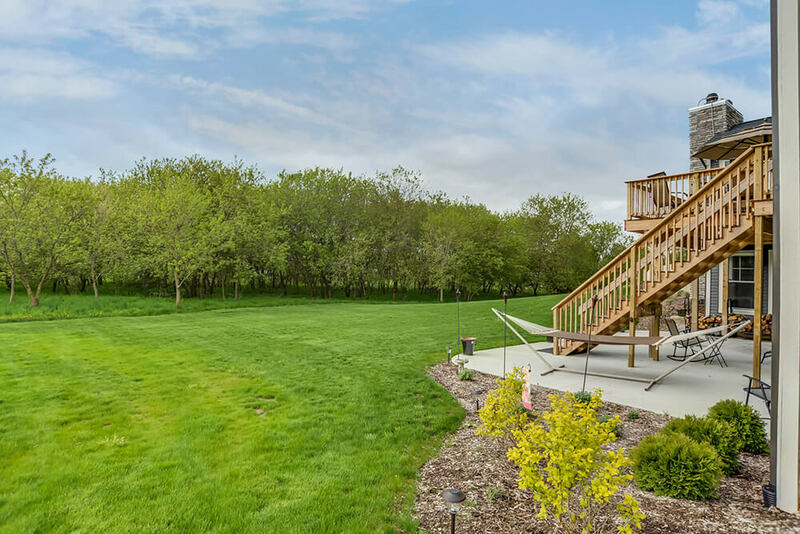 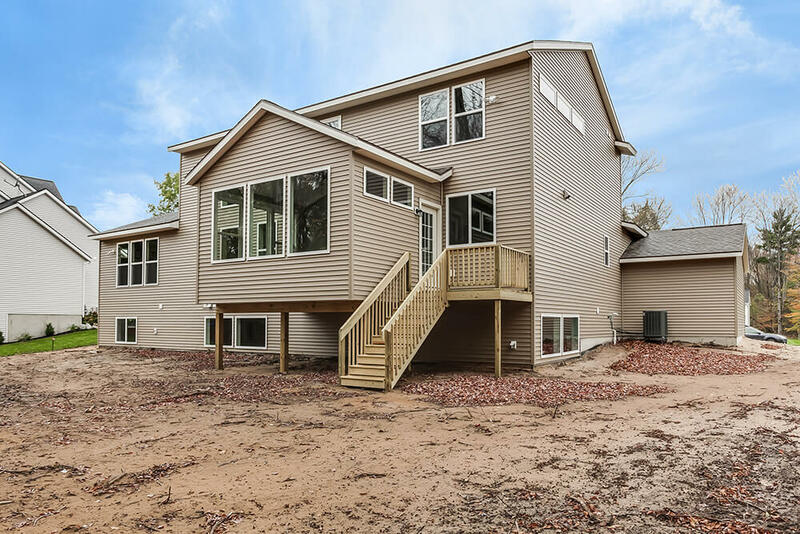 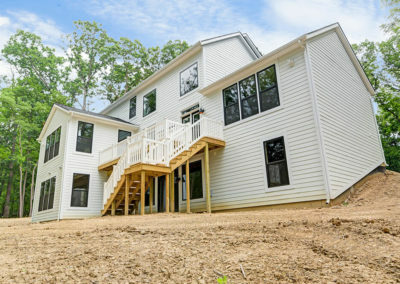 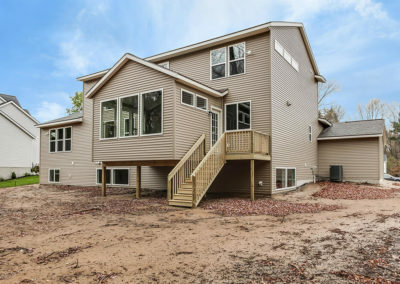 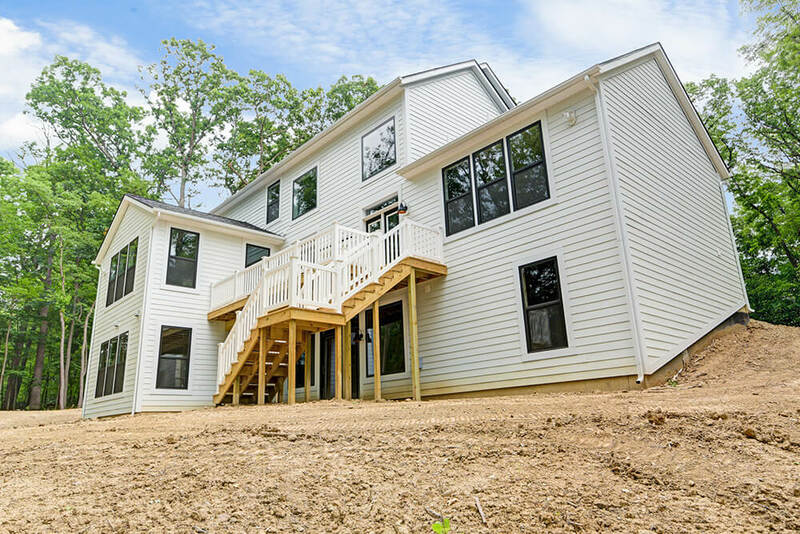 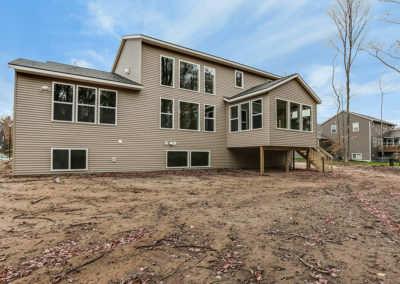 The upper level includes a loft space with a view over the great room, three bedrooms with closet space, and a full bathroom with optional double sink. 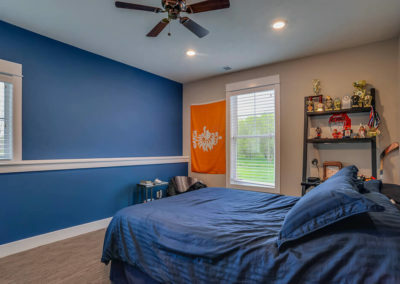 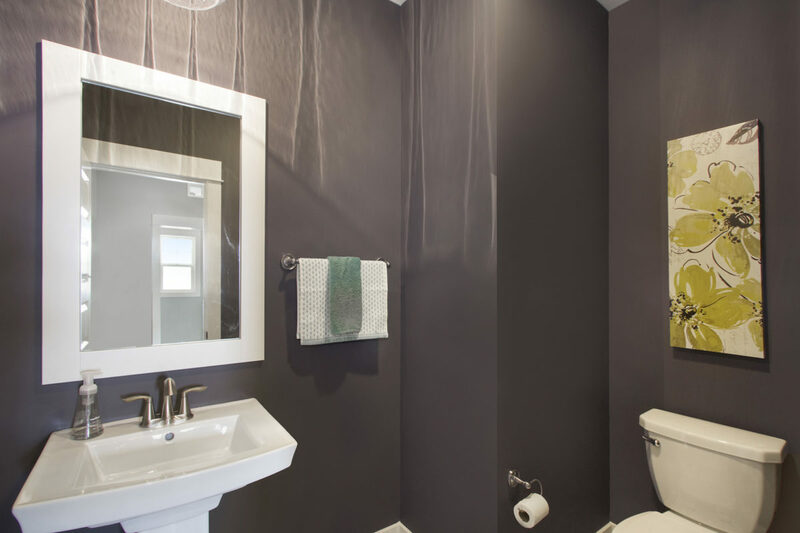 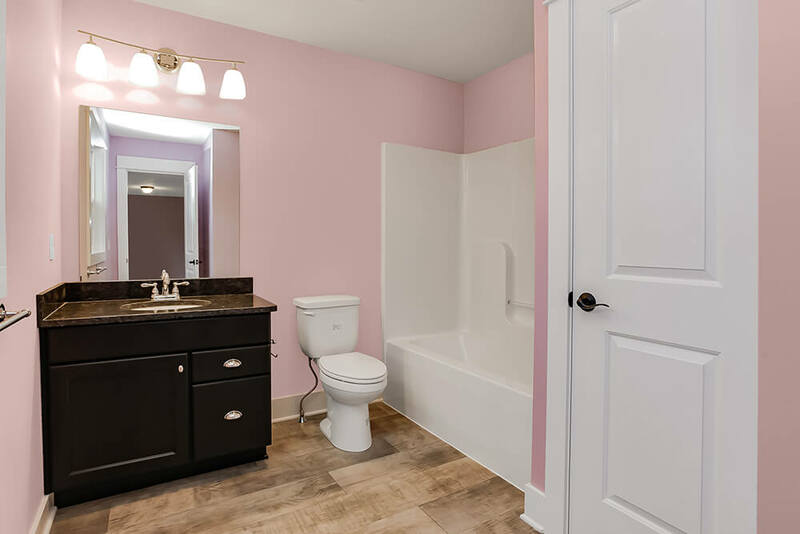 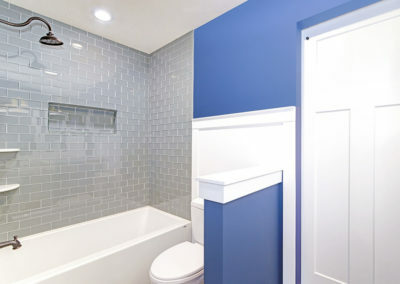 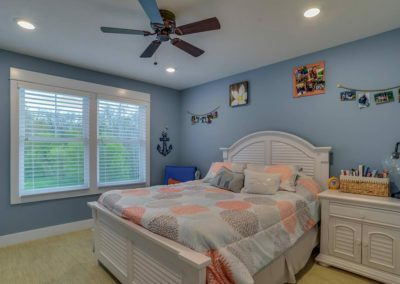 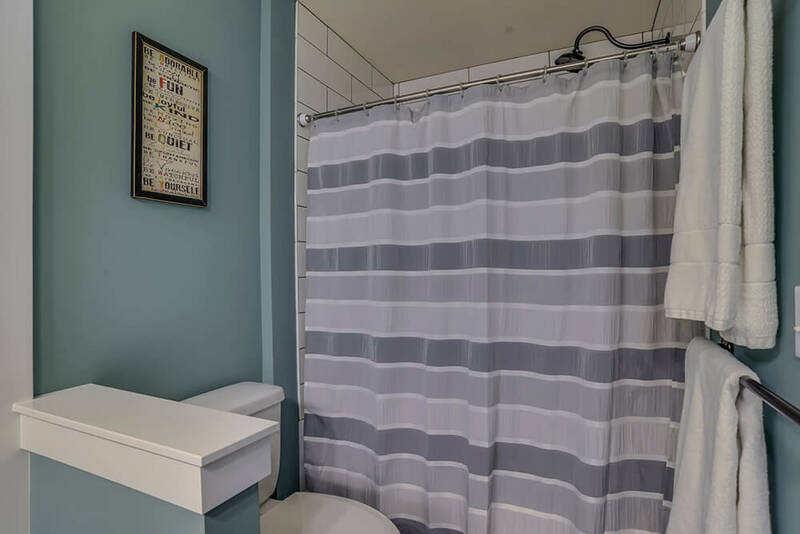 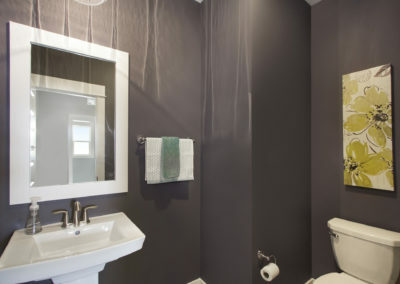 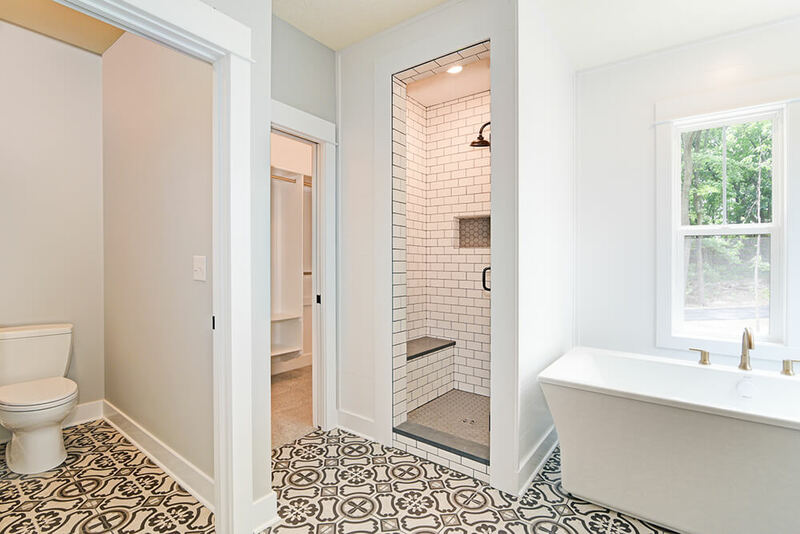 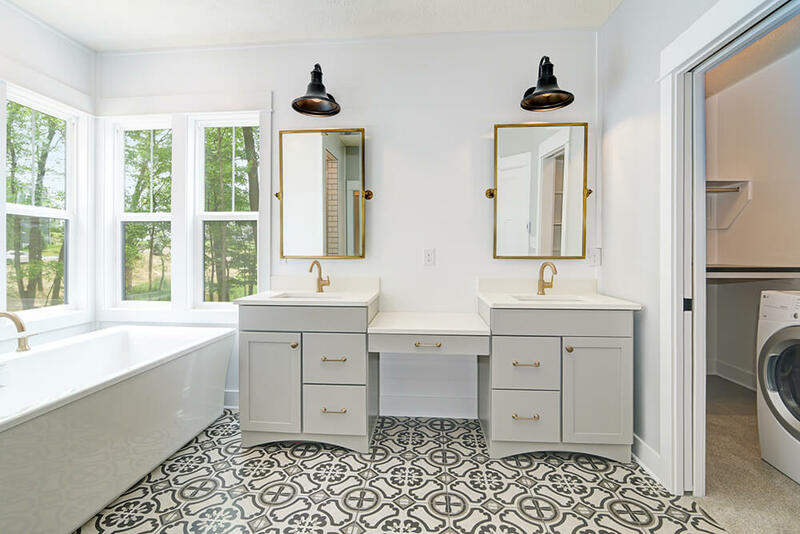 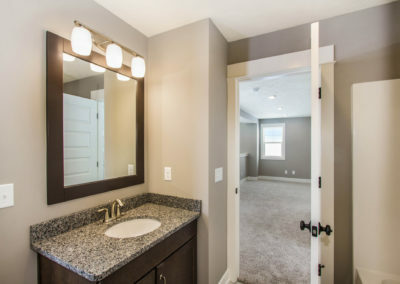 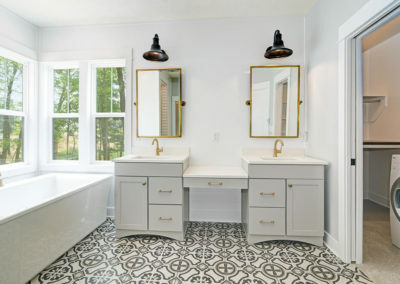 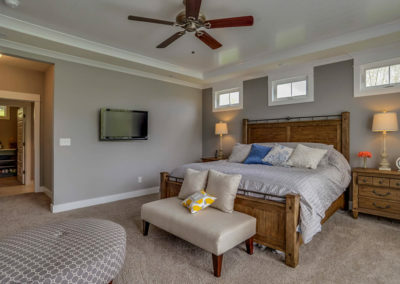 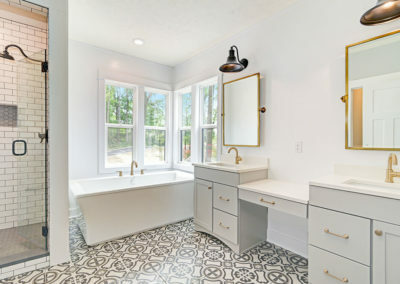 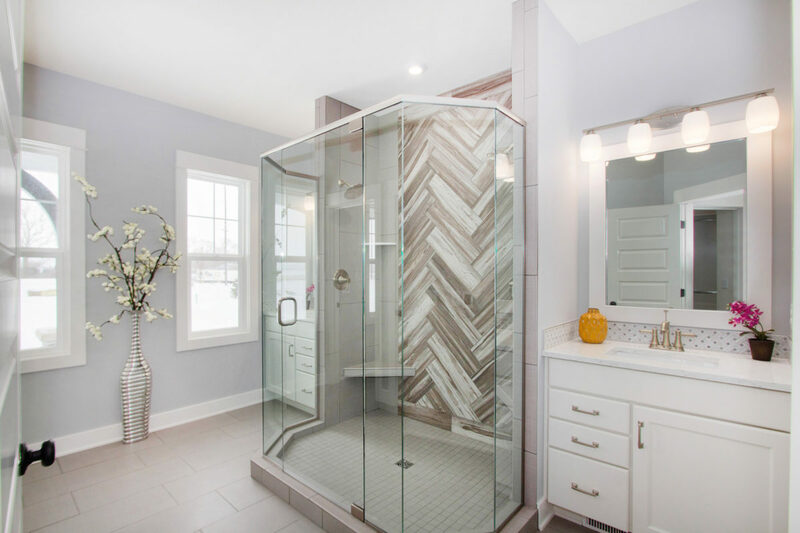 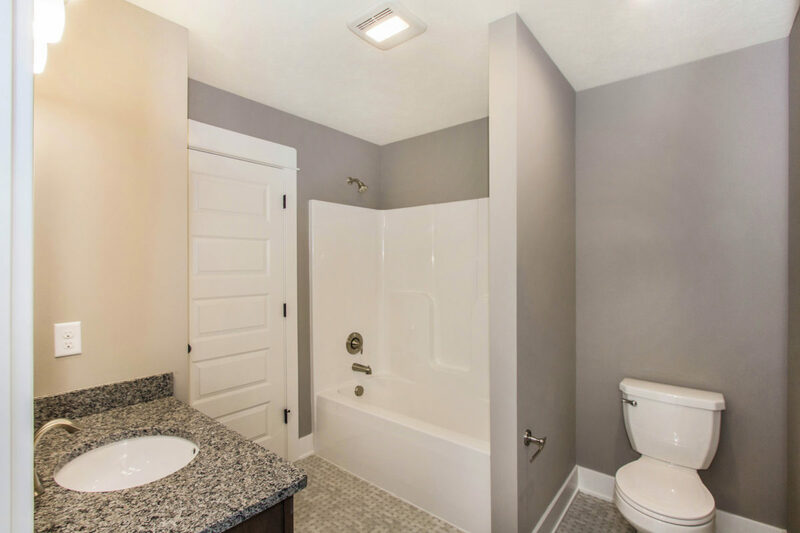 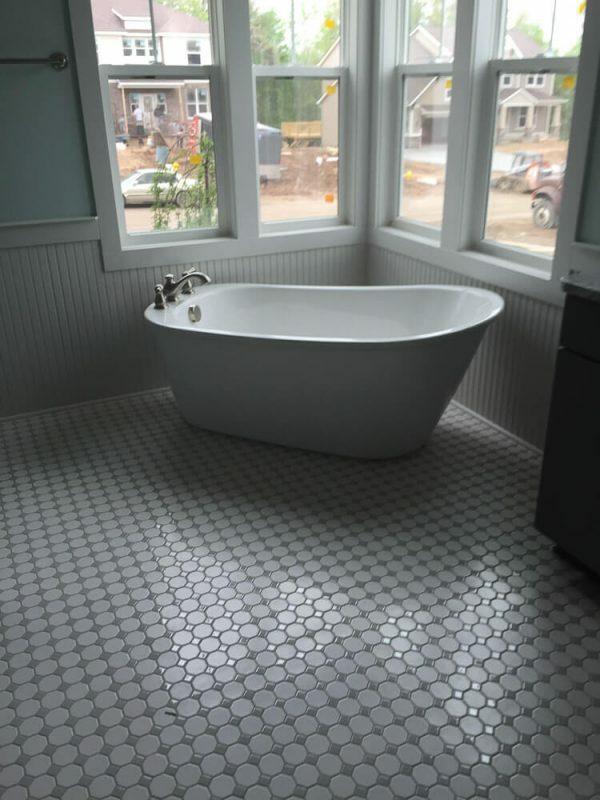 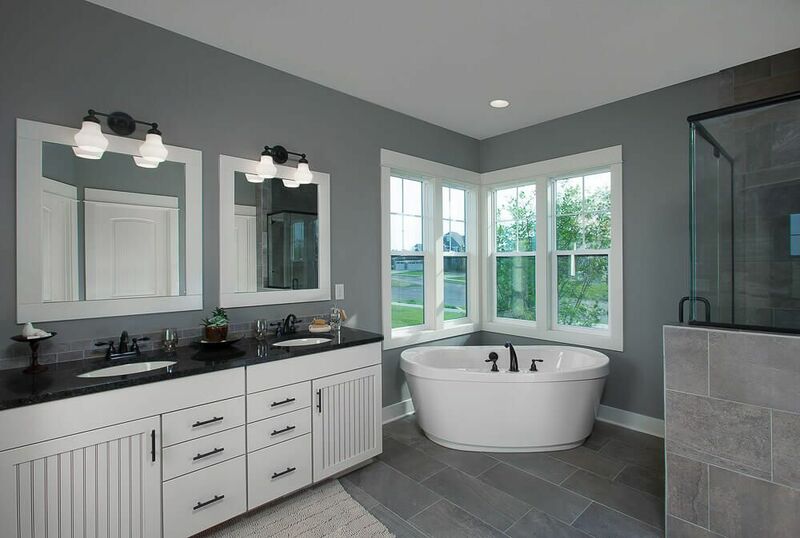 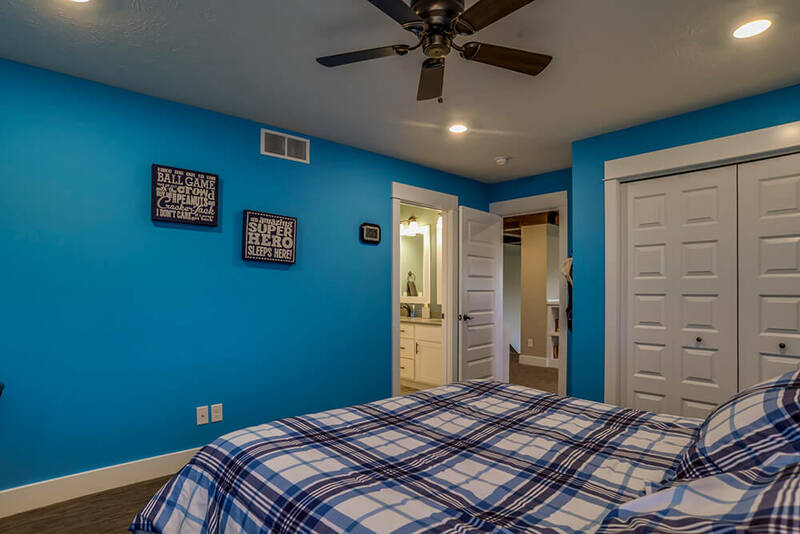 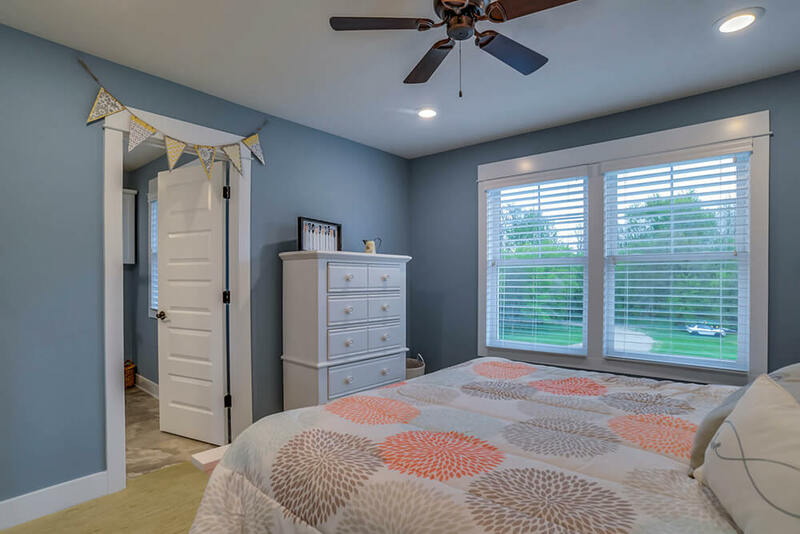 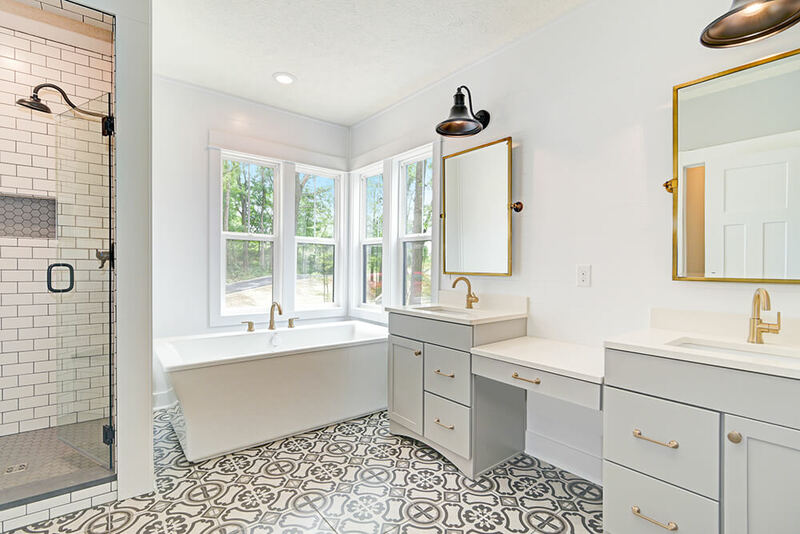 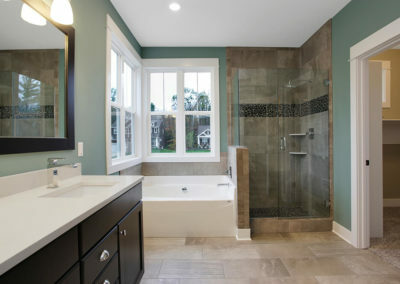 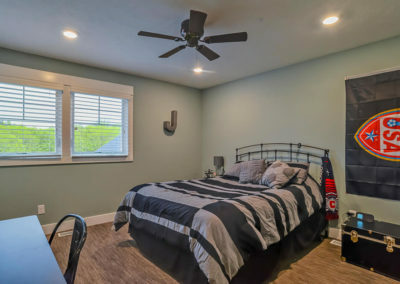 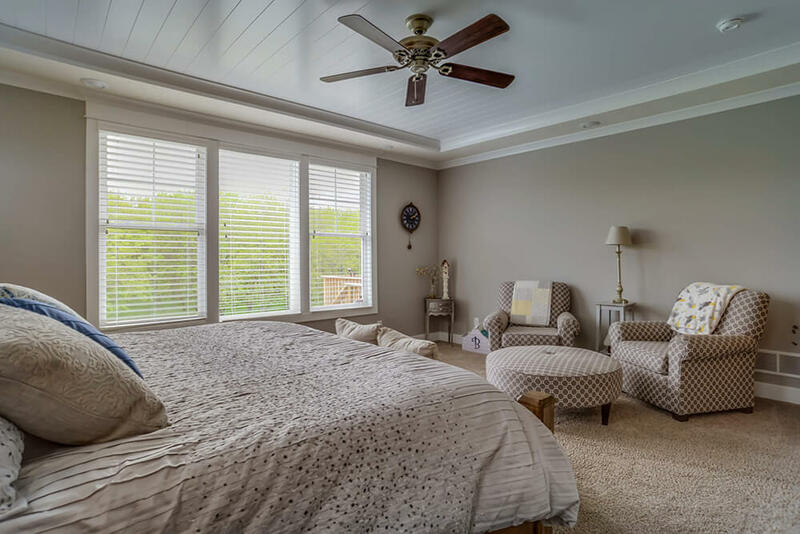 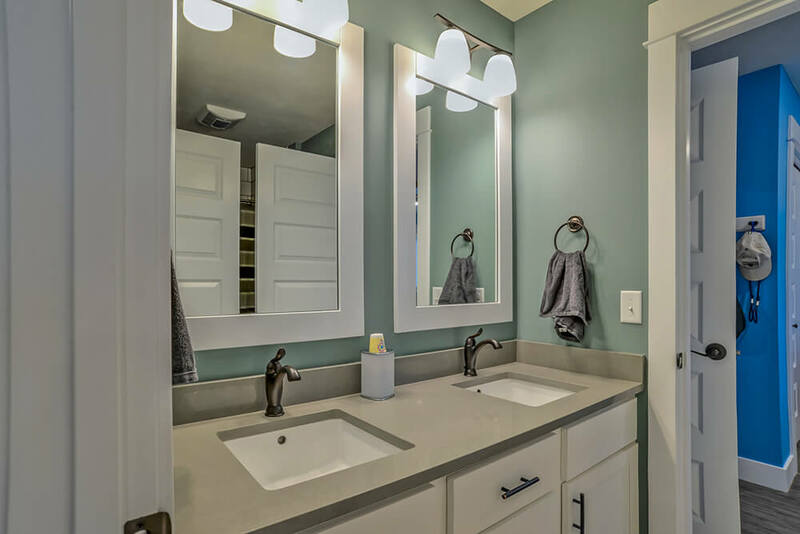 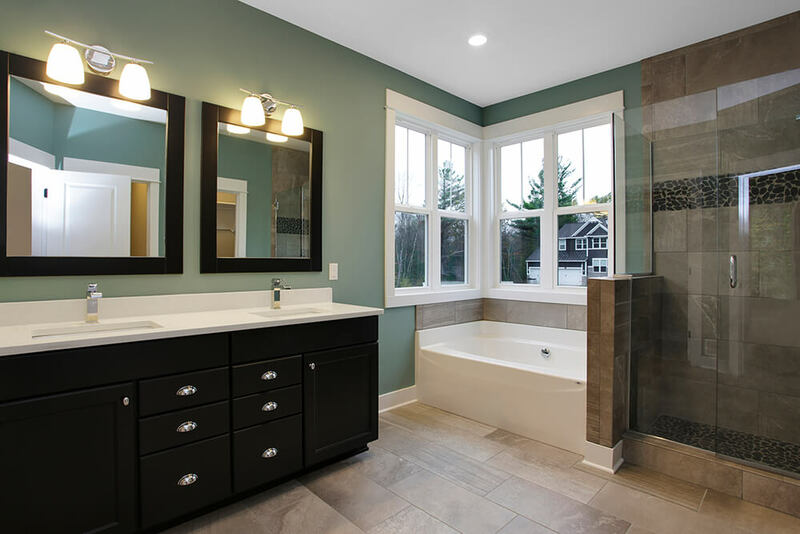 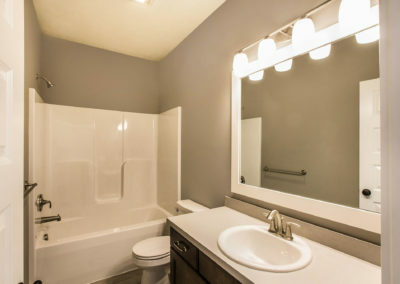 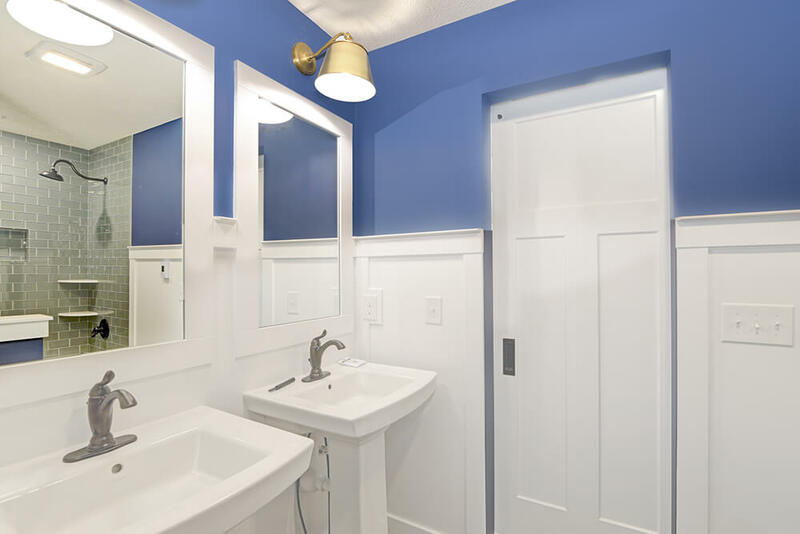 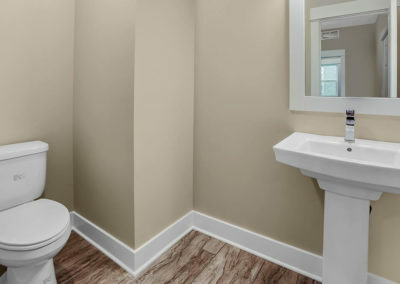 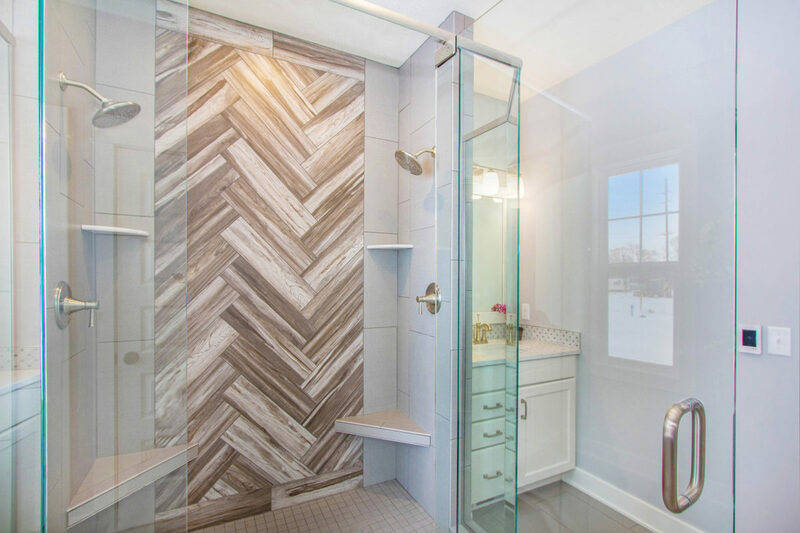 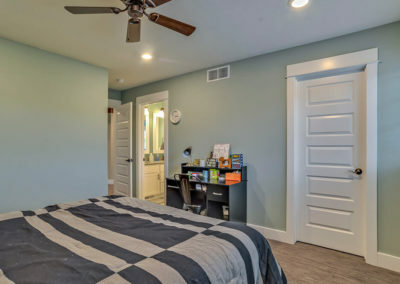 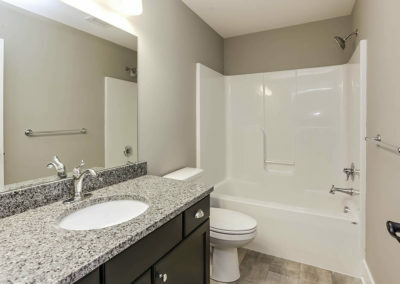 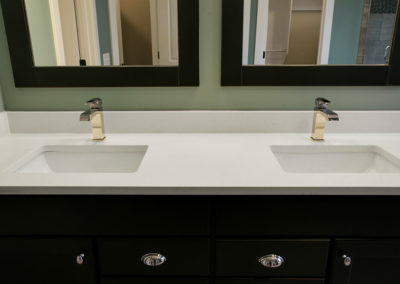 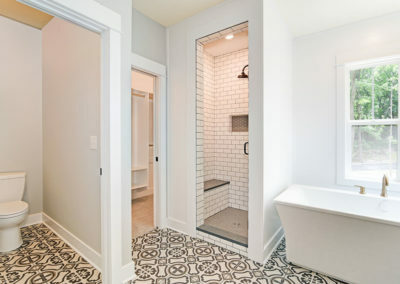 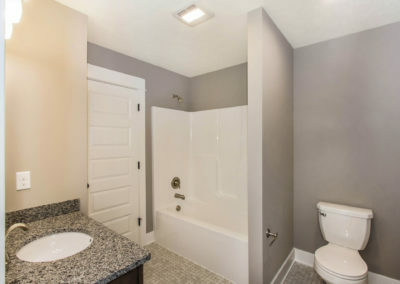 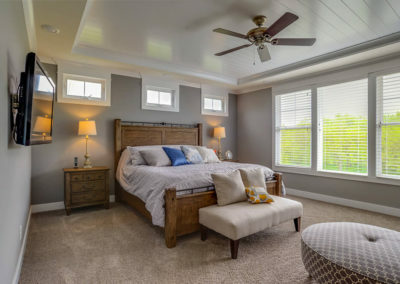 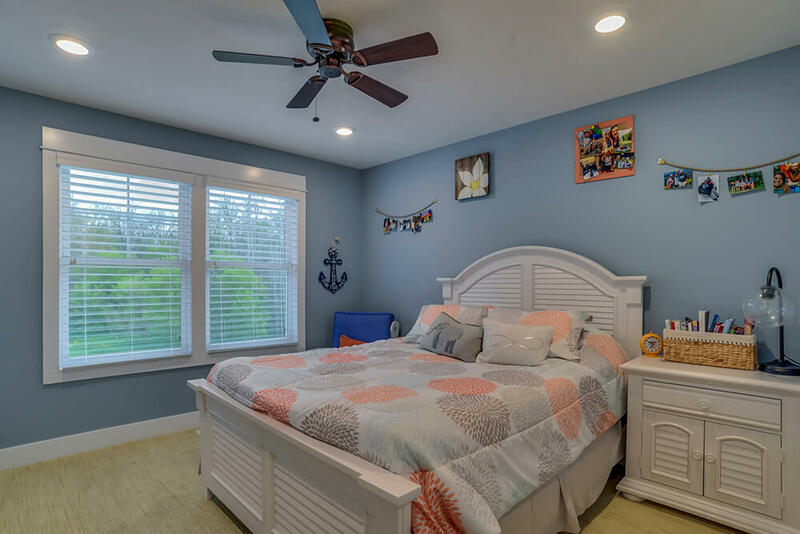 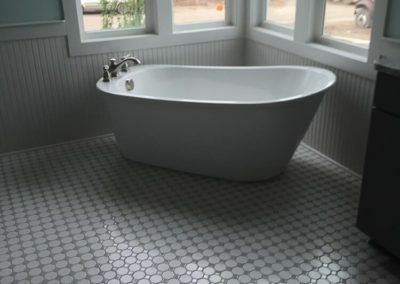 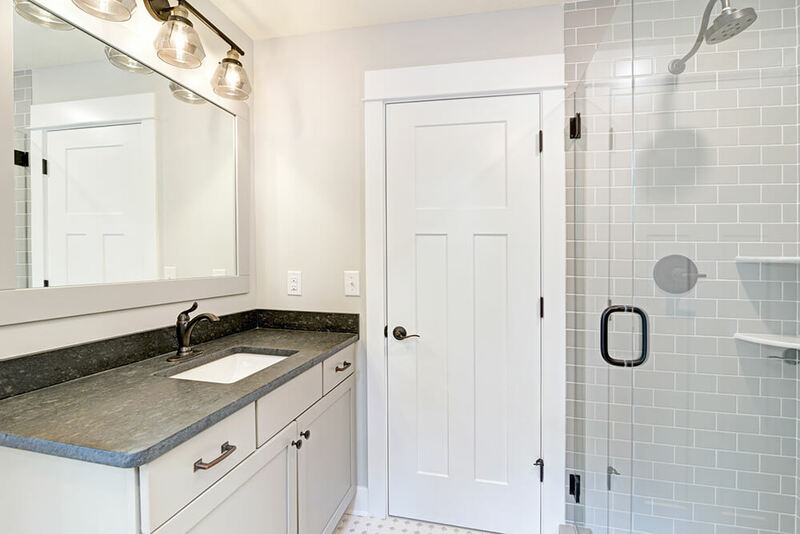 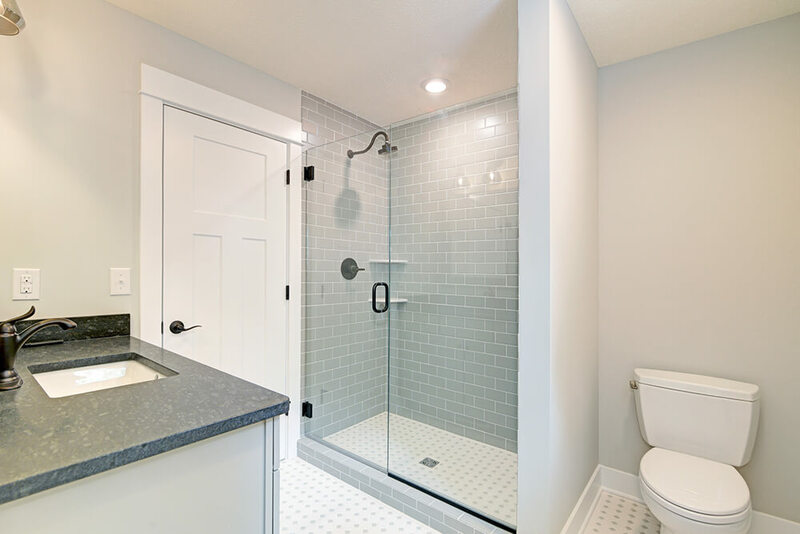 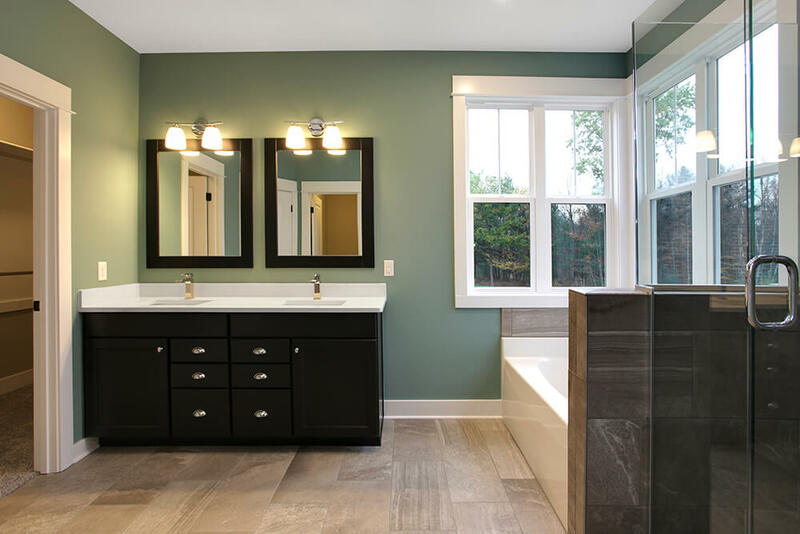 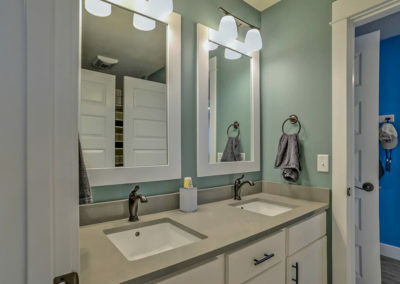 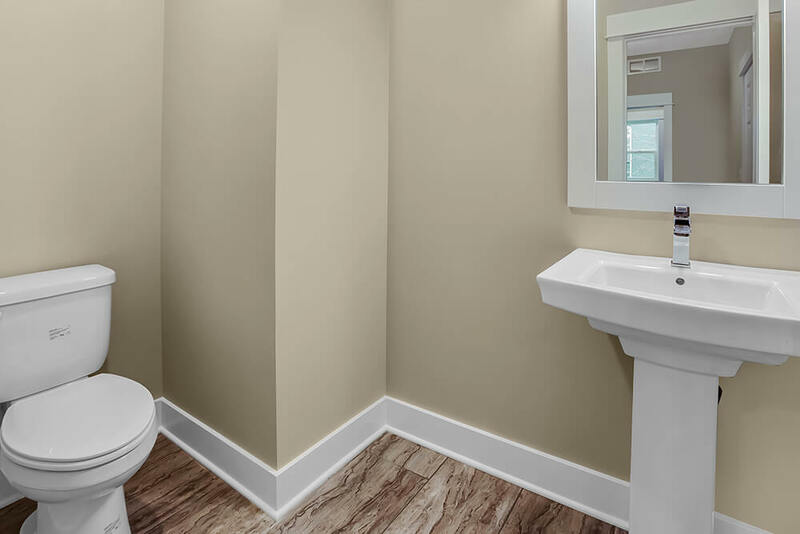 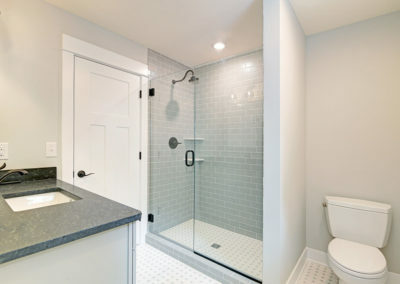 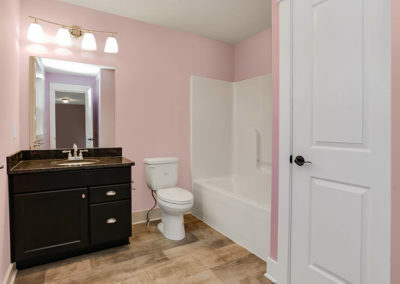 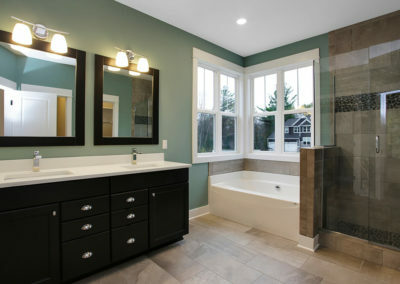 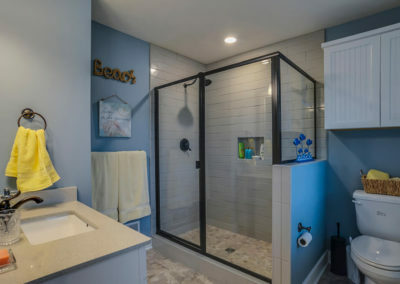 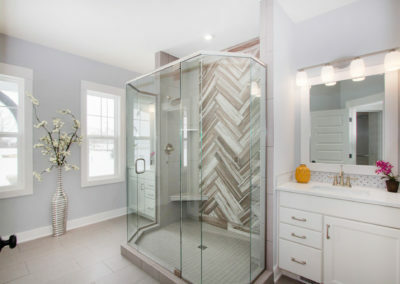 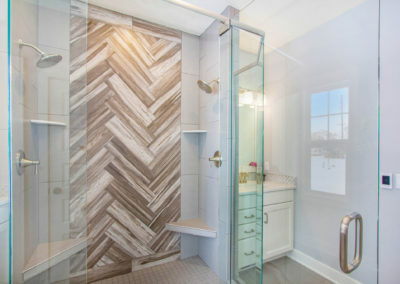 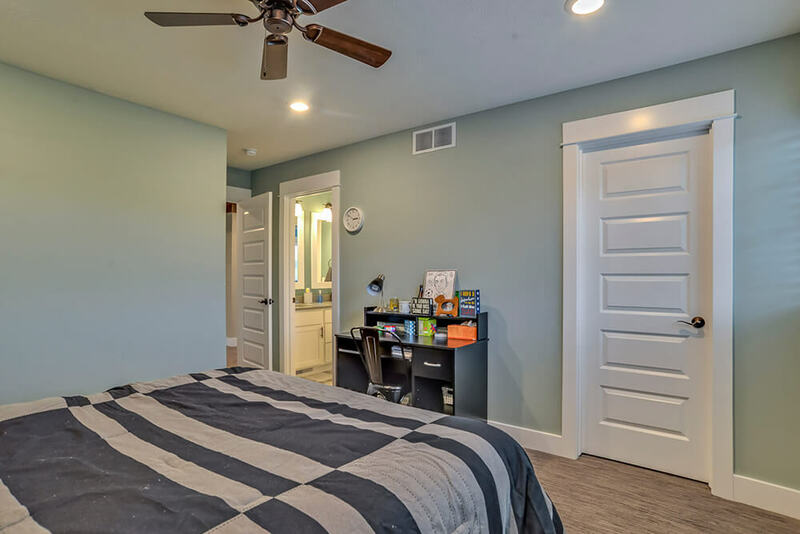 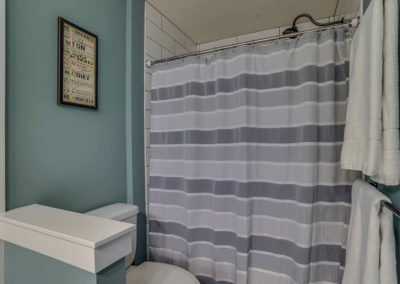 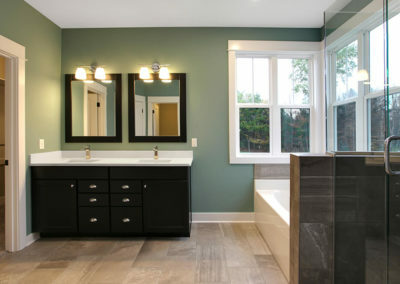 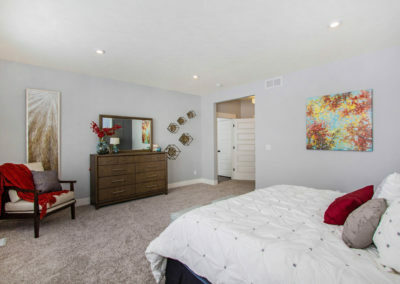 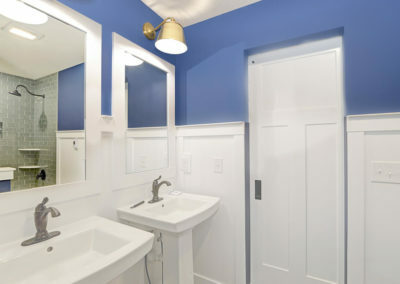 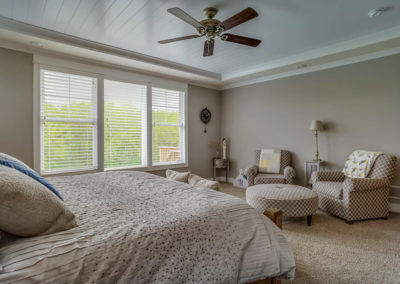 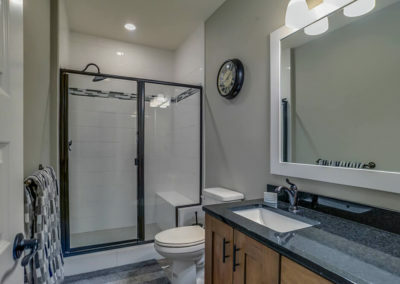 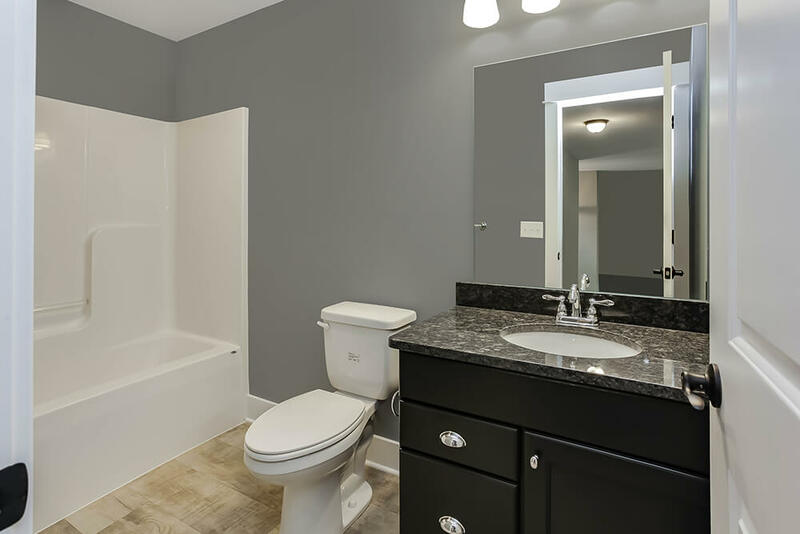 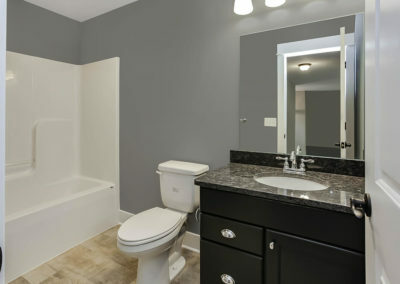 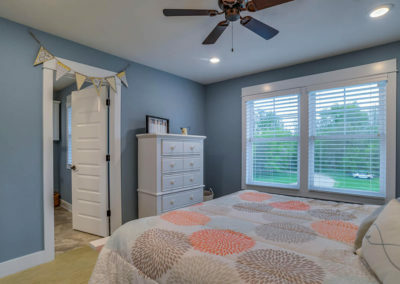 You may also choose to add a second Jack-and-Jill full bath that connects two of the bedrooms into a suite. 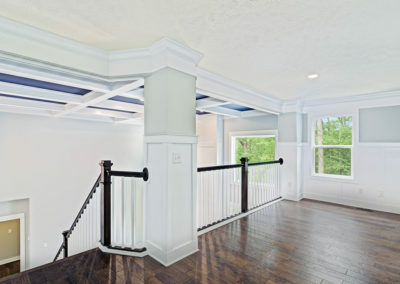 The Birkshire design also includes a lower level. 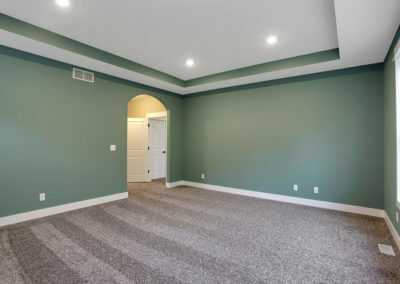 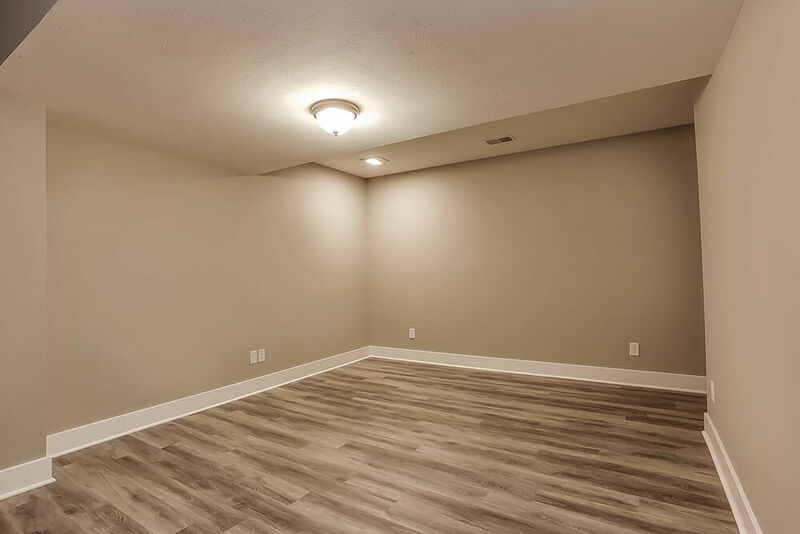 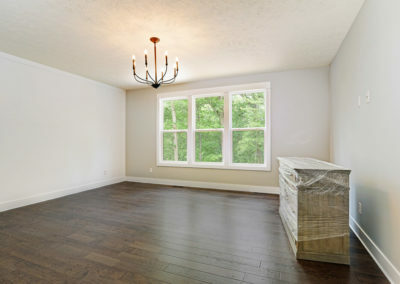 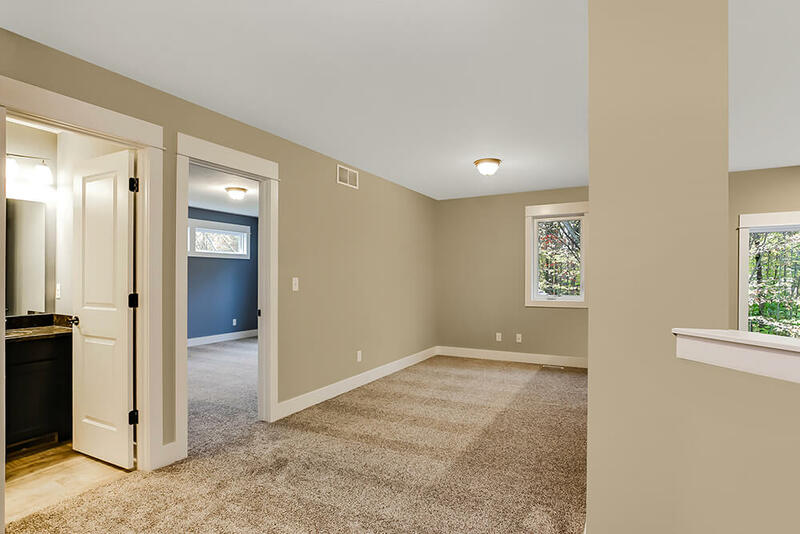 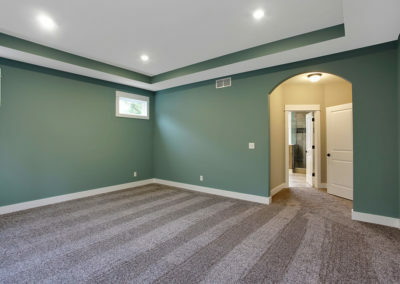 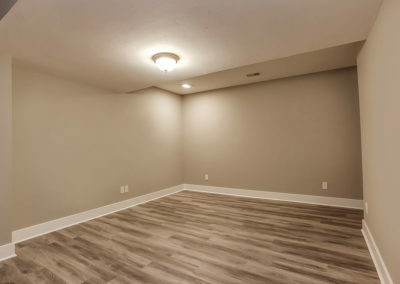 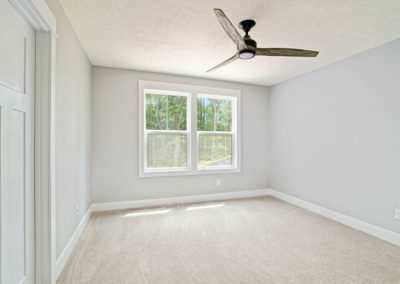 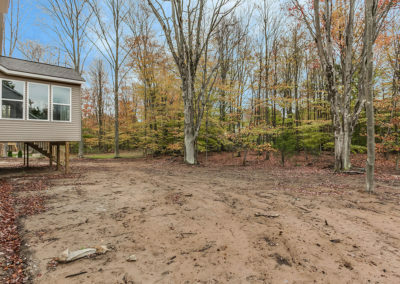 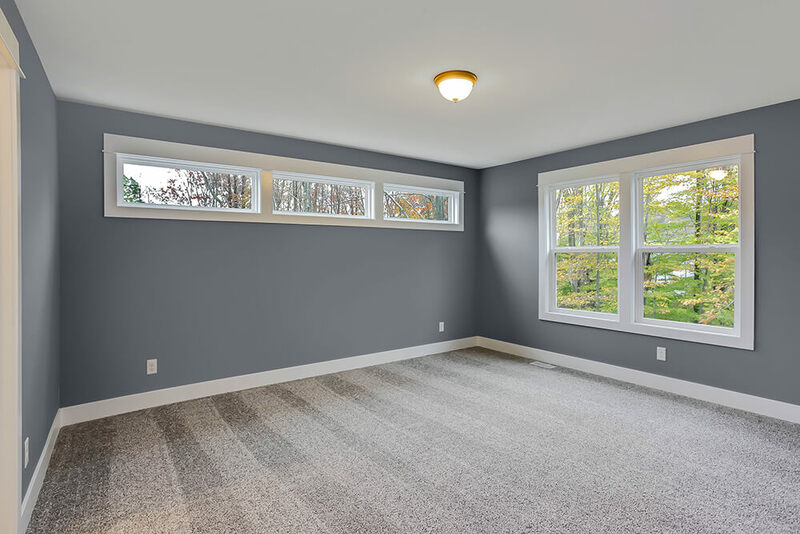 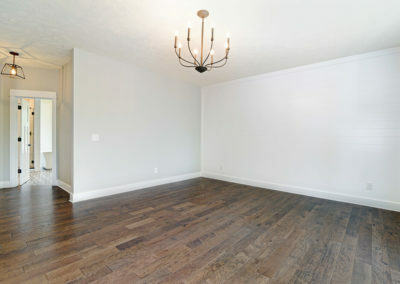 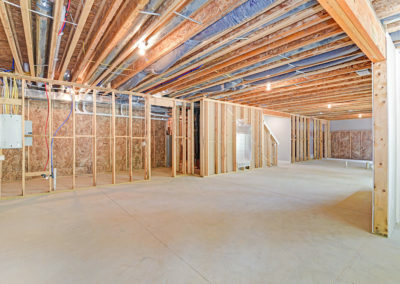 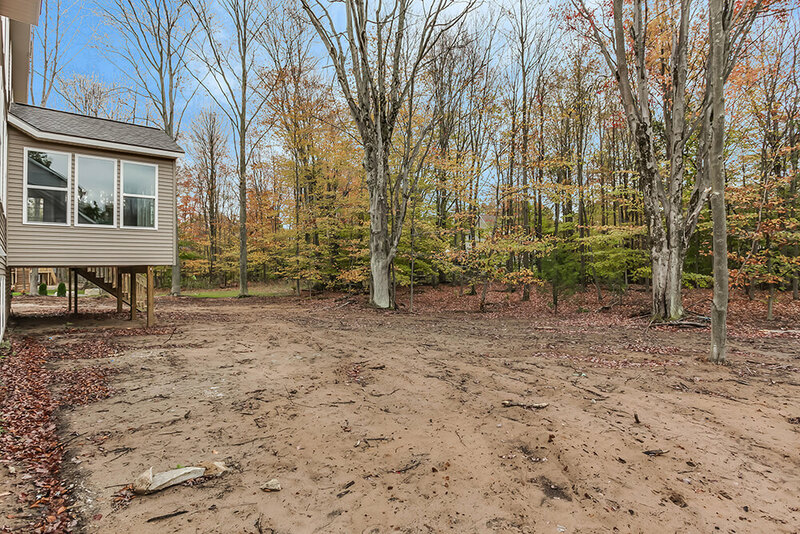 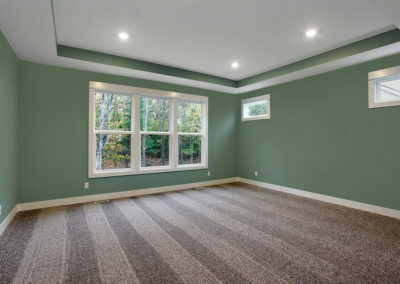 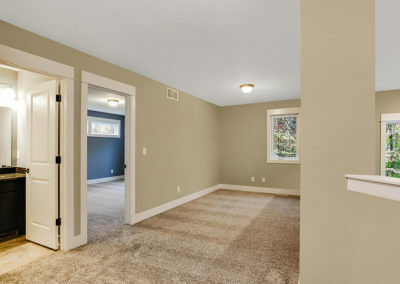 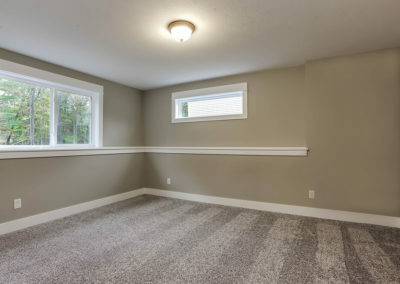 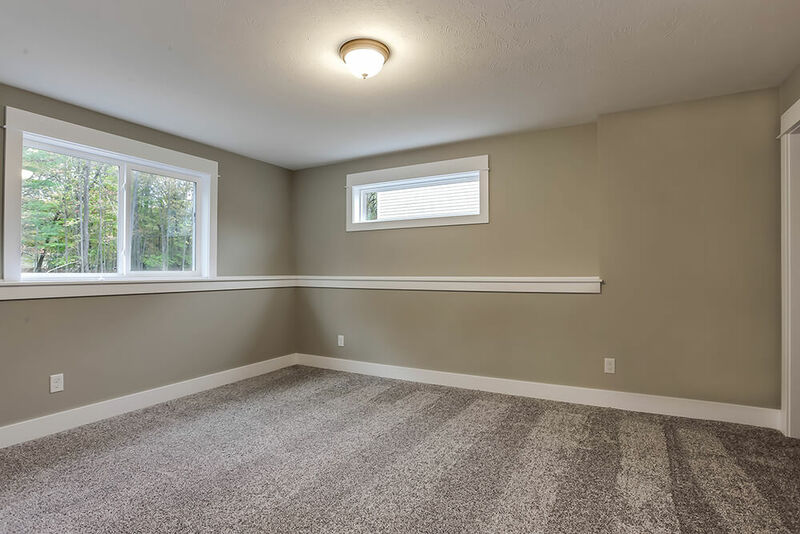 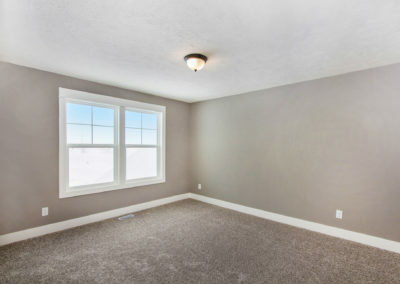 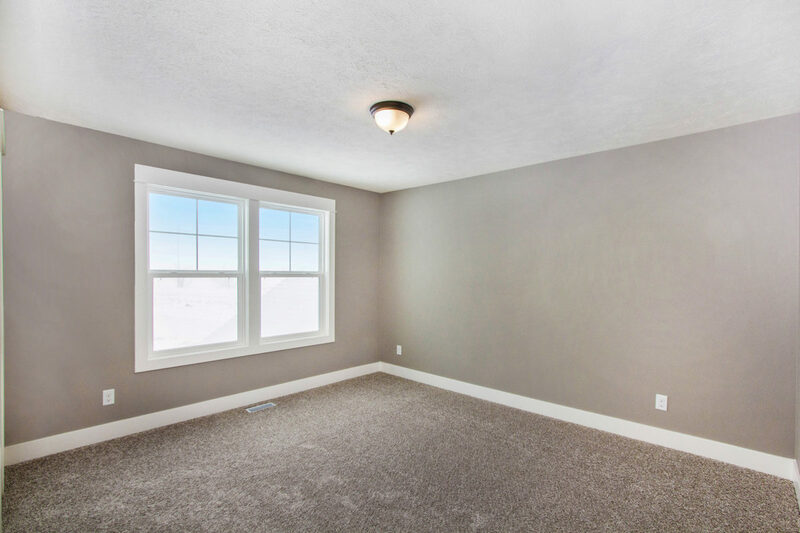 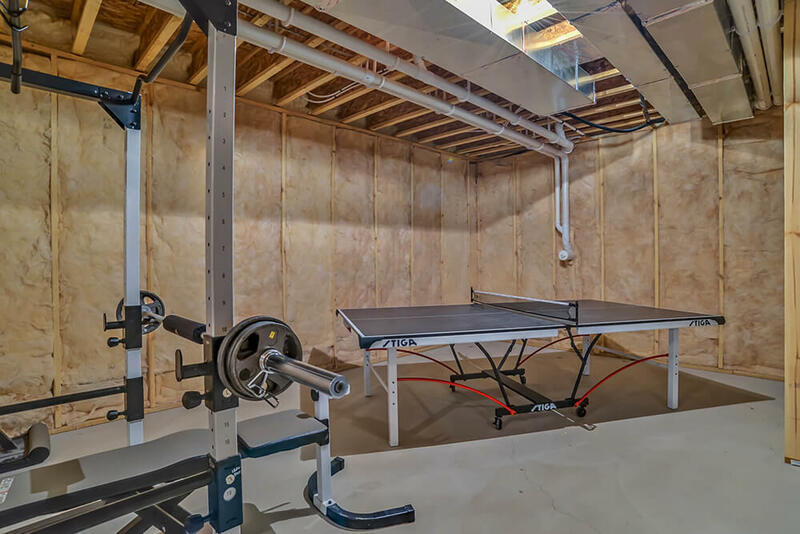 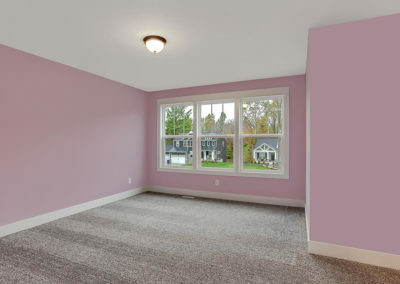 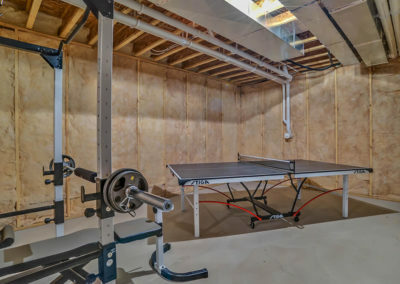 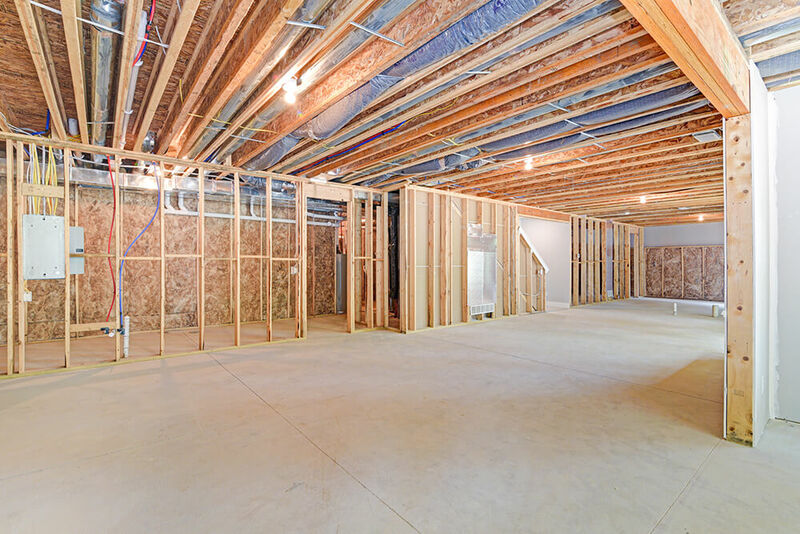 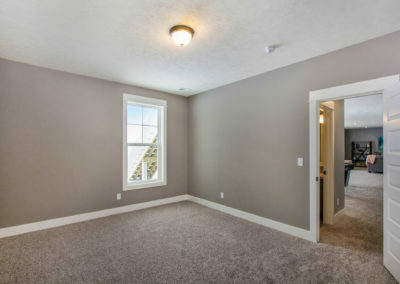 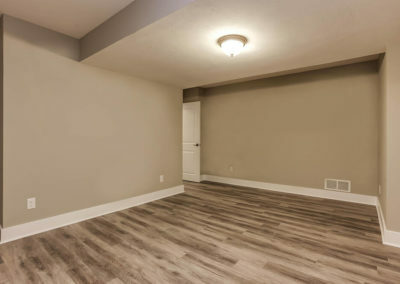 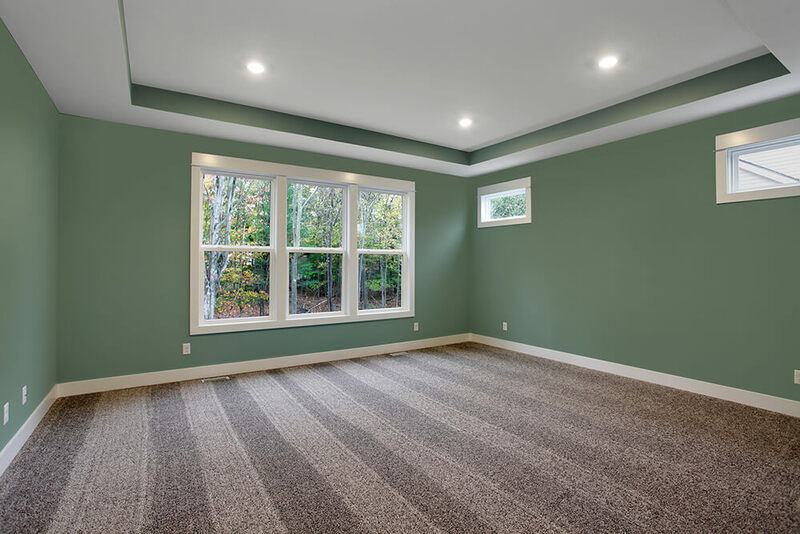 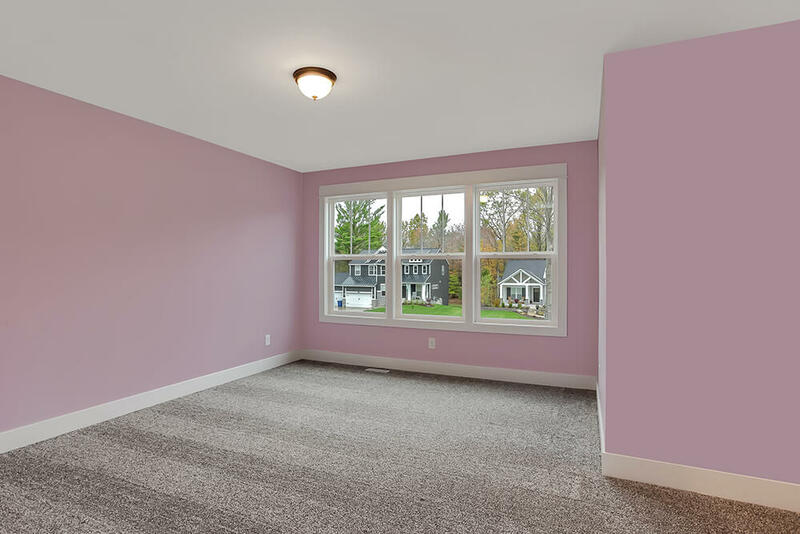 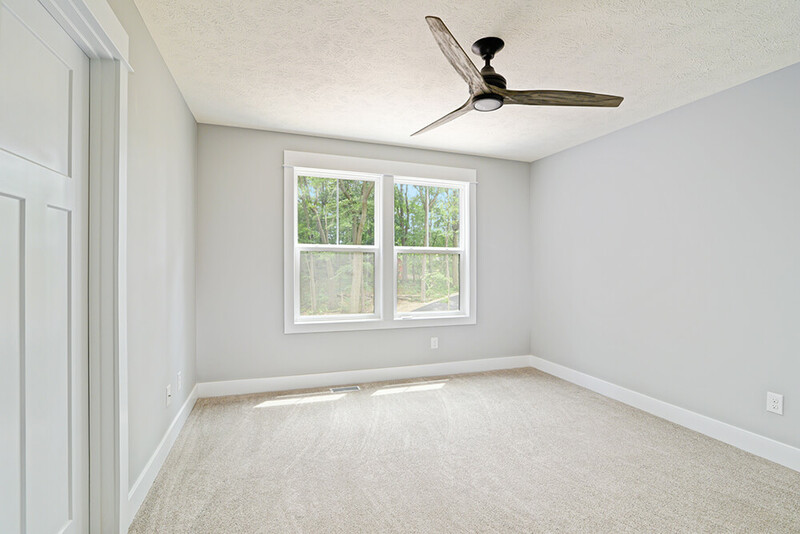 This space can be finished at a later date, or completed during construction to suite your needs. 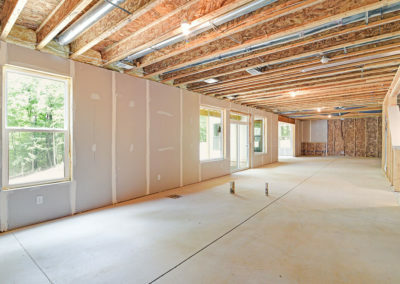 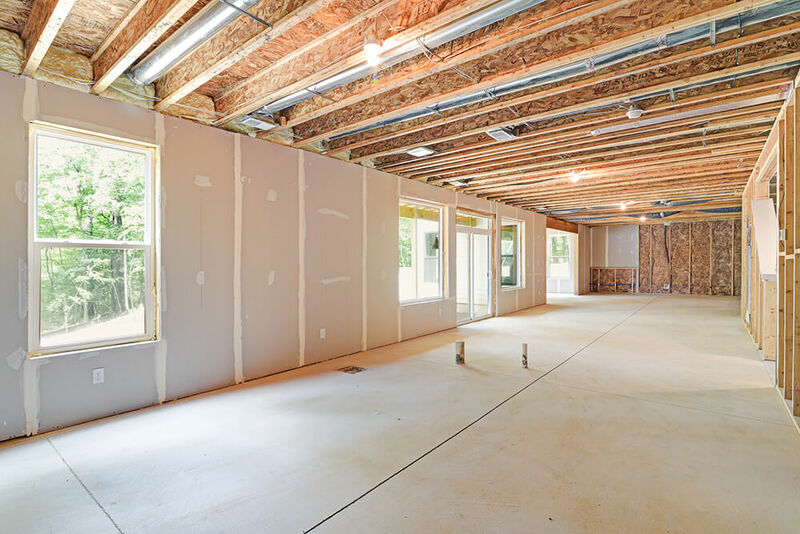 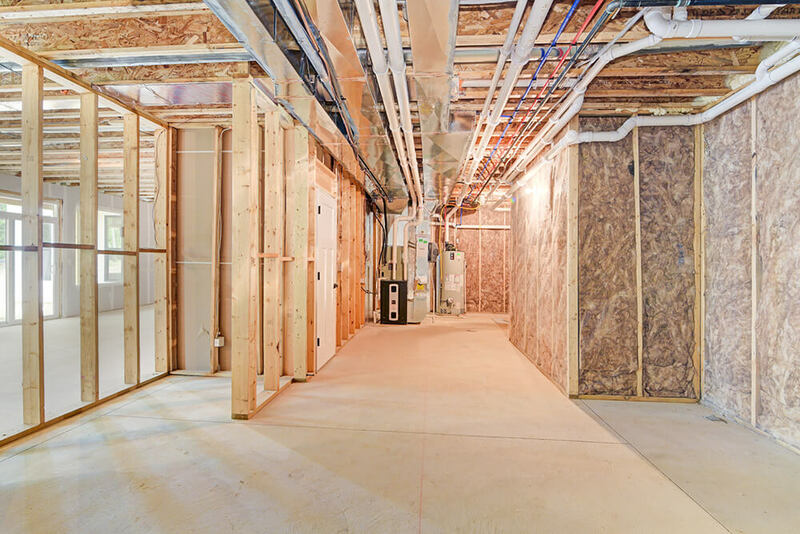 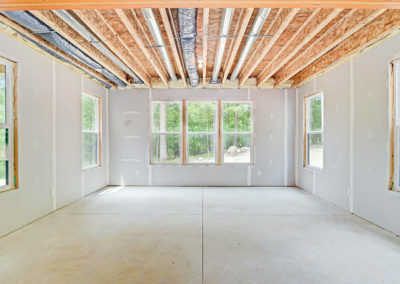 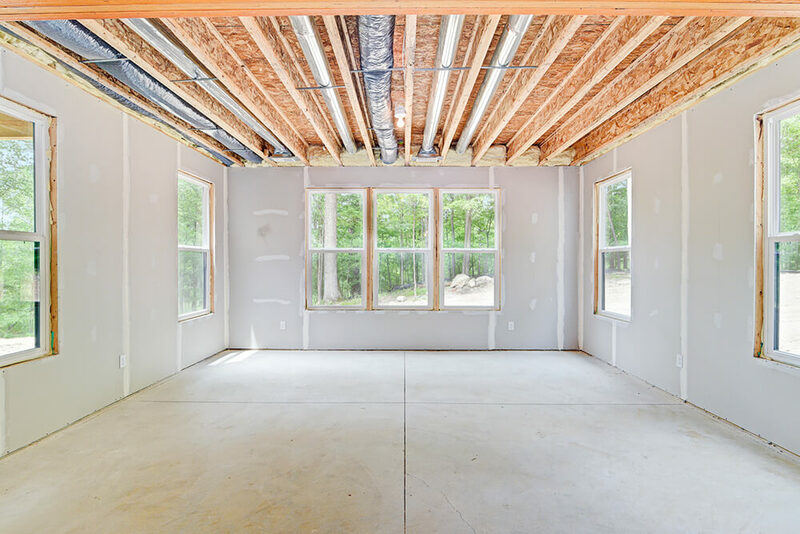 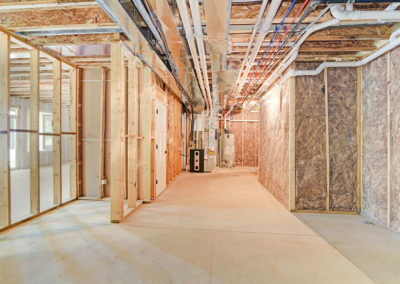 If finished, the lower level can include additional living space, a bathroom, and bedrooms if your home site conditions allow. 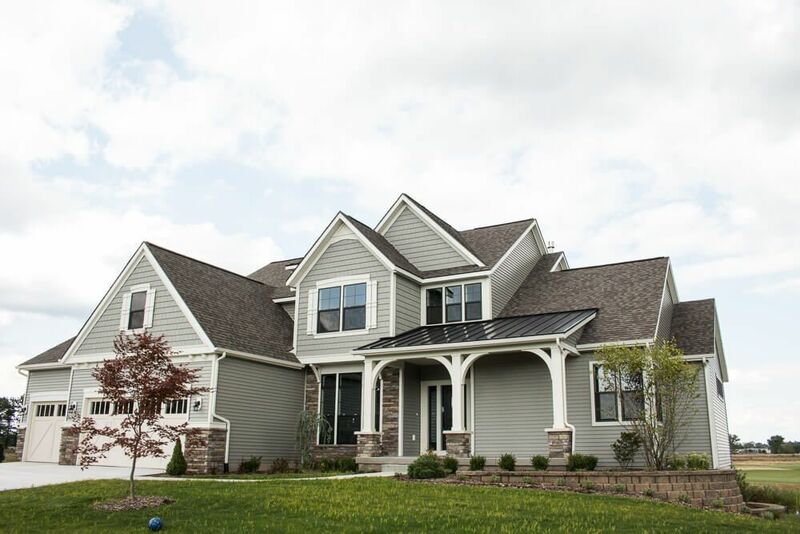 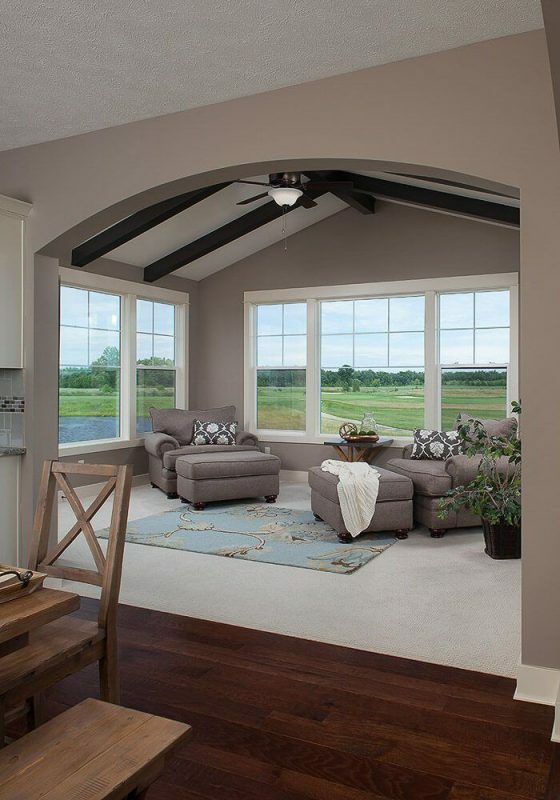 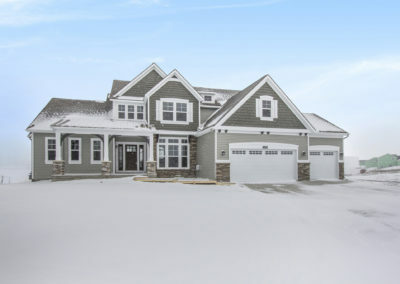 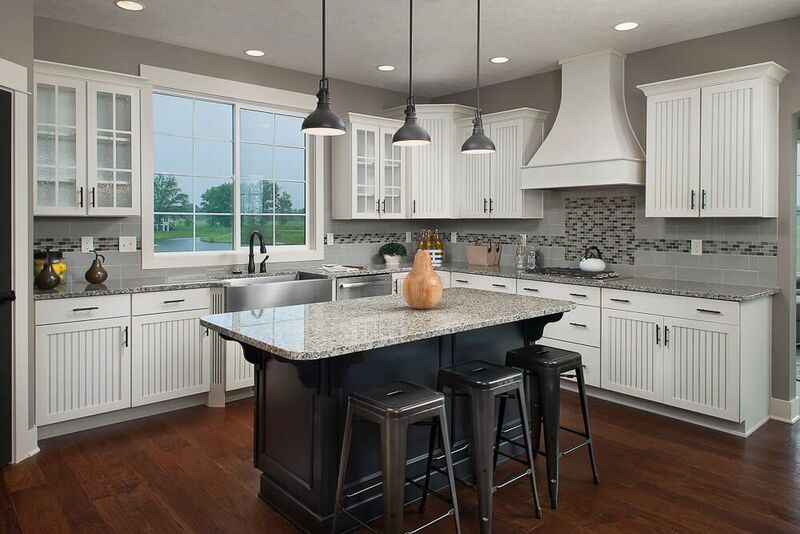 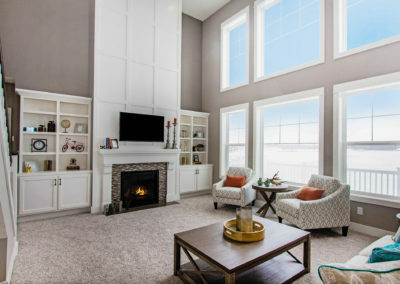 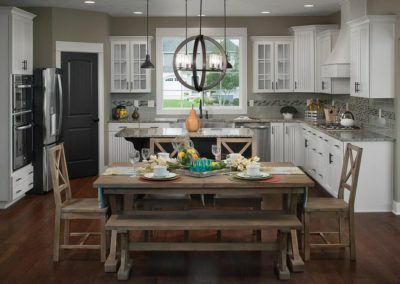 A fantastic home plan, the Birkshire offers you the opportunity to craft a generous and inviting home. 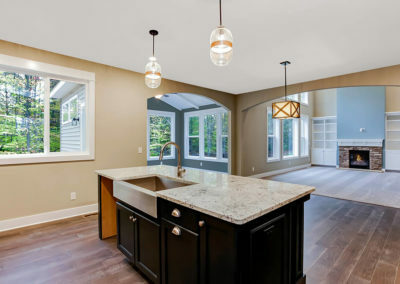 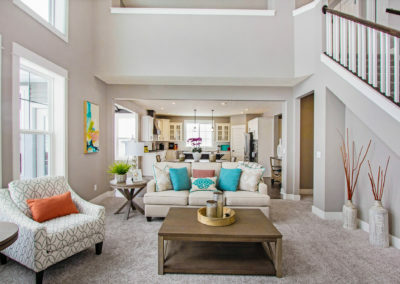 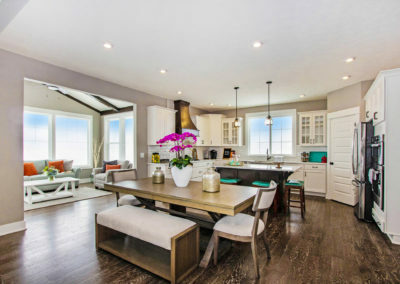 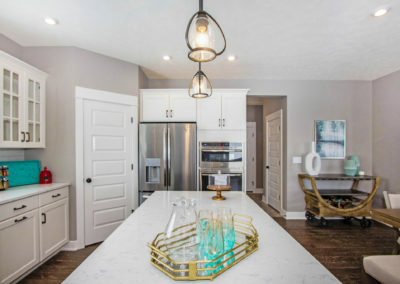 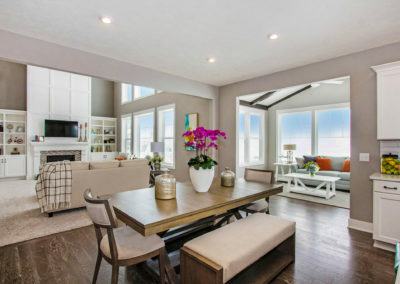 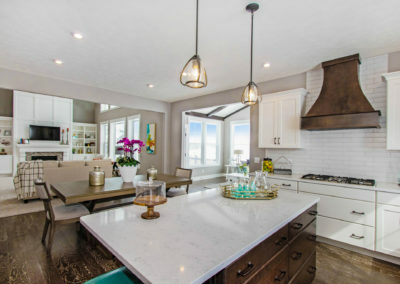 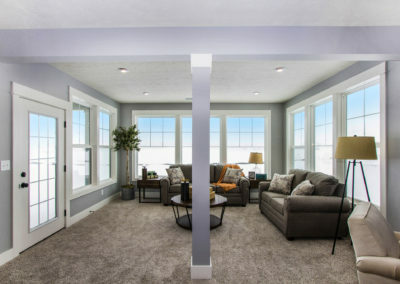 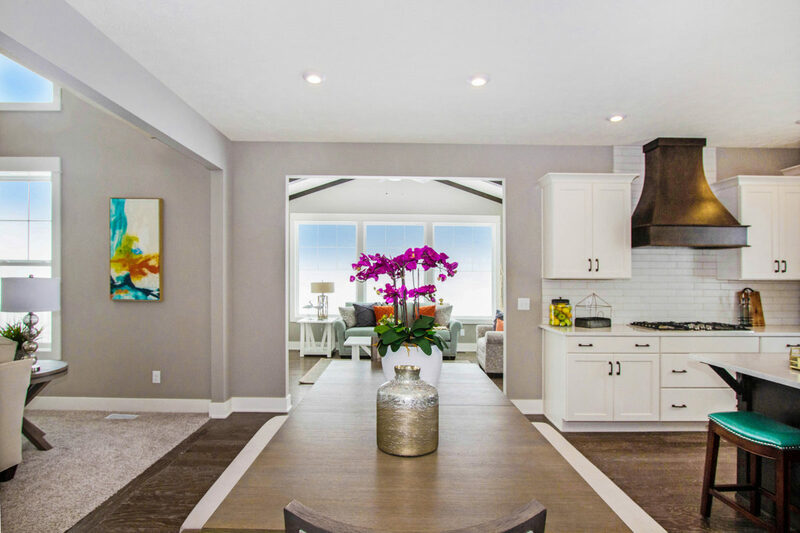 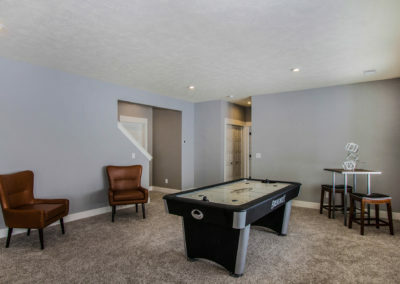 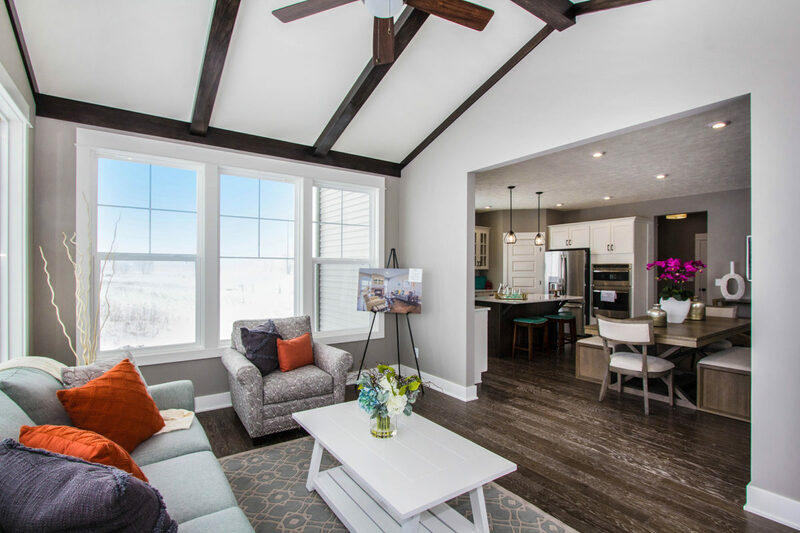 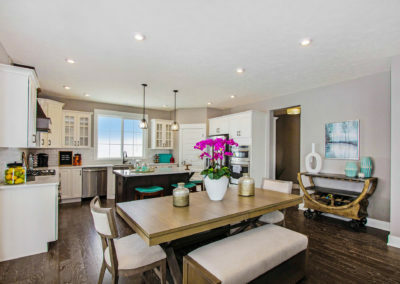 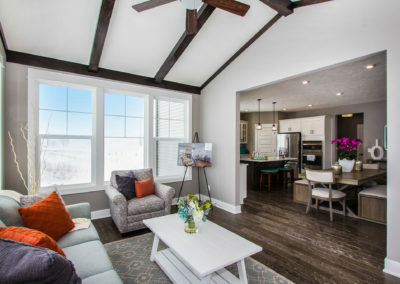 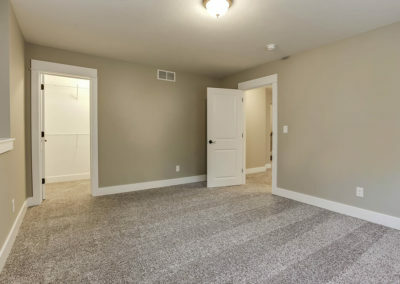 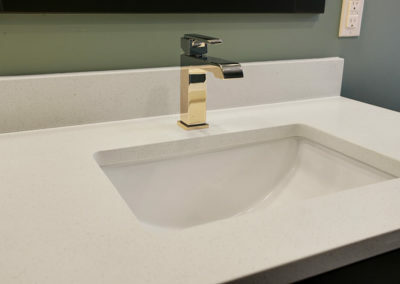 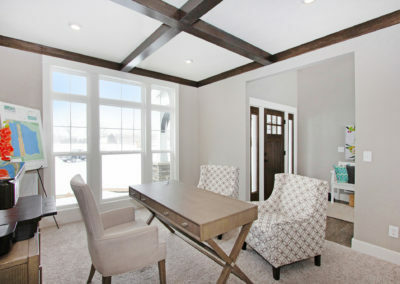 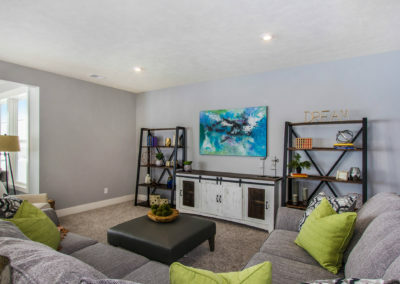 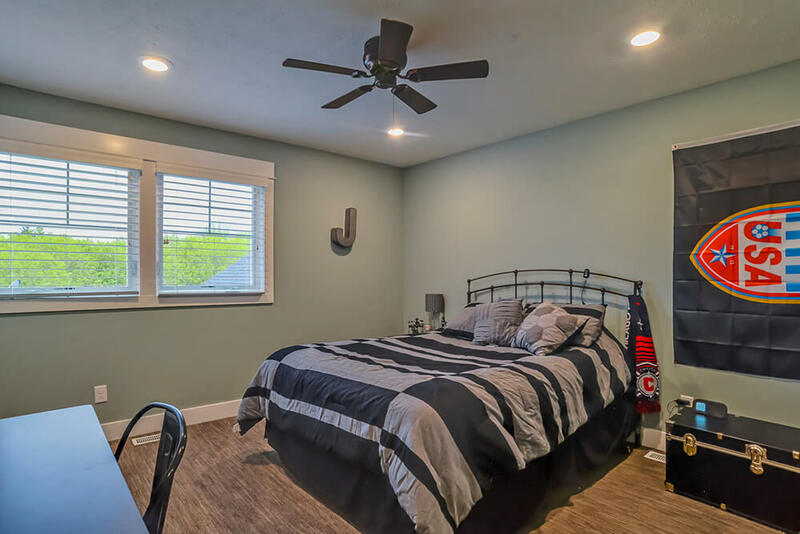 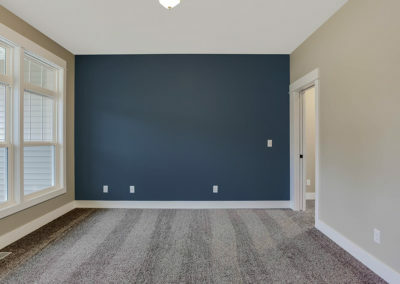 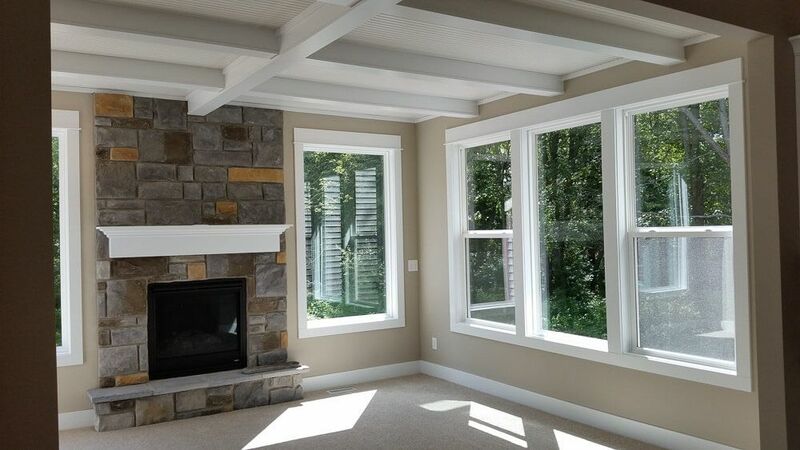 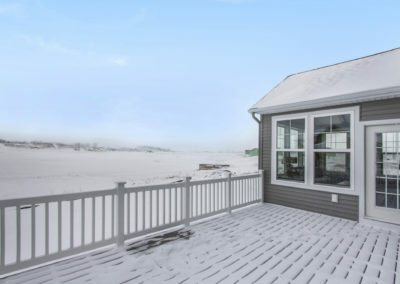 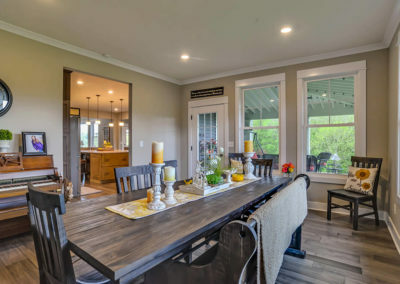 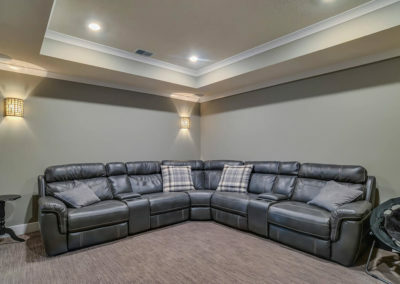 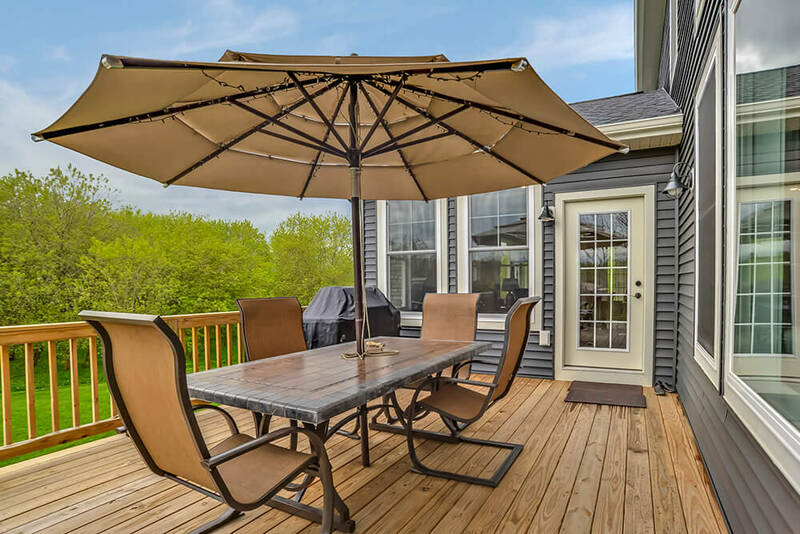 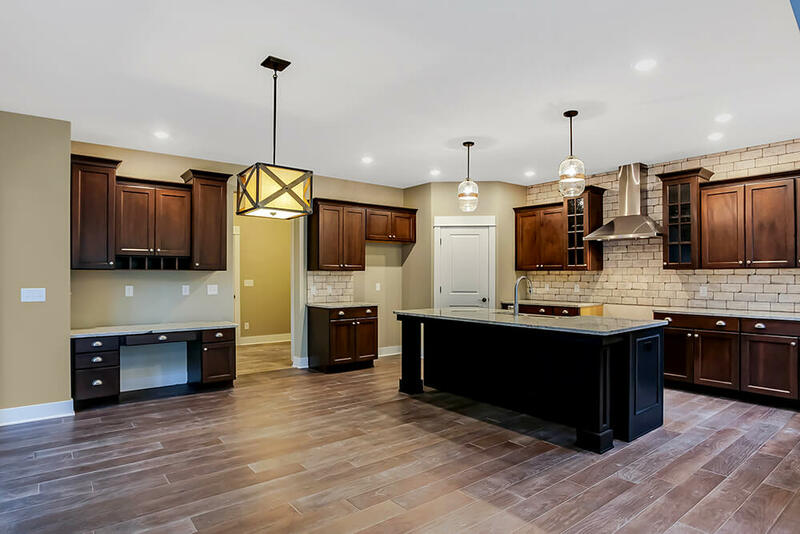 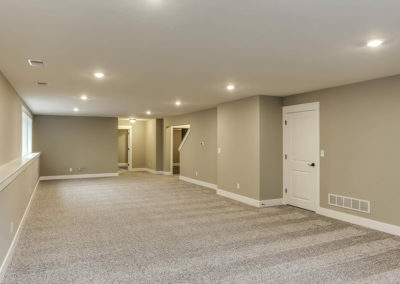 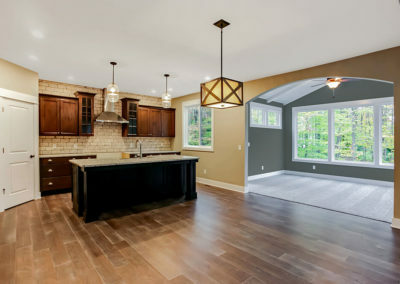 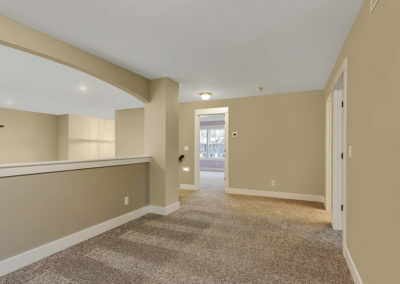 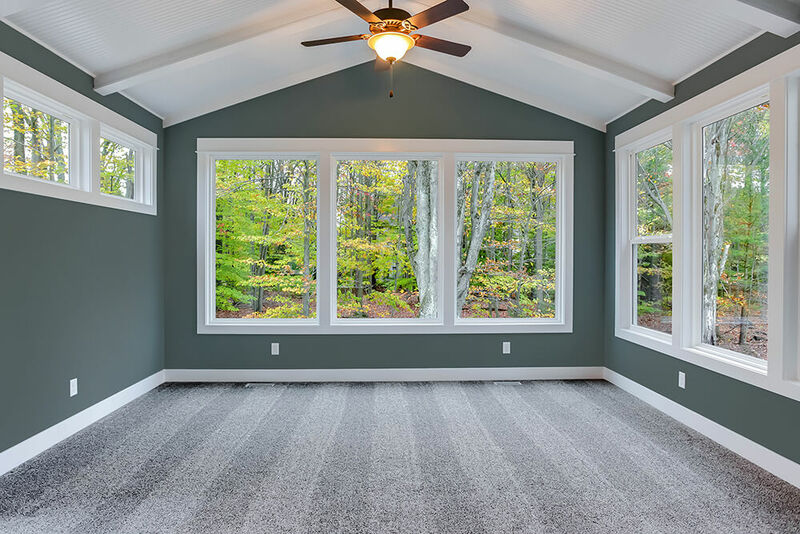 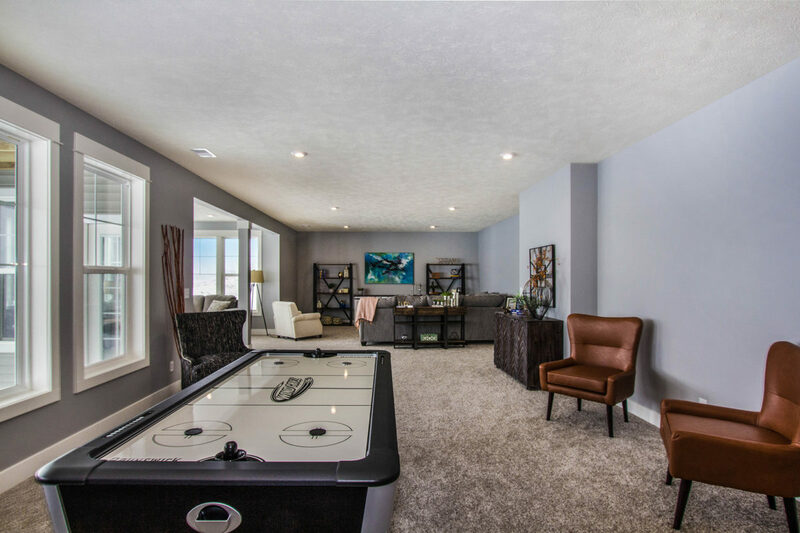 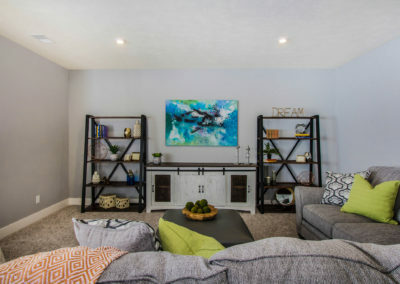 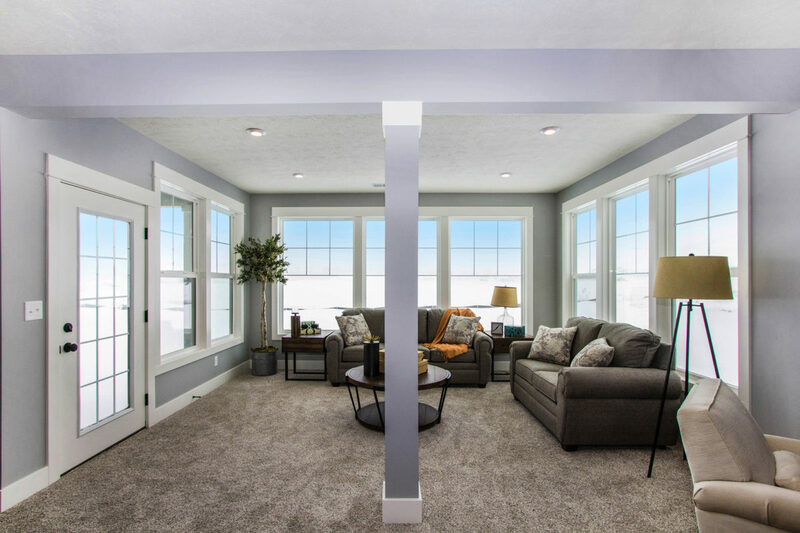 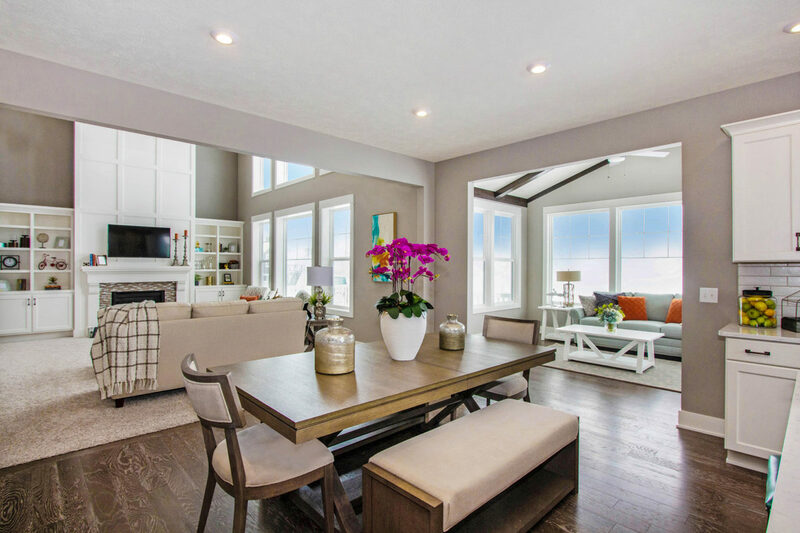 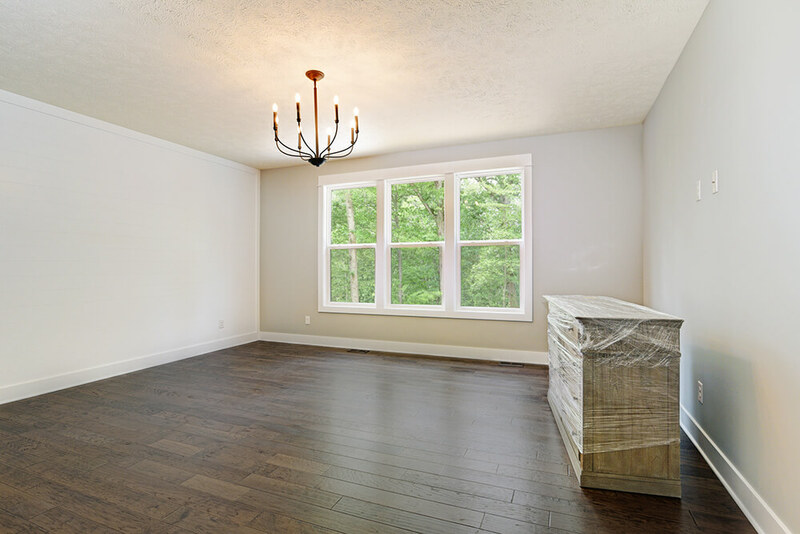 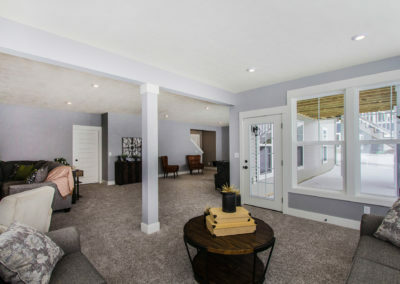 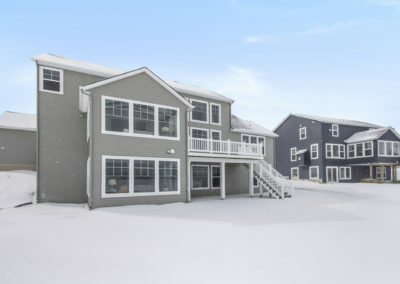 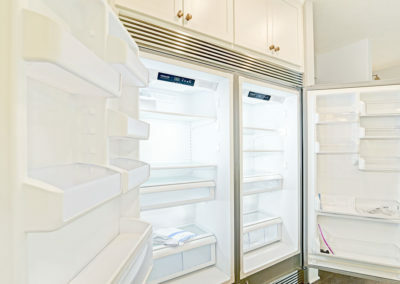 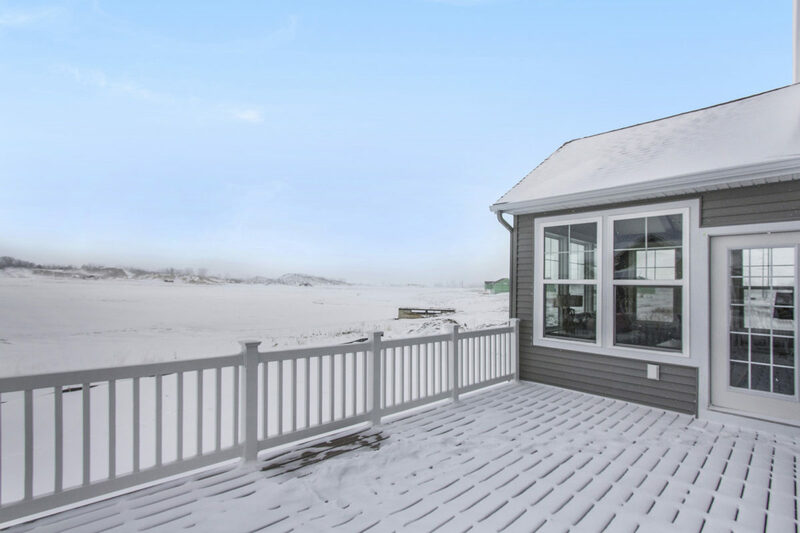 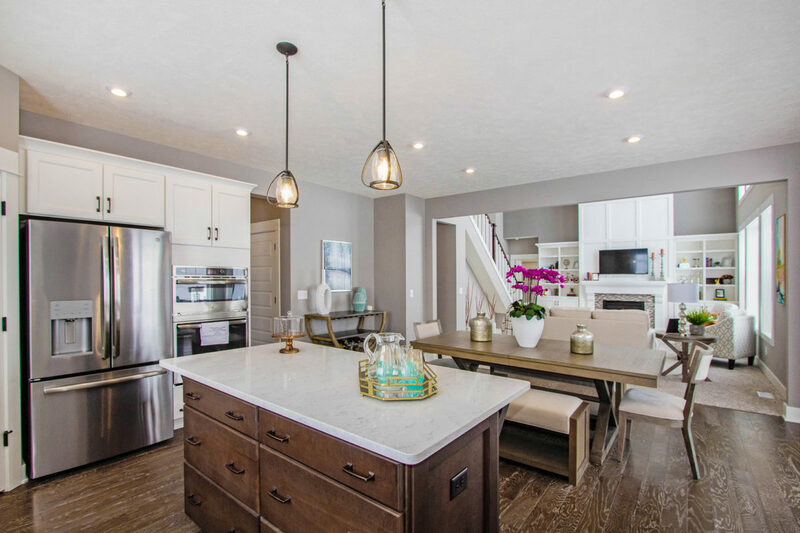 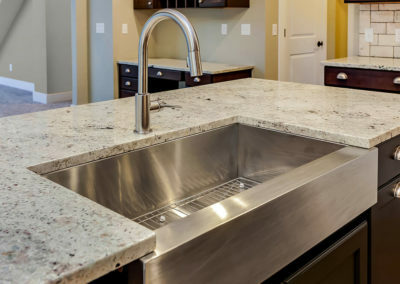 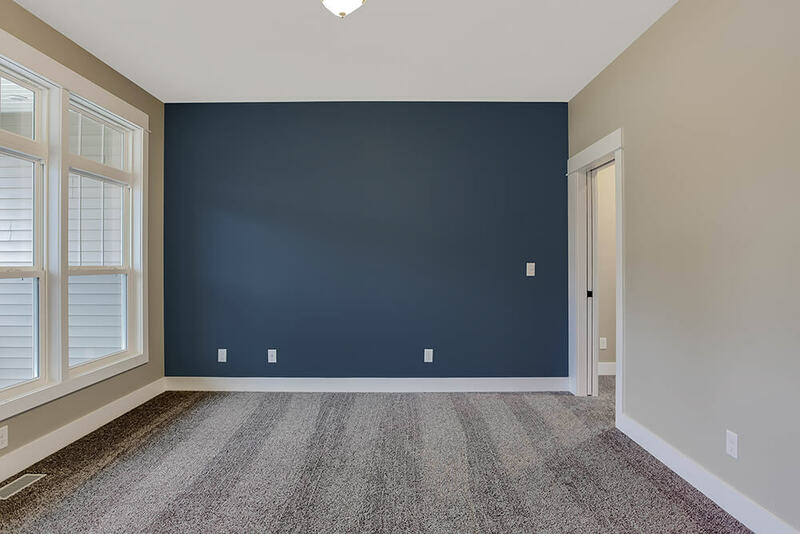 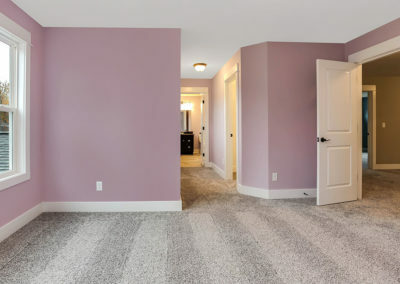 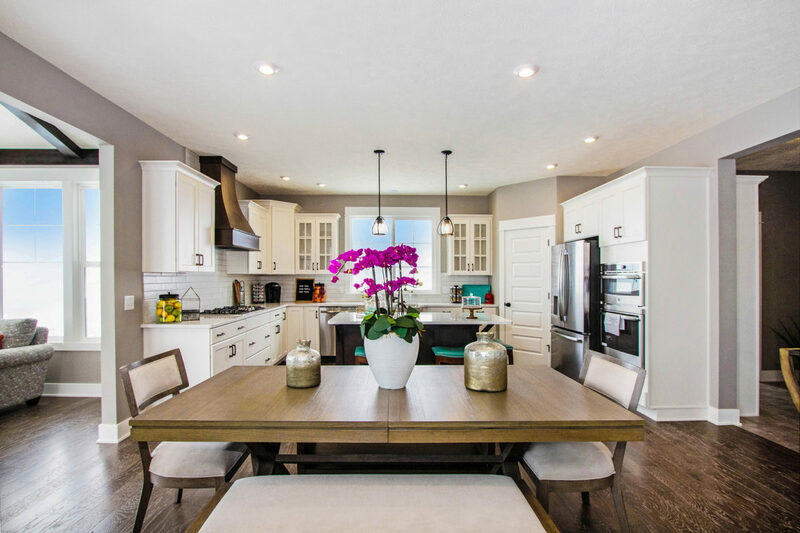 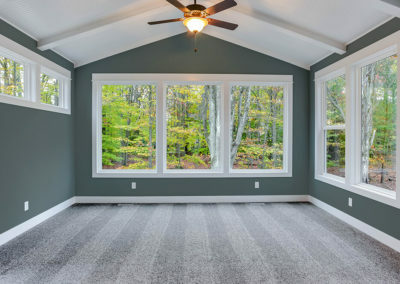 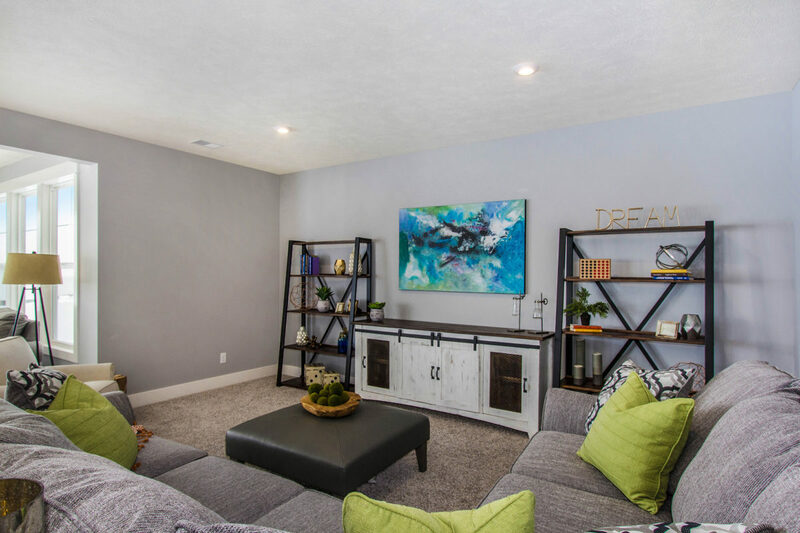 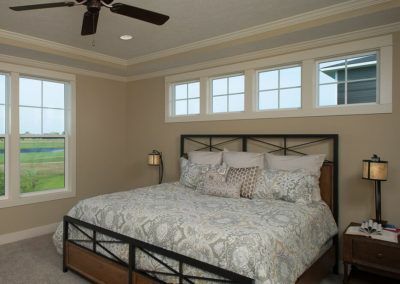 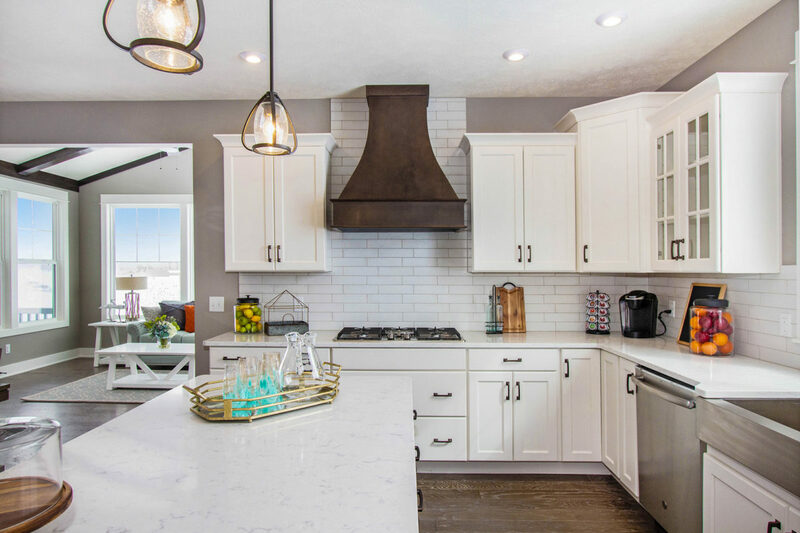 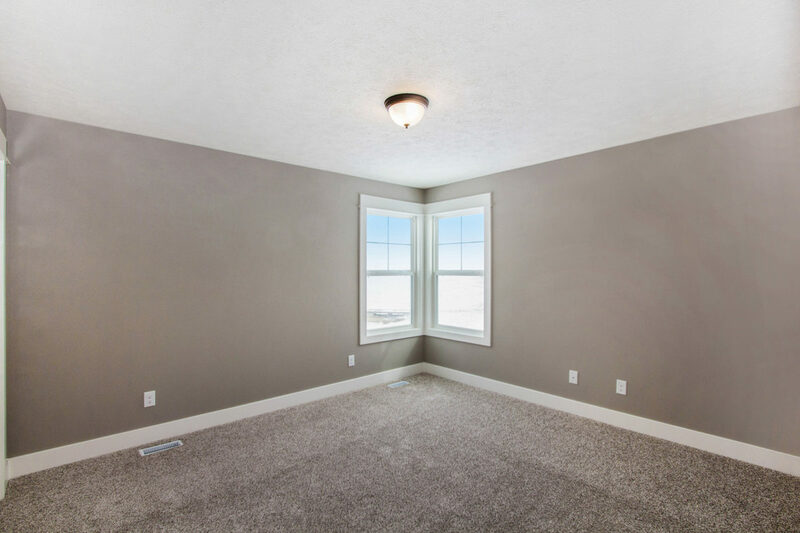 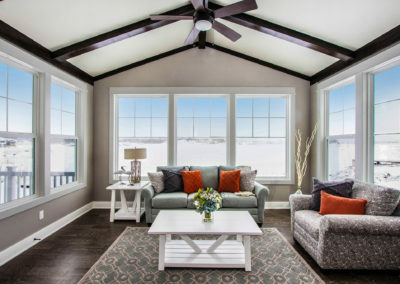 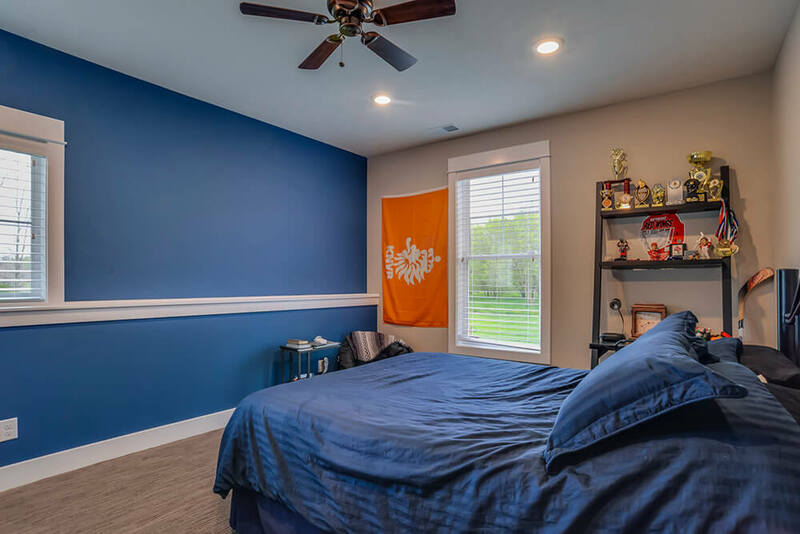 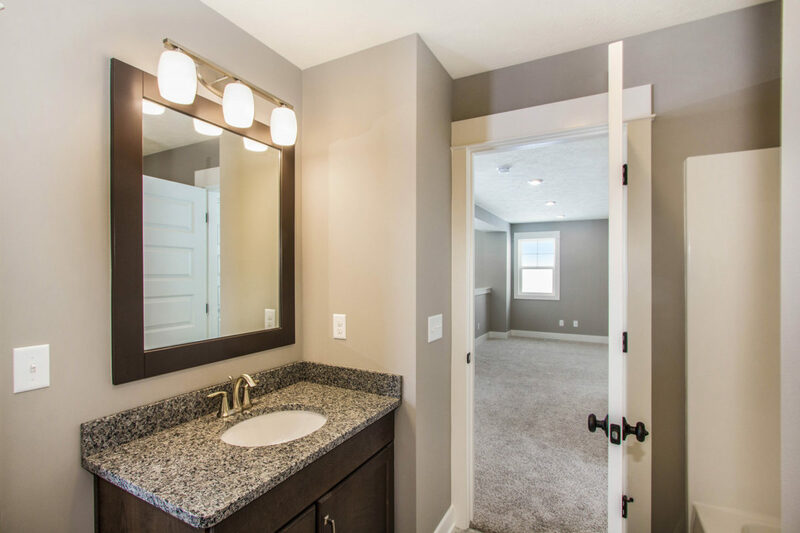 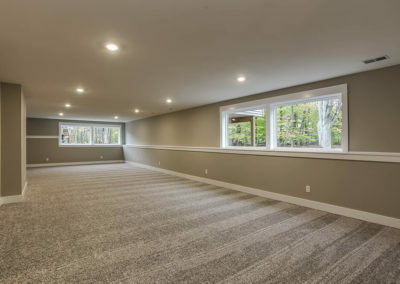 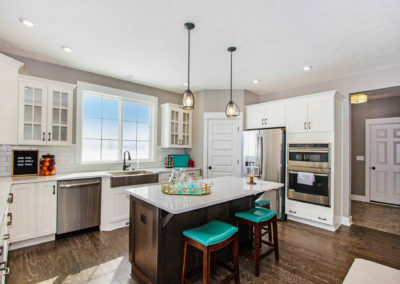 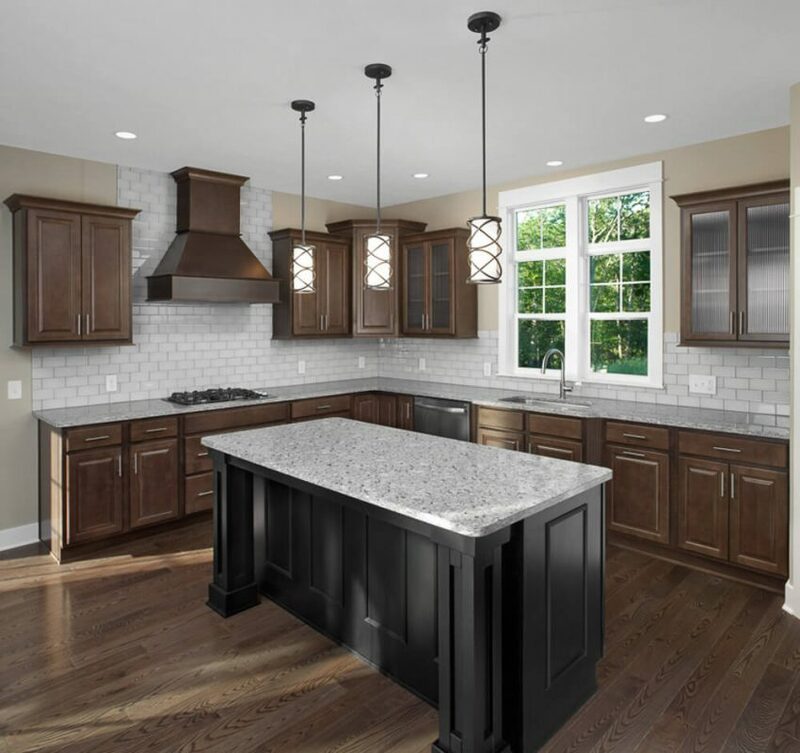 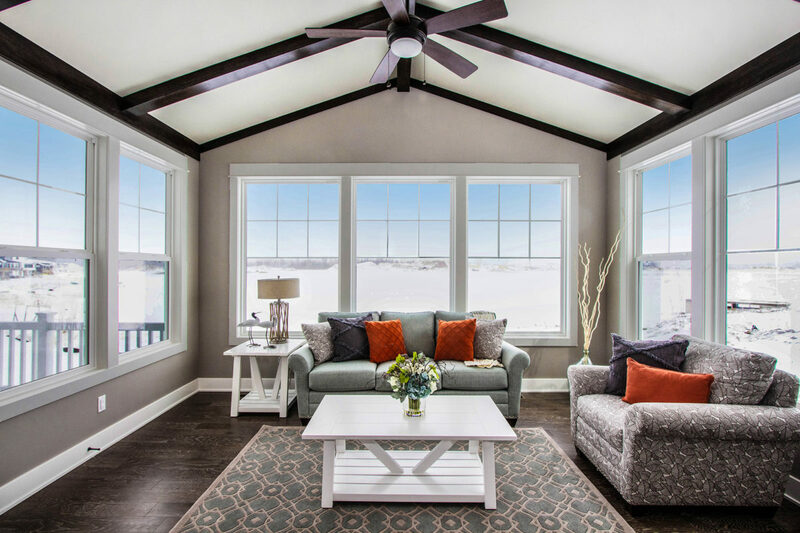 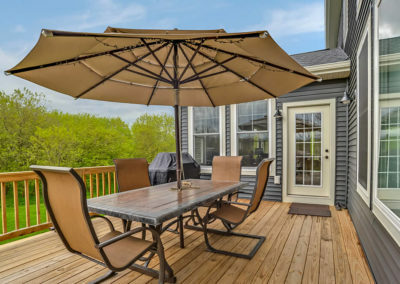 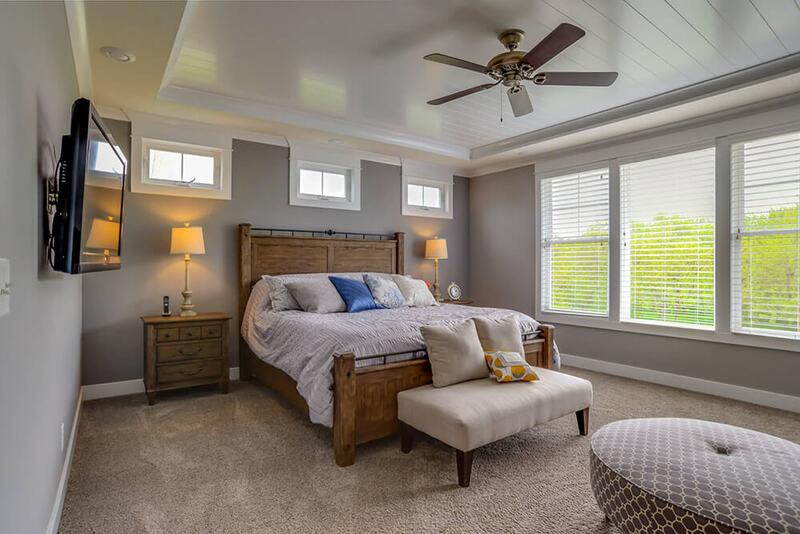 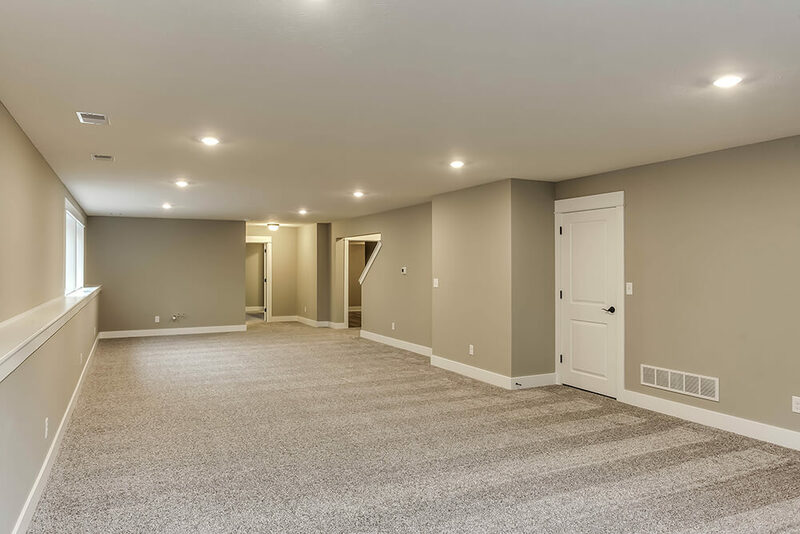 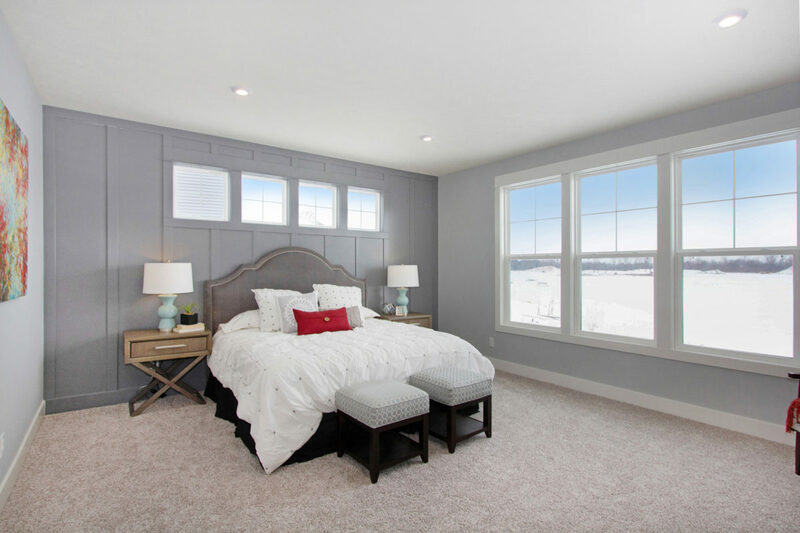 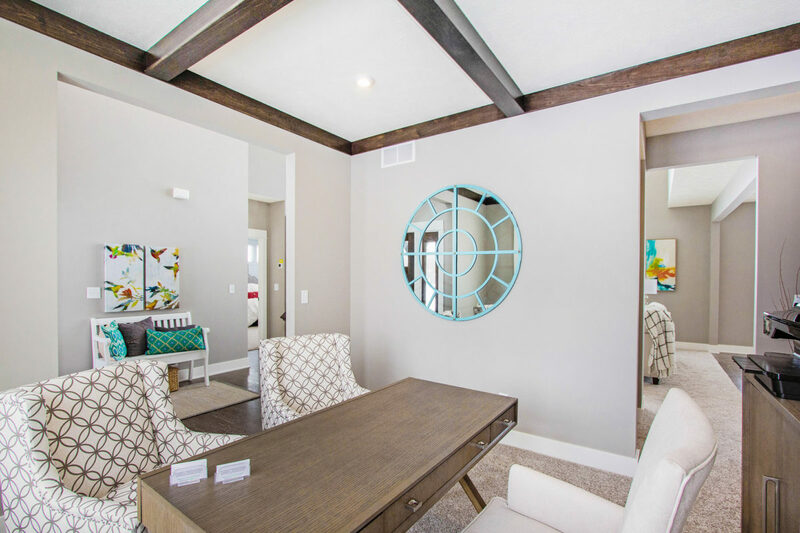 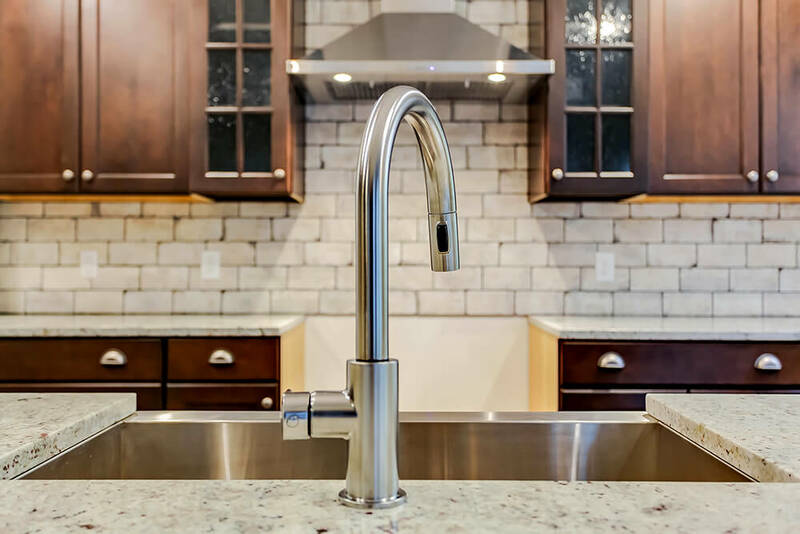 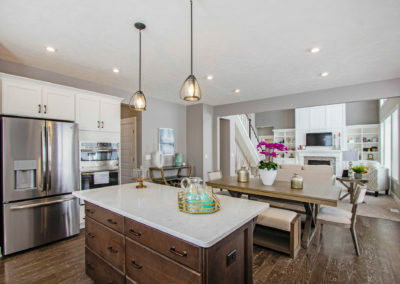 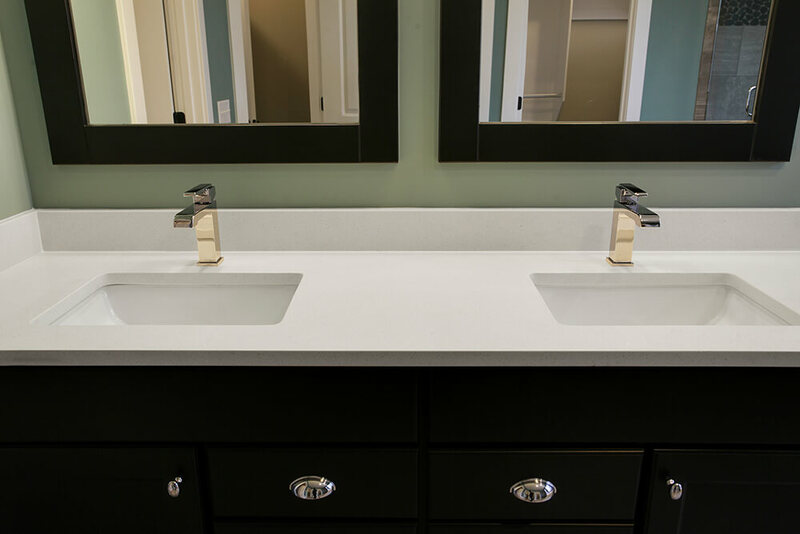 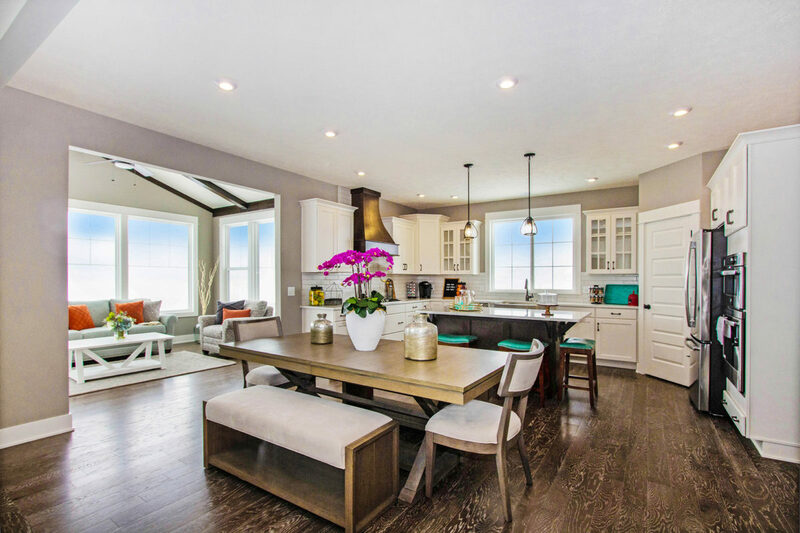 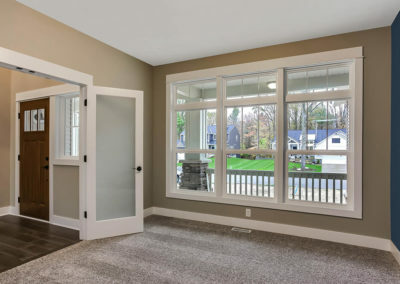 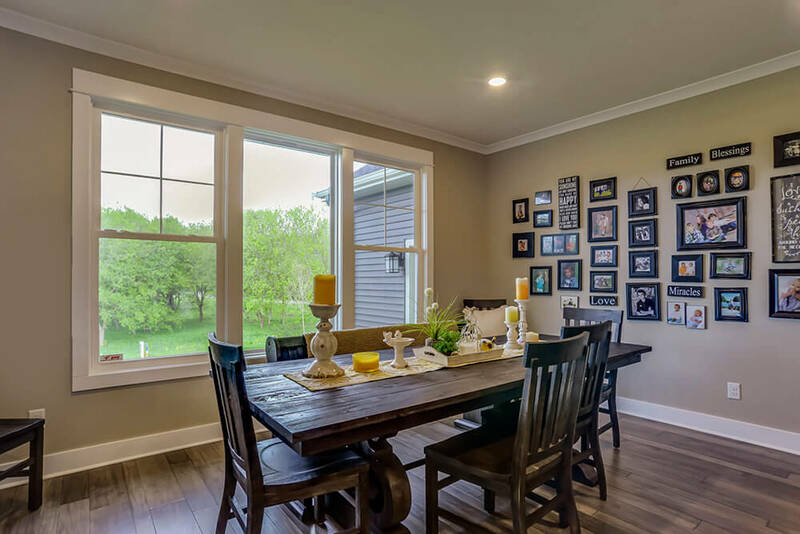 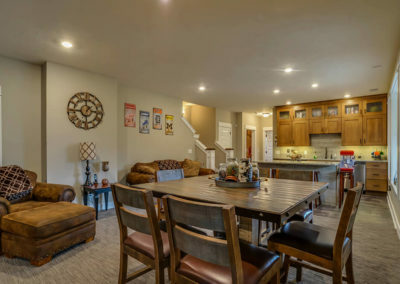 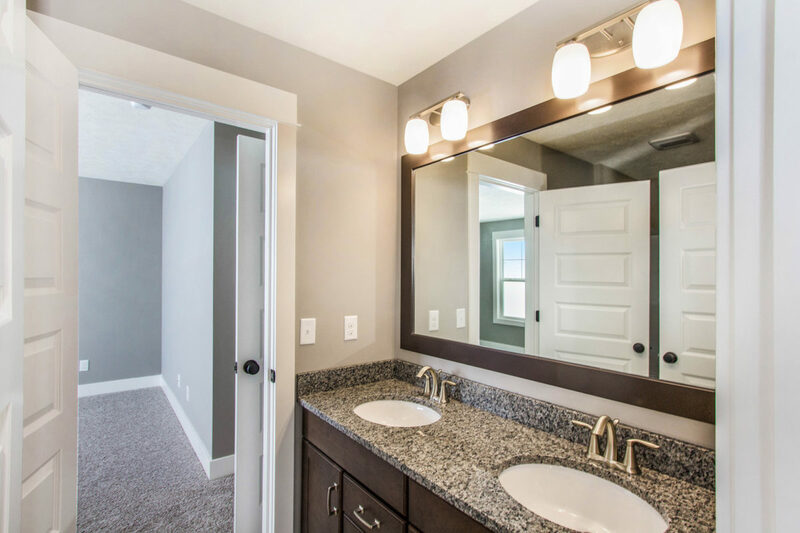 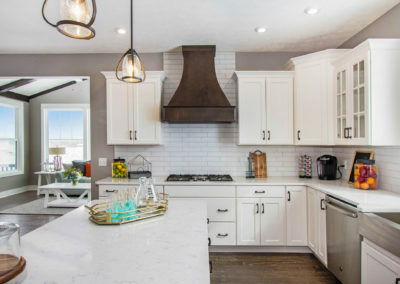 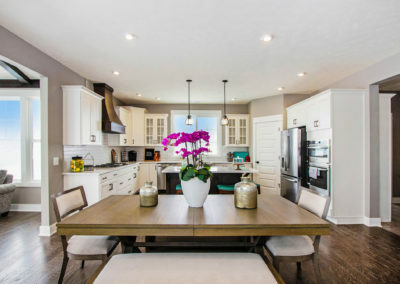 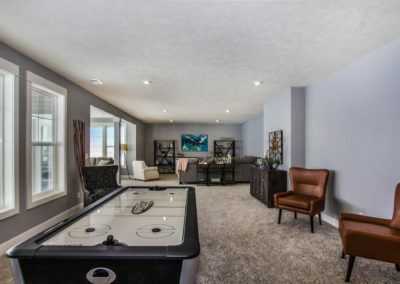 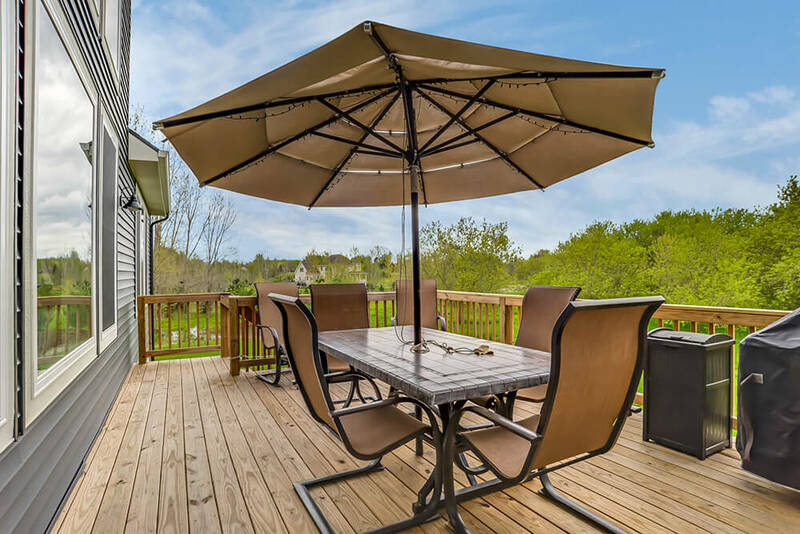 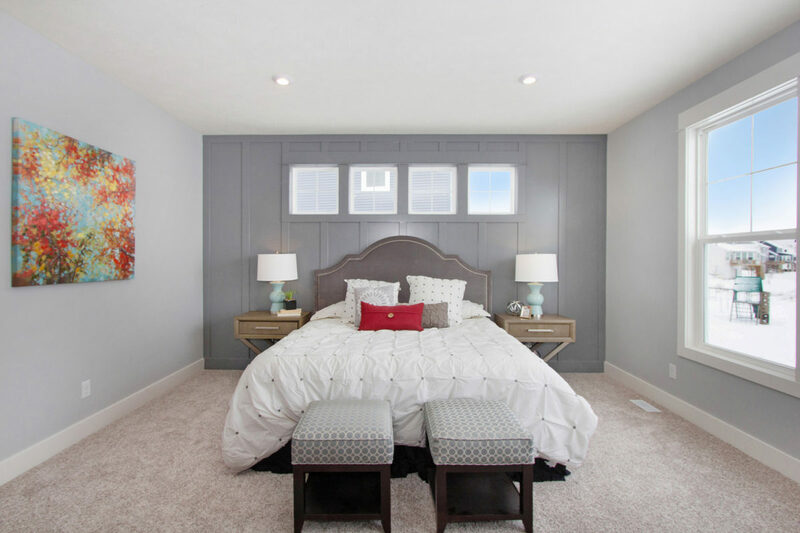 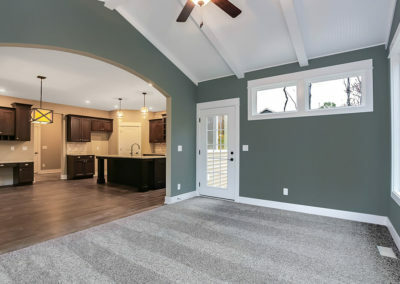 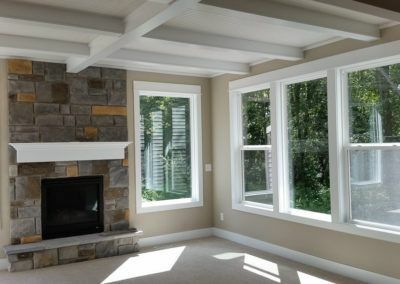 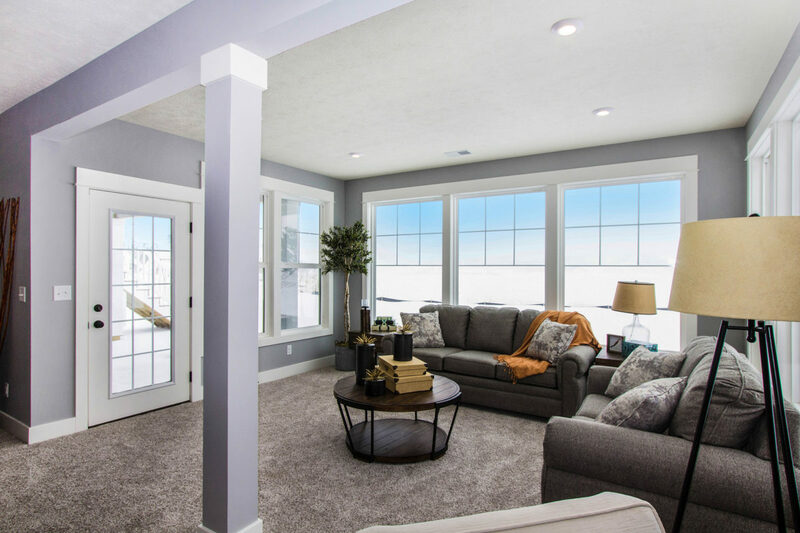 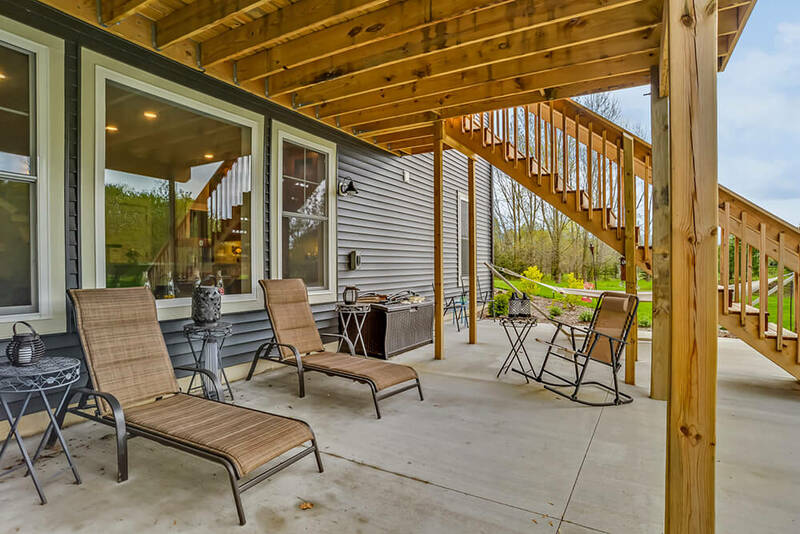 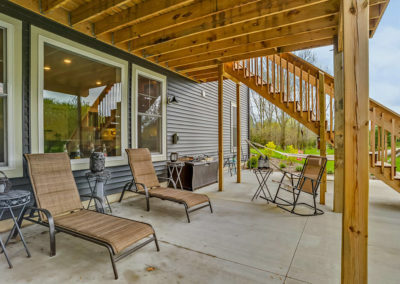 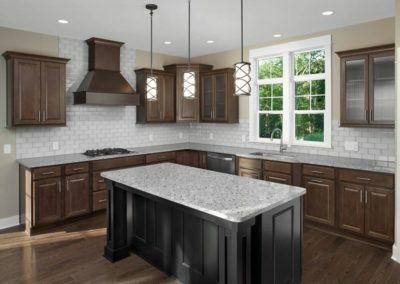 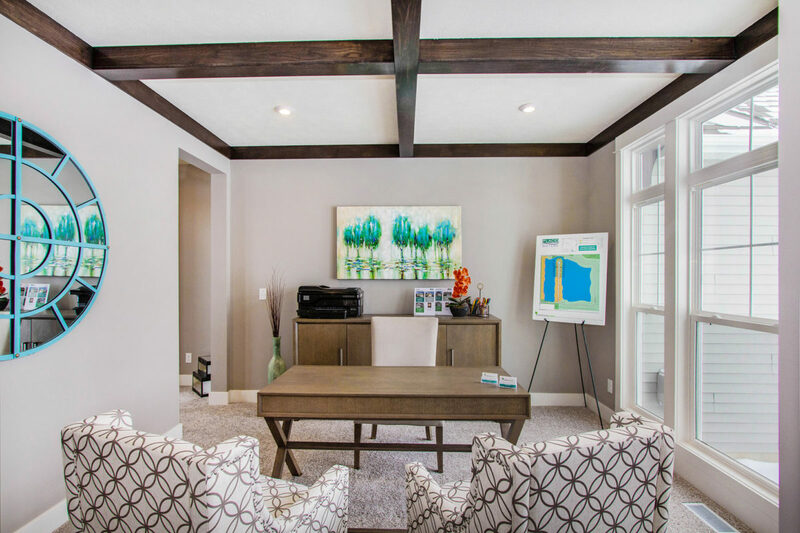 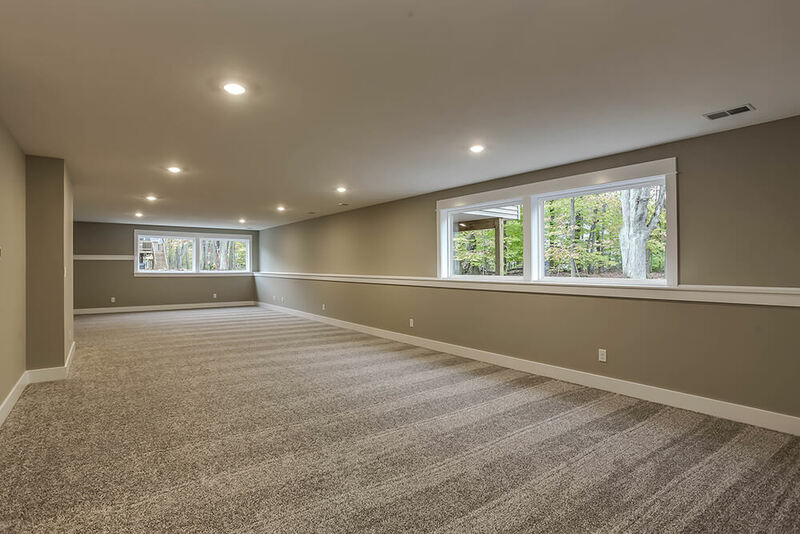 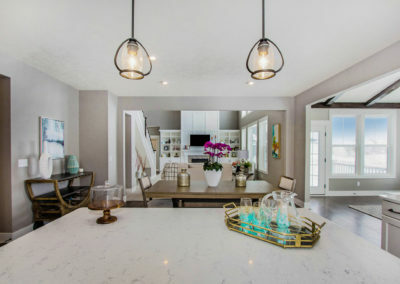 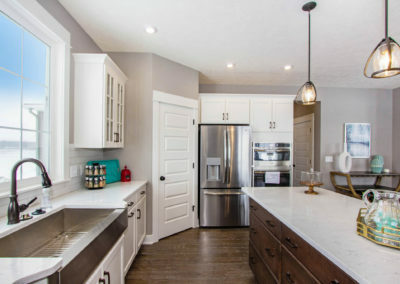 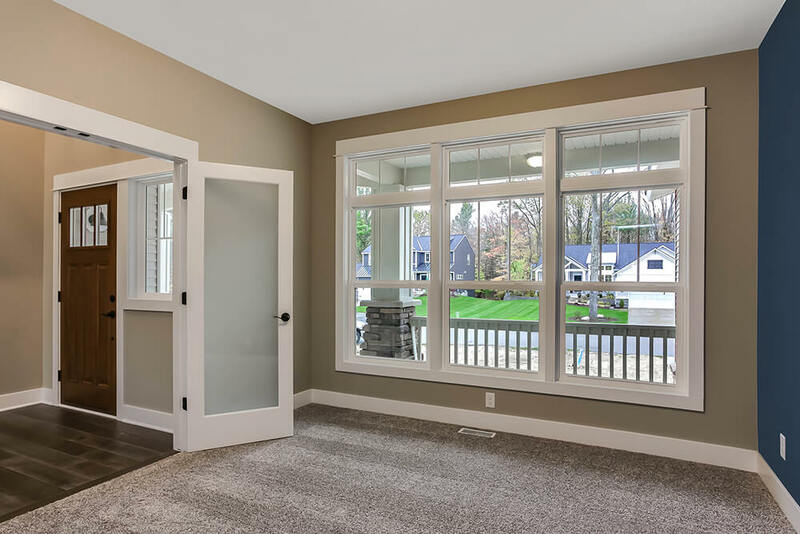 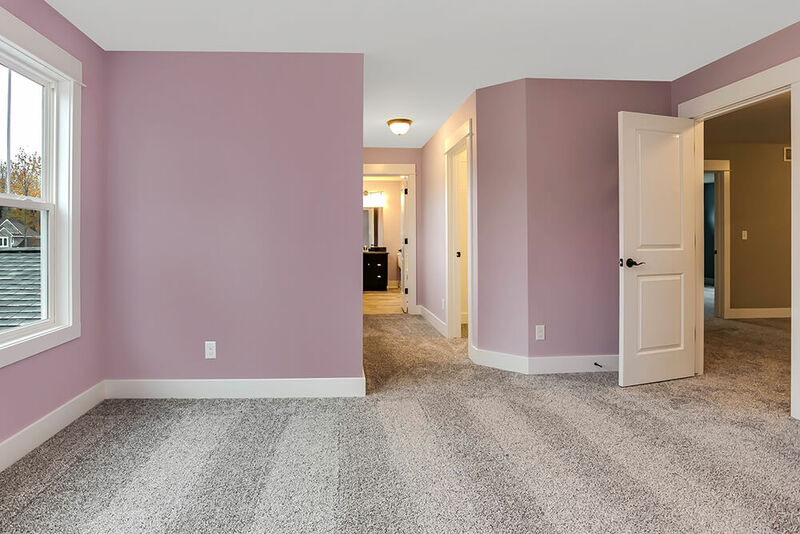 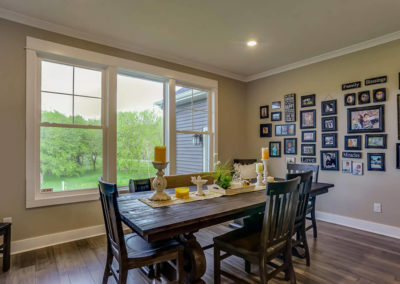 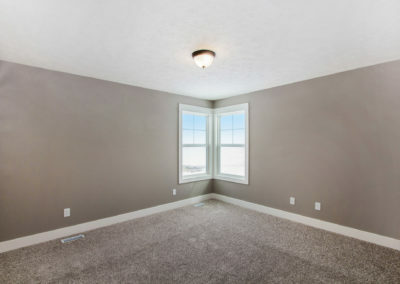 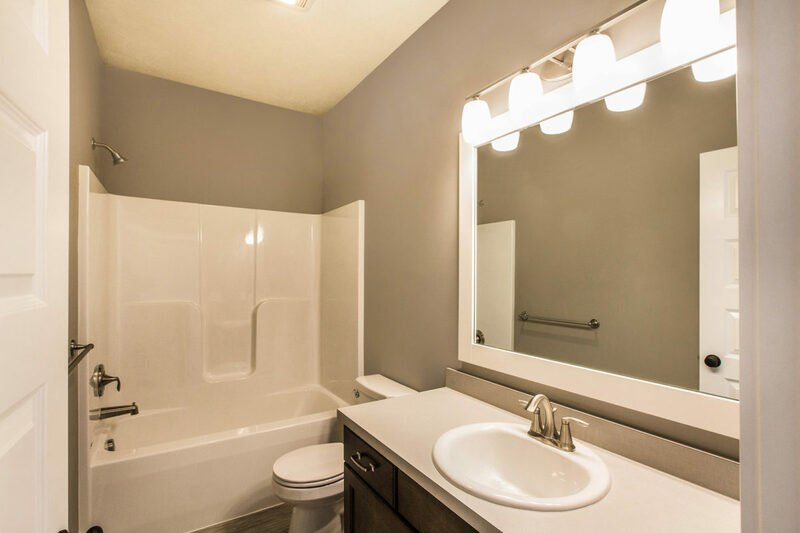 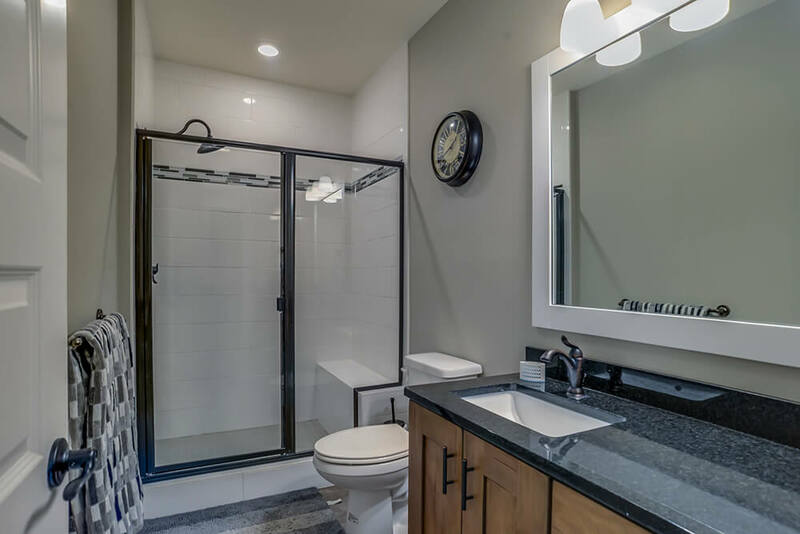 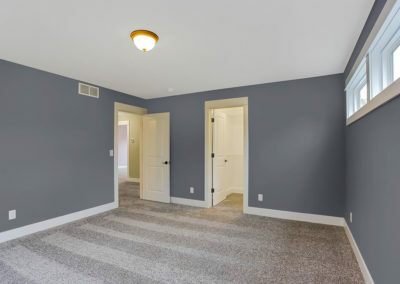 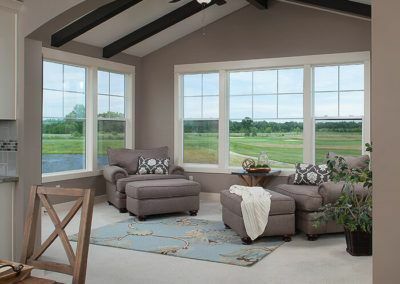 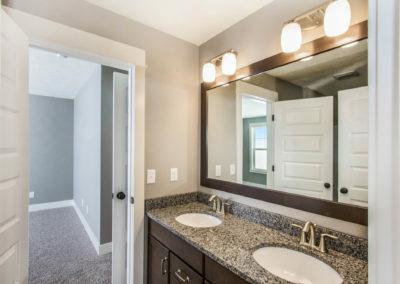 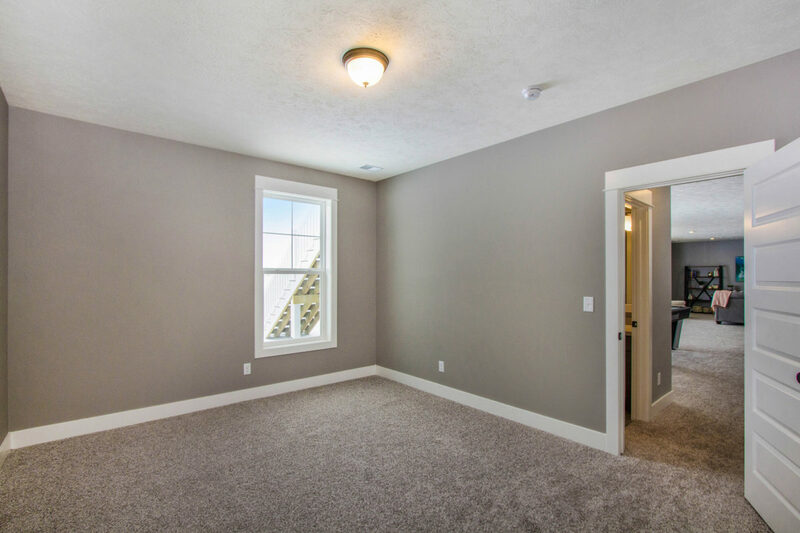 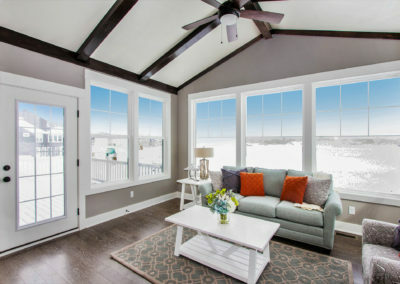 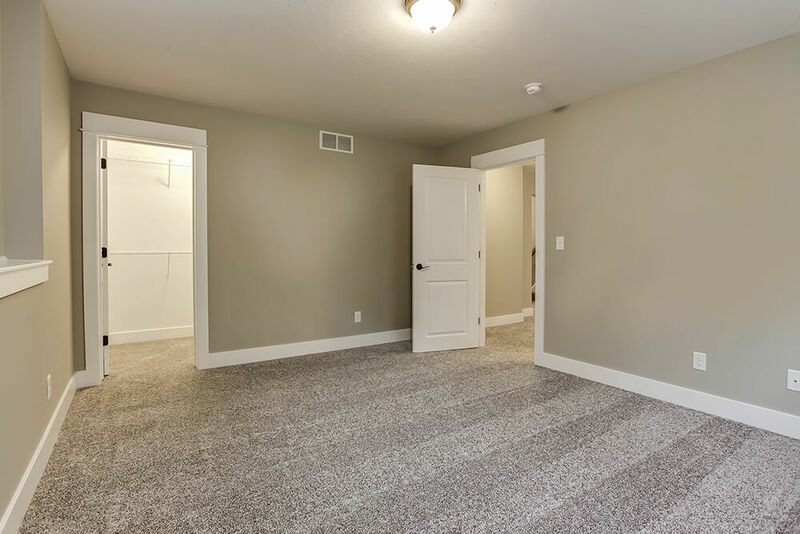 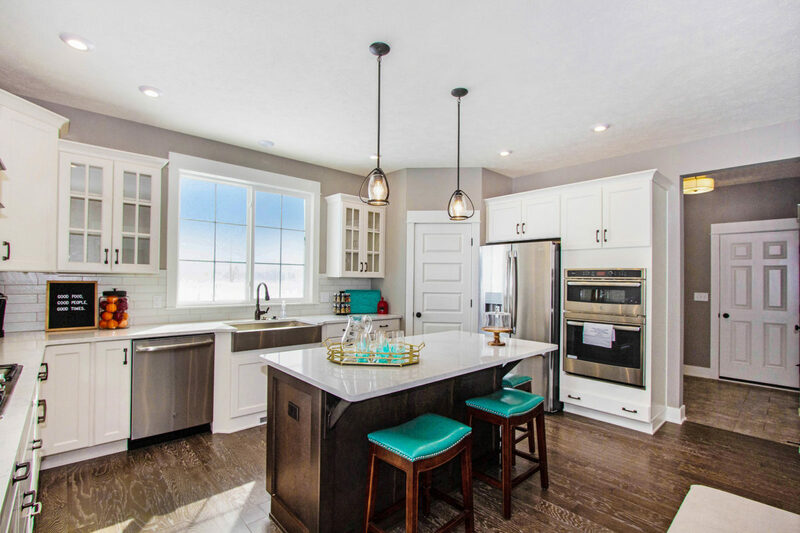 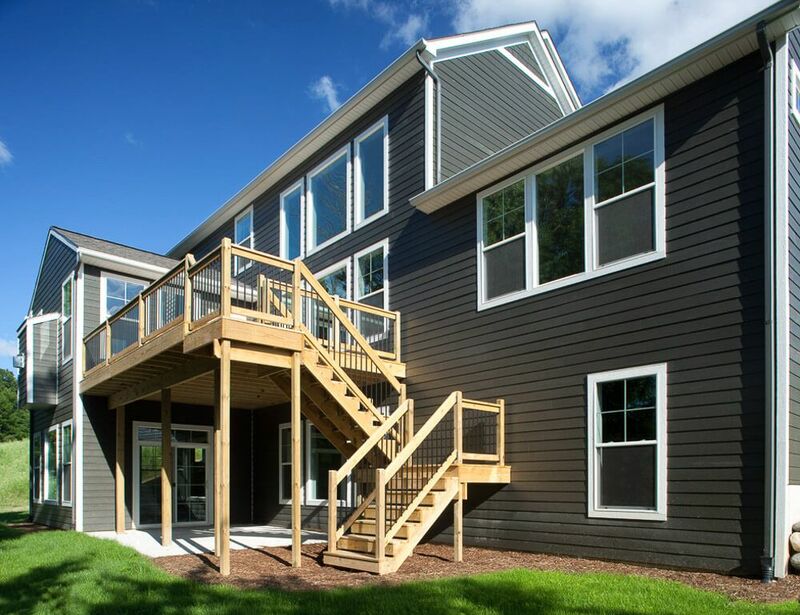 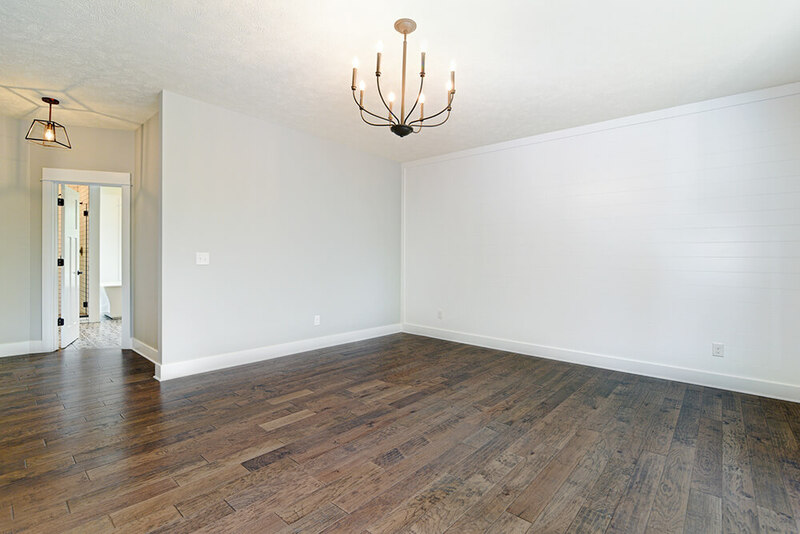 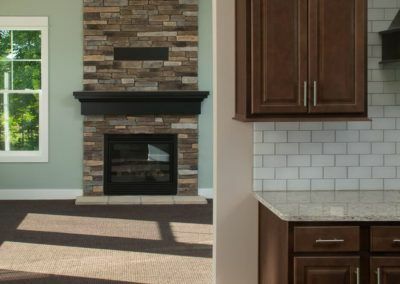 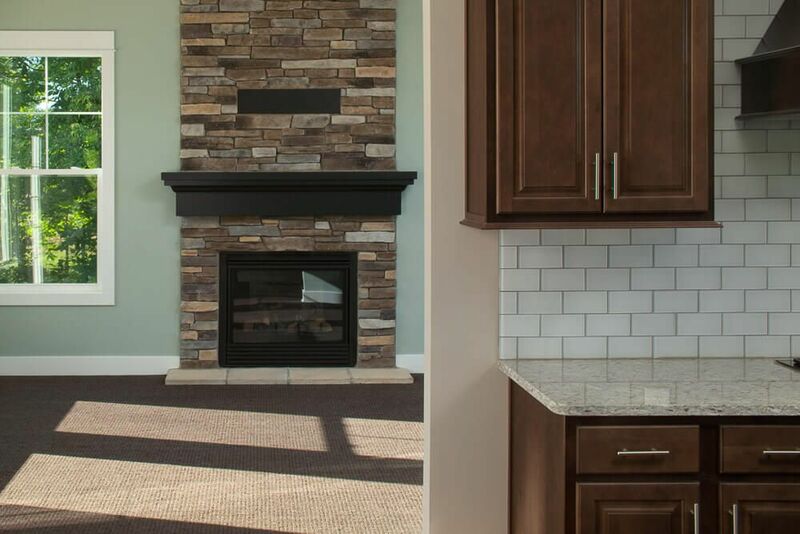 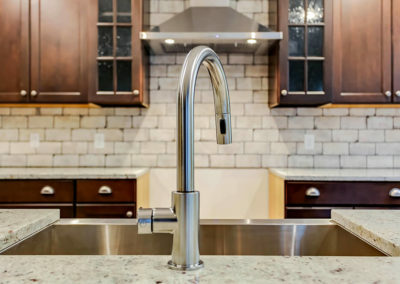 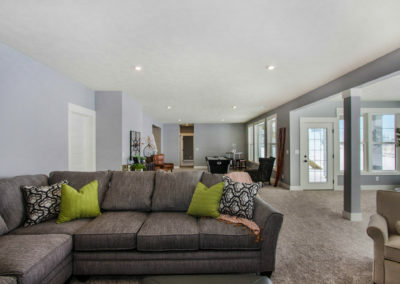 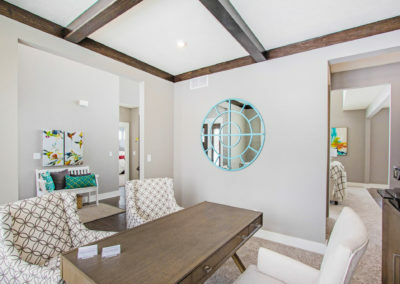 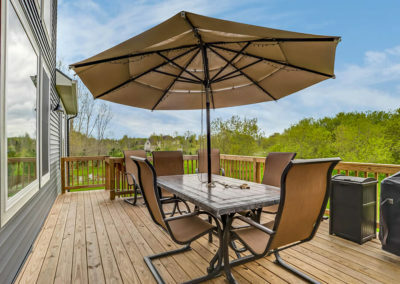 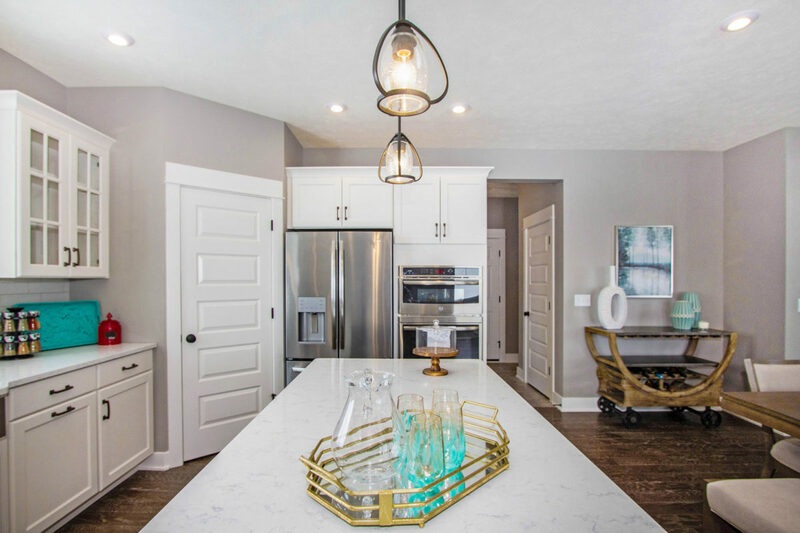 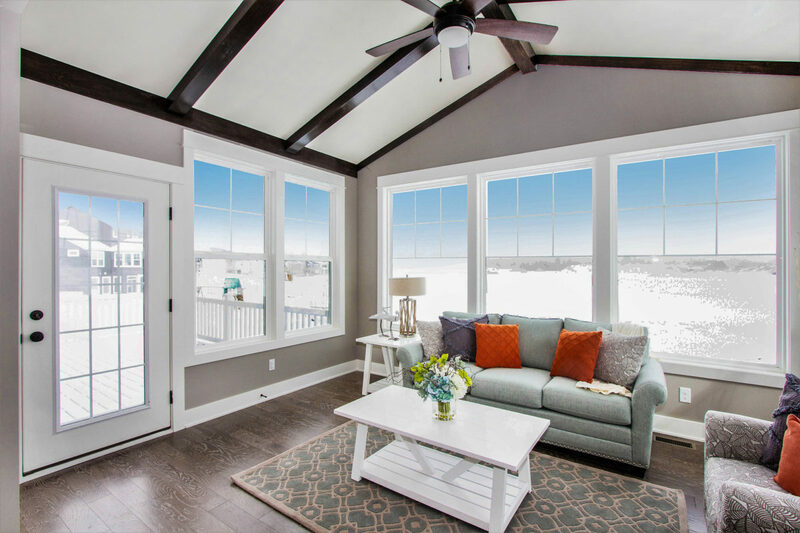 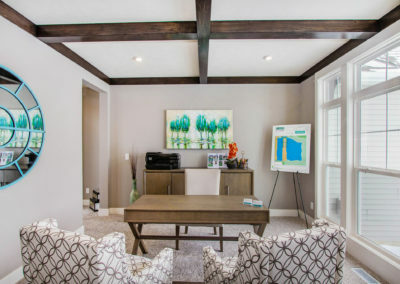 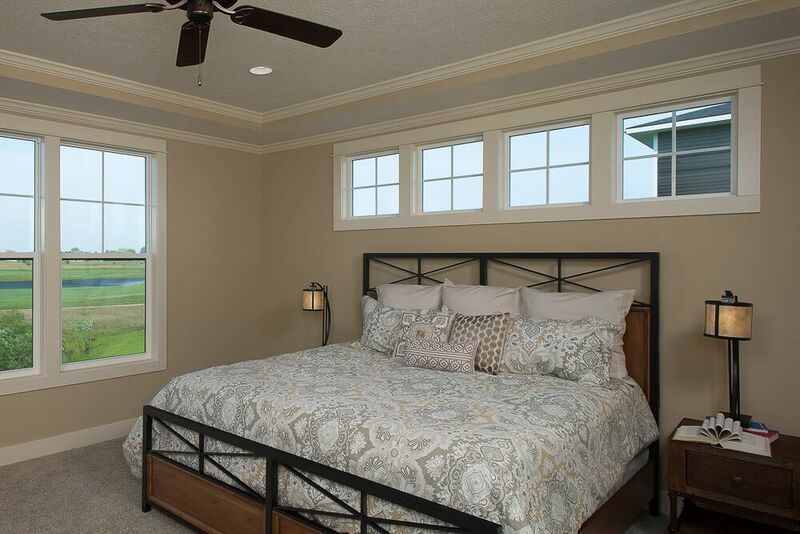 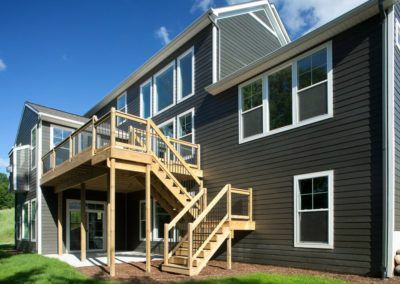 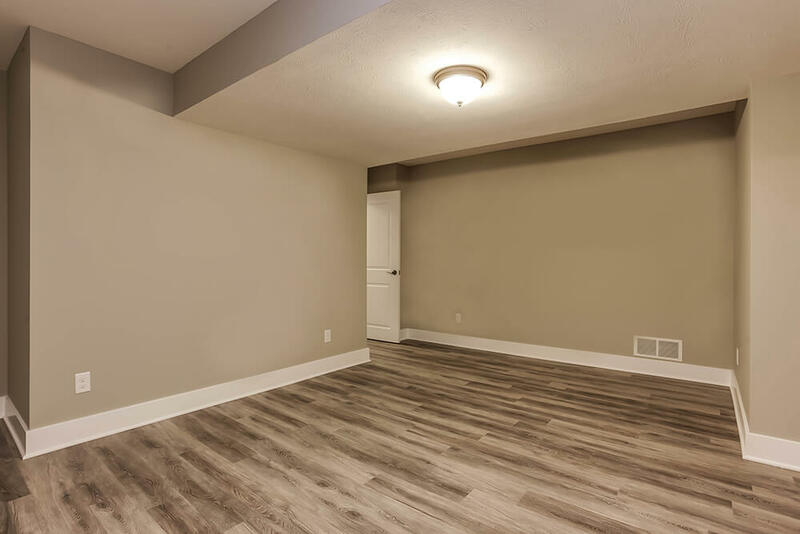 And built with Eastbrook’s high standards of design, materials, craftsmanship, and energy efficiency, you are sure to receive the best possible value and satisfaction for your investment.